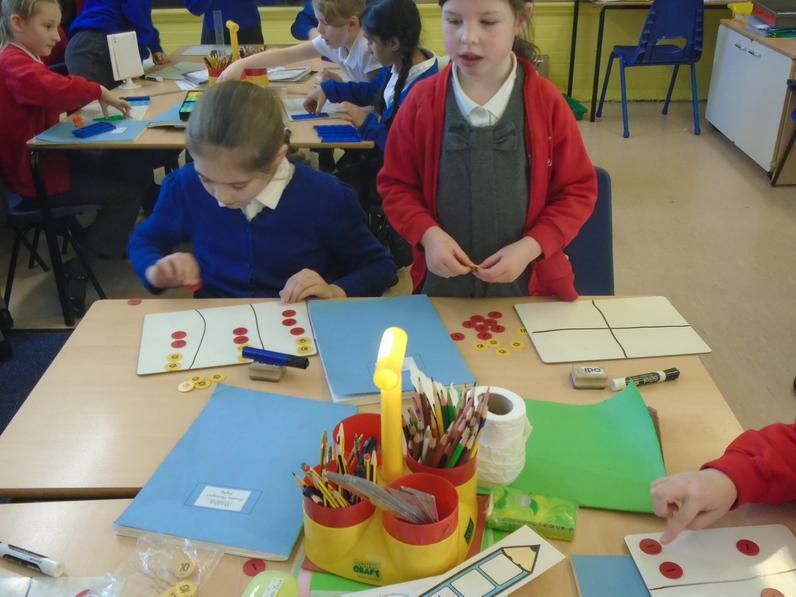 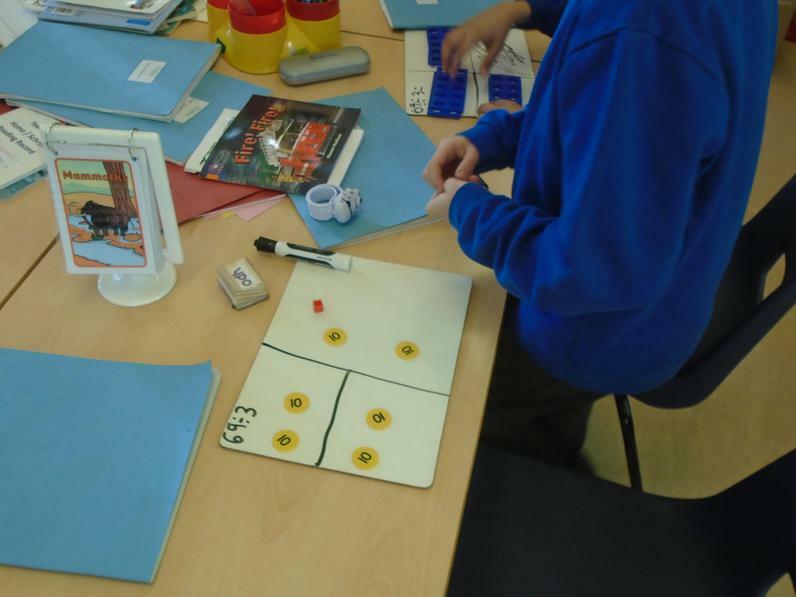 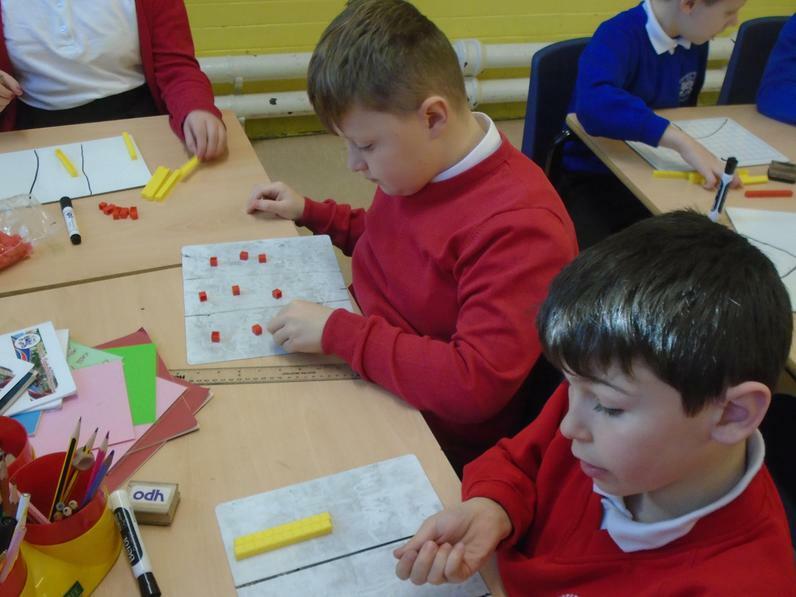 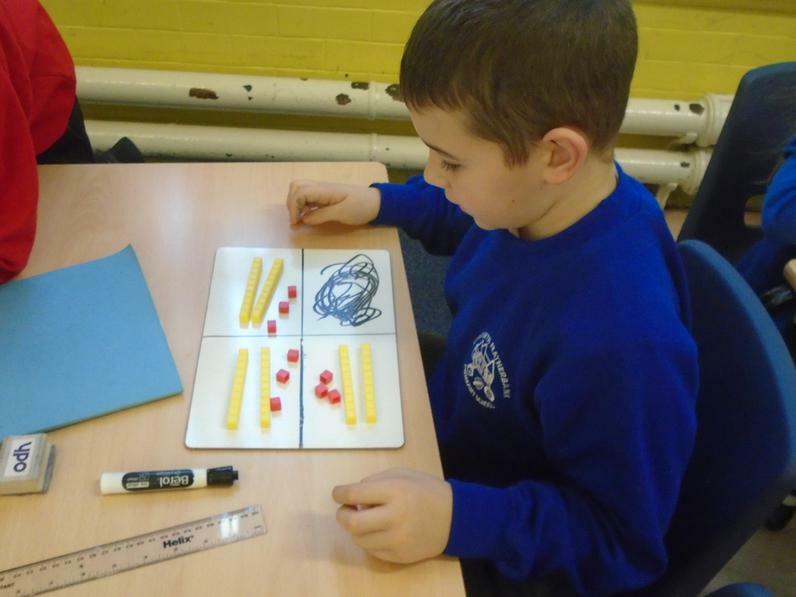 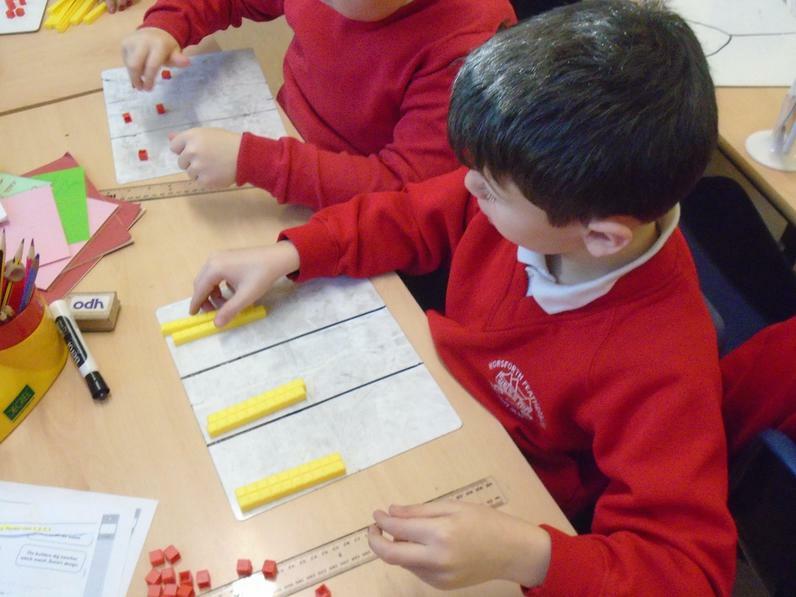 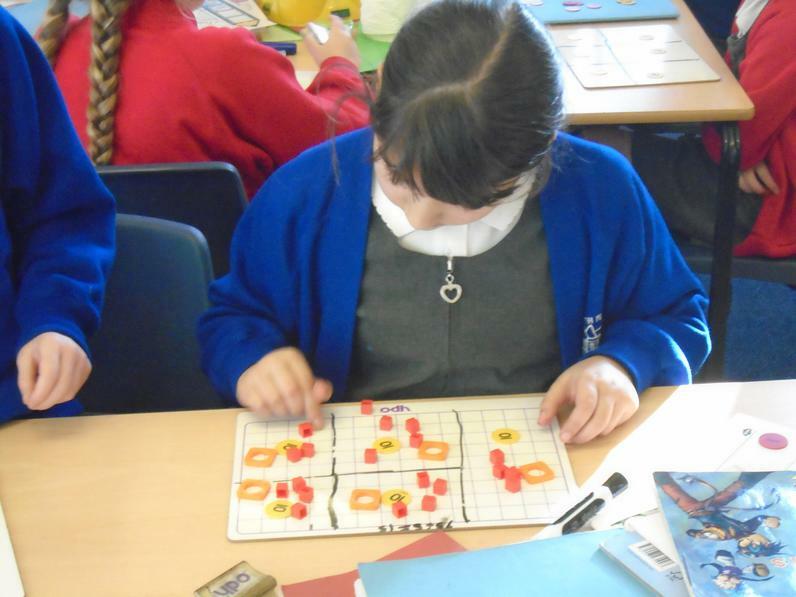 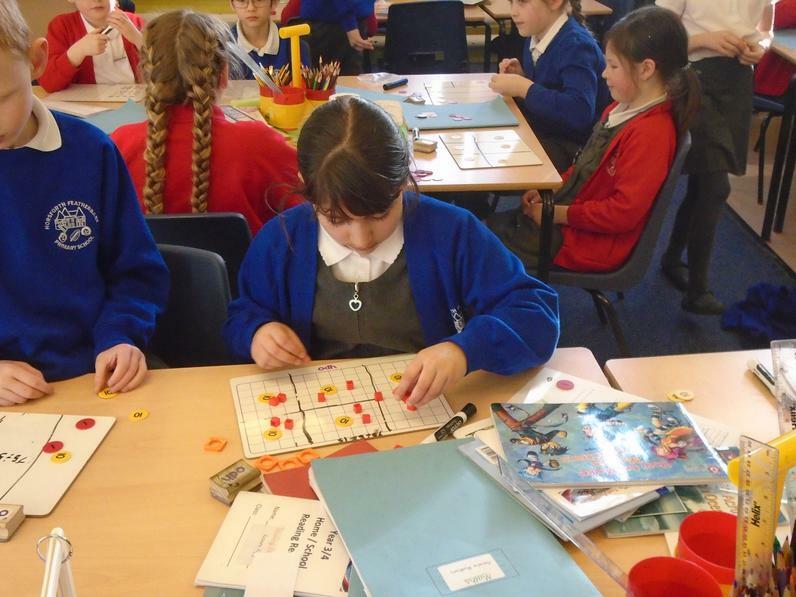 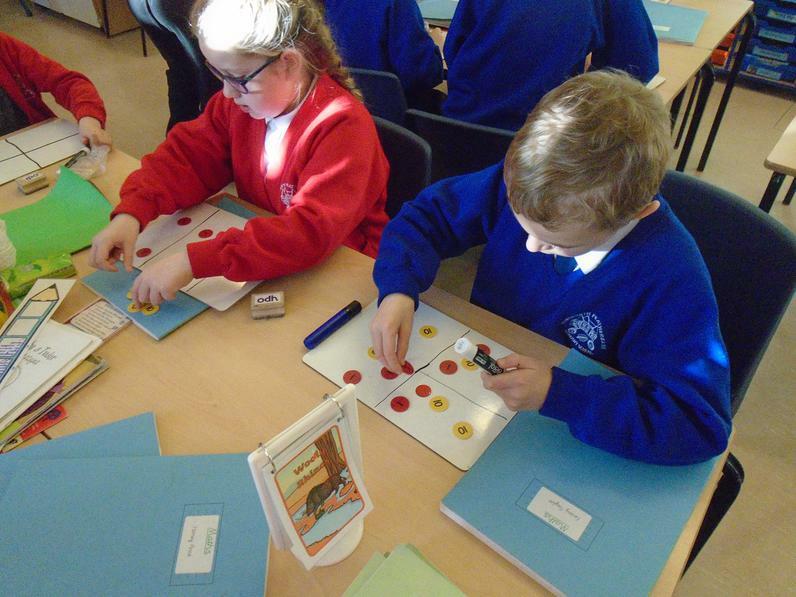 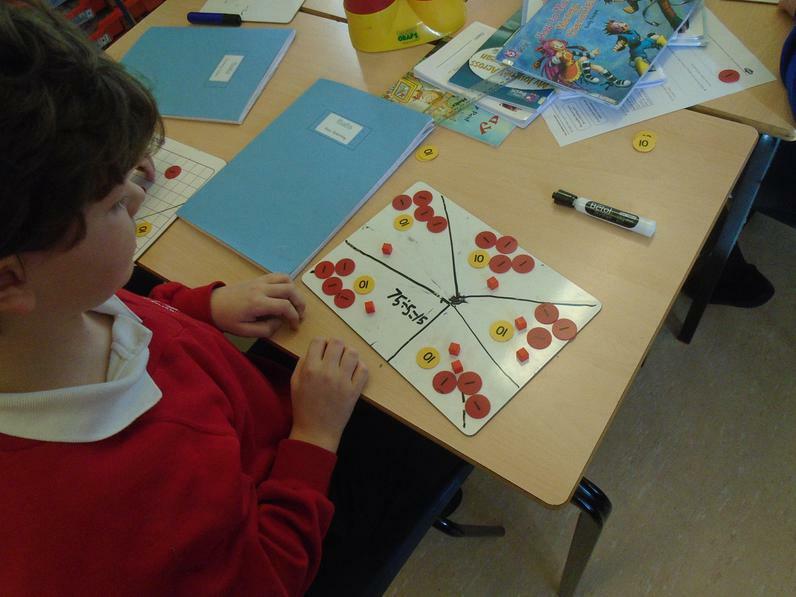 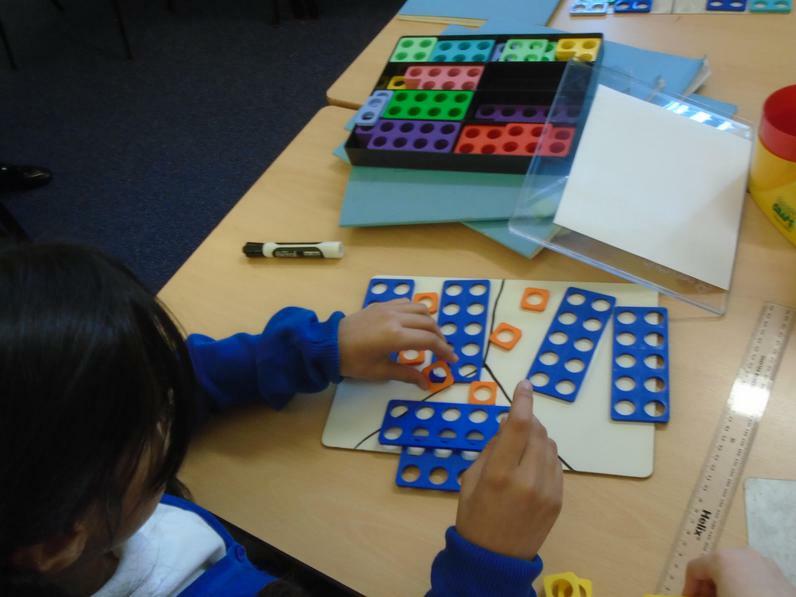 We have been learning about division in maths using place value counters, numicon and base ten. 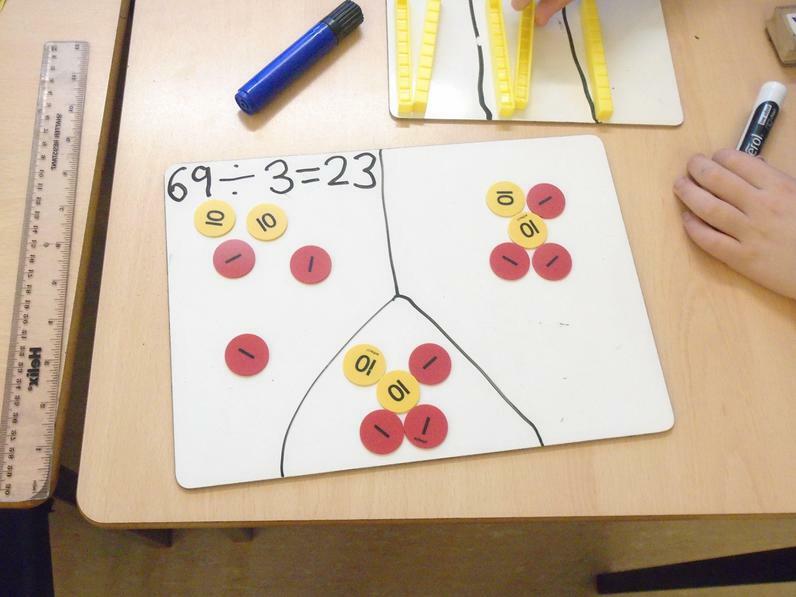 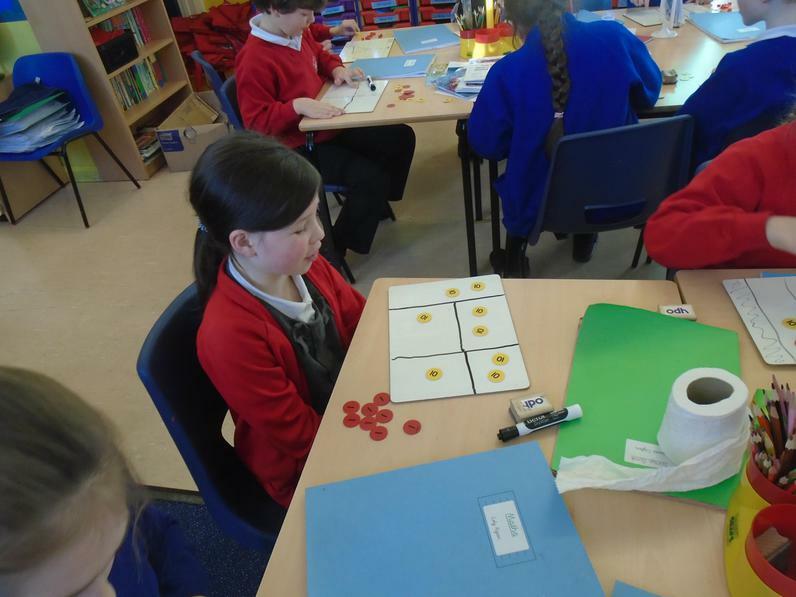 We started with numbers which we could split without having to partition them then moved on to trickier numbers. 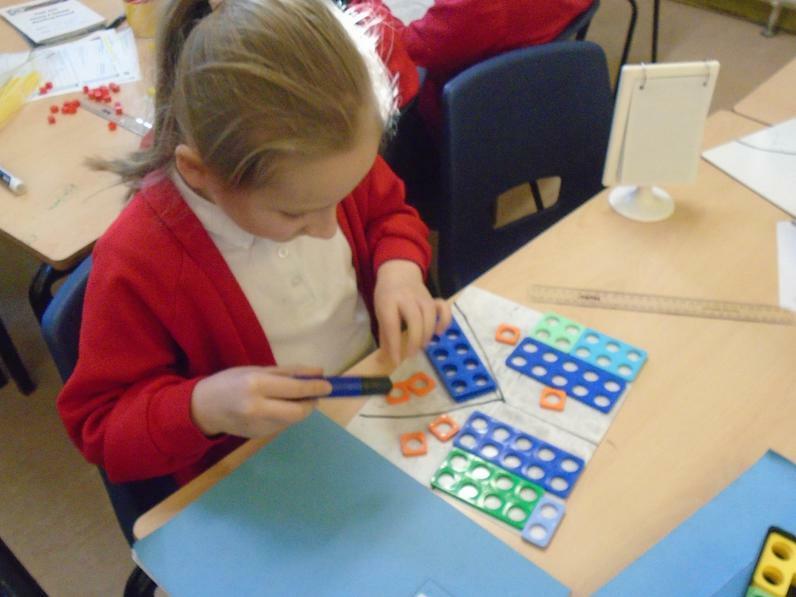 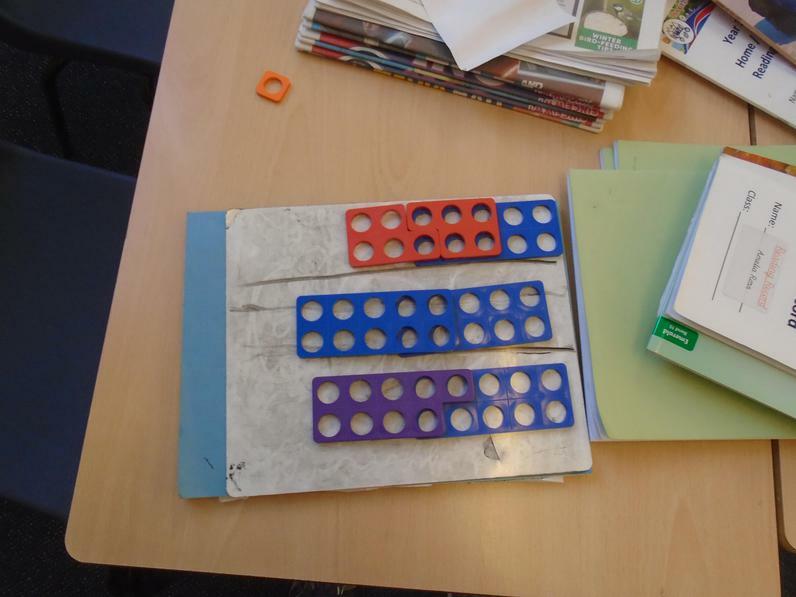 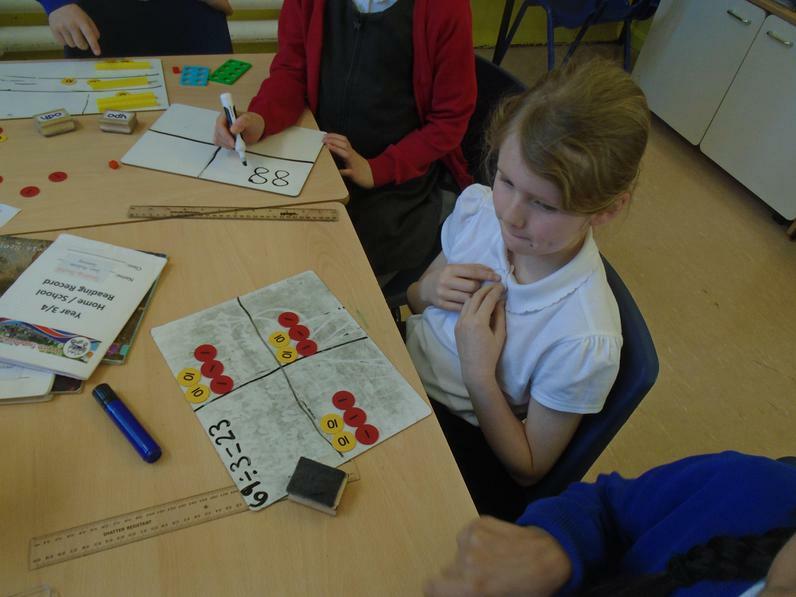 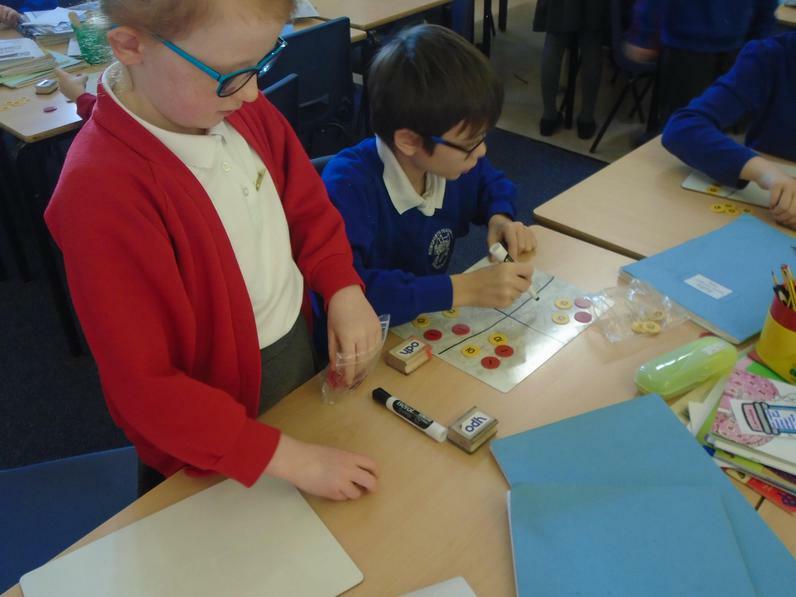 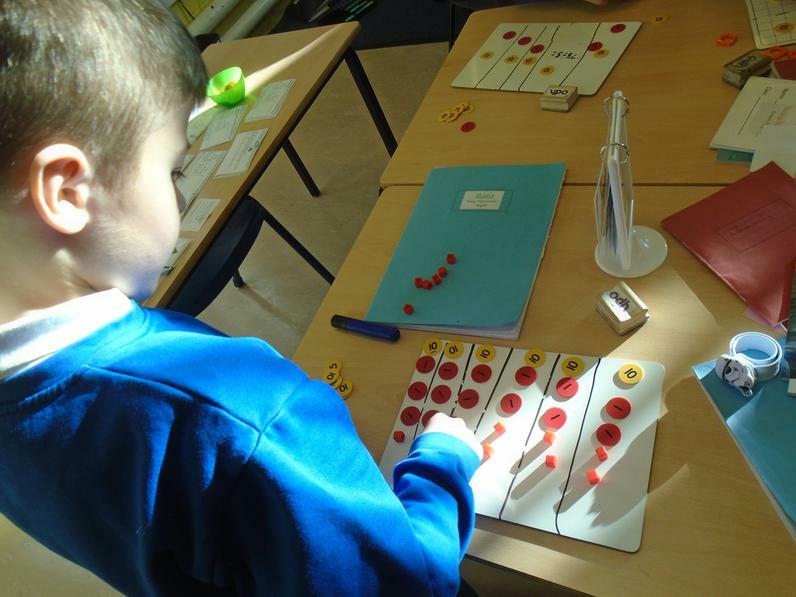 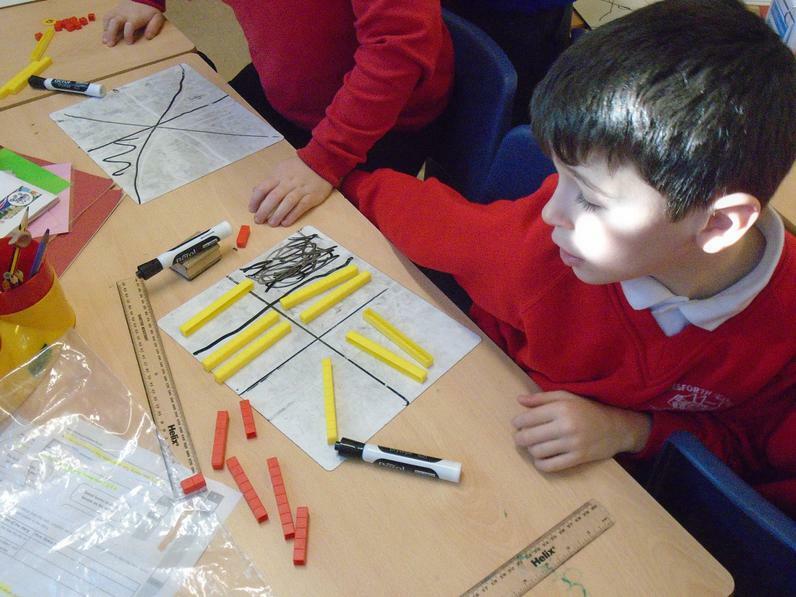 Sometime we had to swap tens for ten ones or hundreds for ten tens to ensure we could divide the numbers equally. 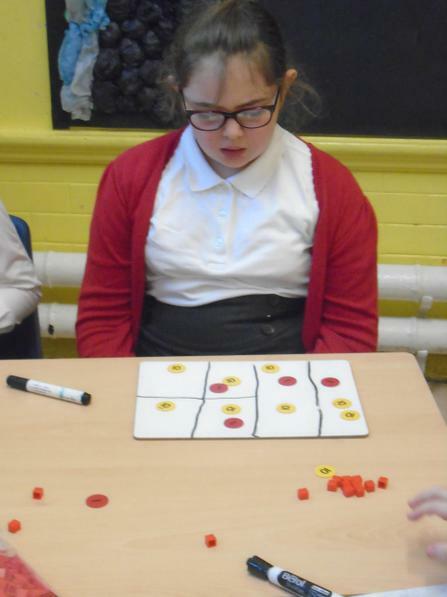 After this, we used the 'bus stop' method to divide three and four digit numbers. 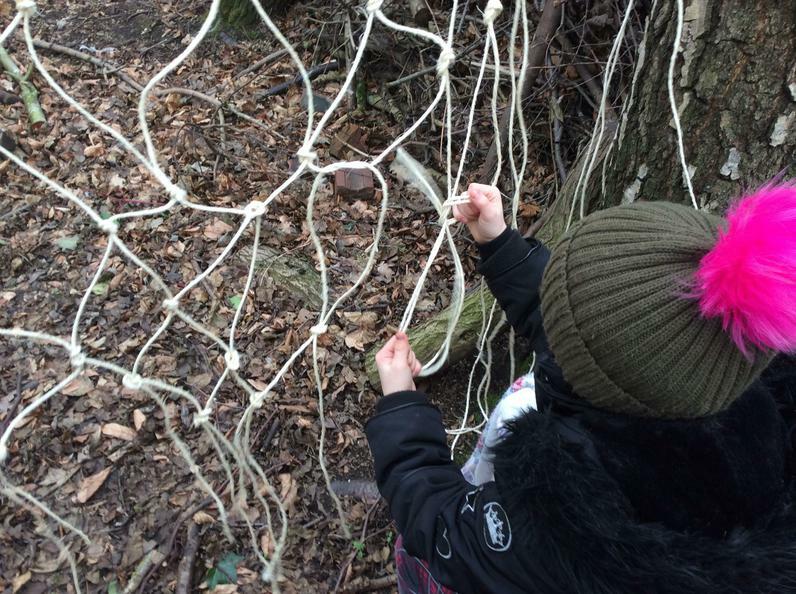 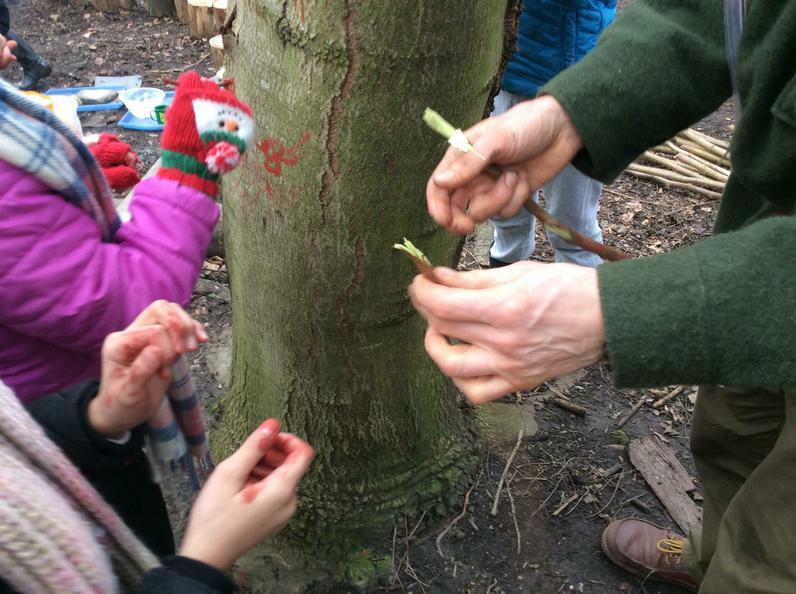 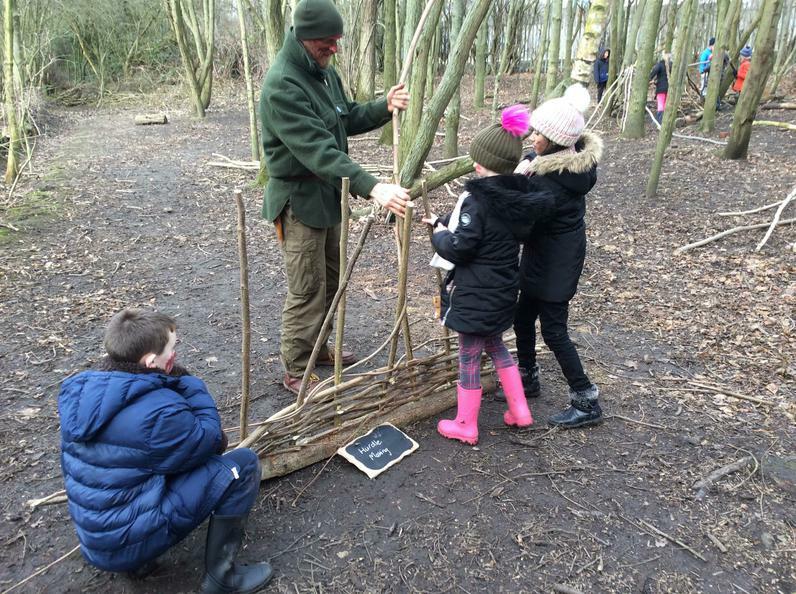 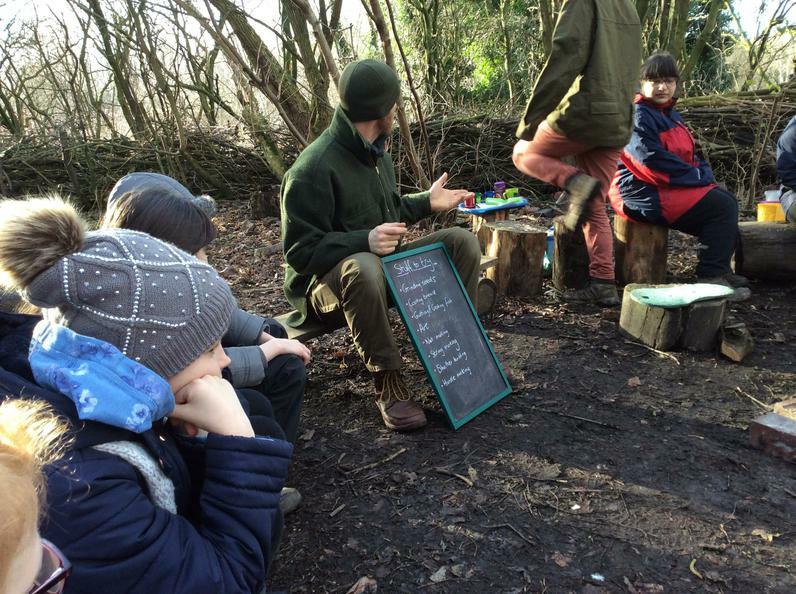 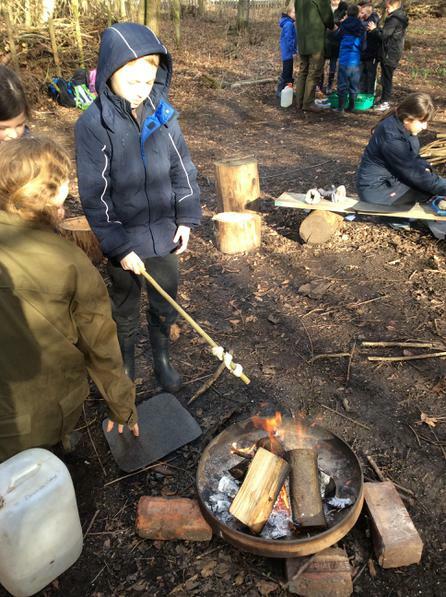 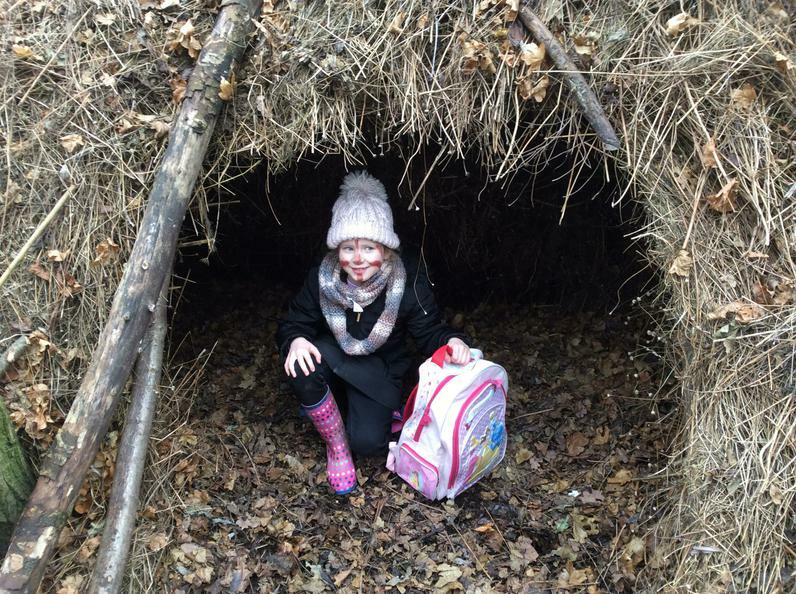 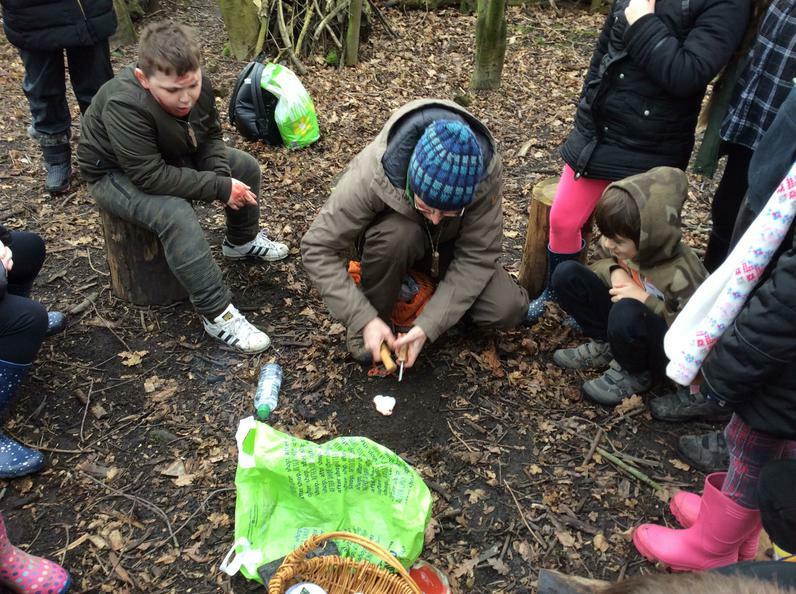 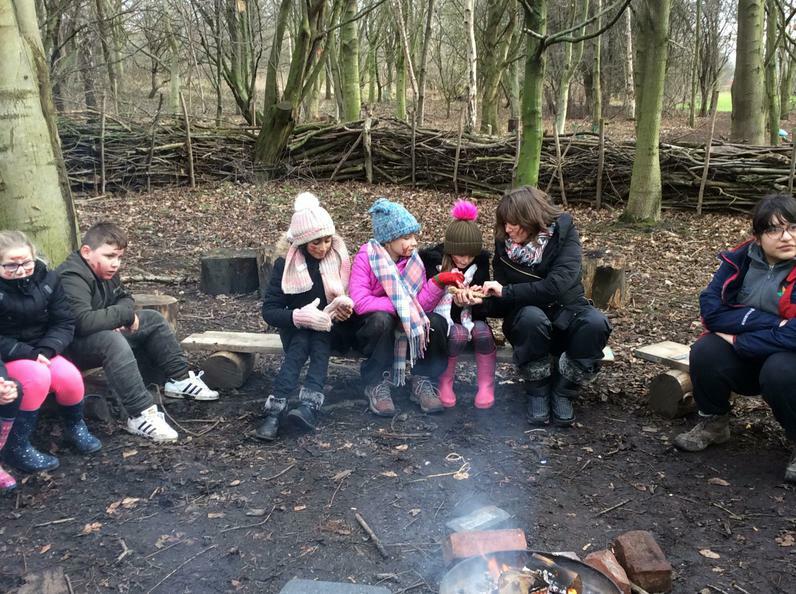 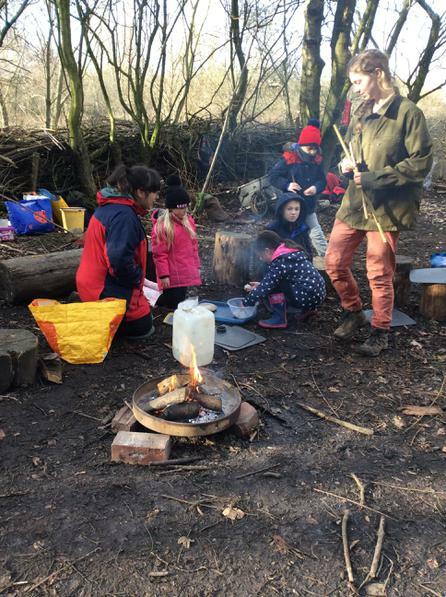 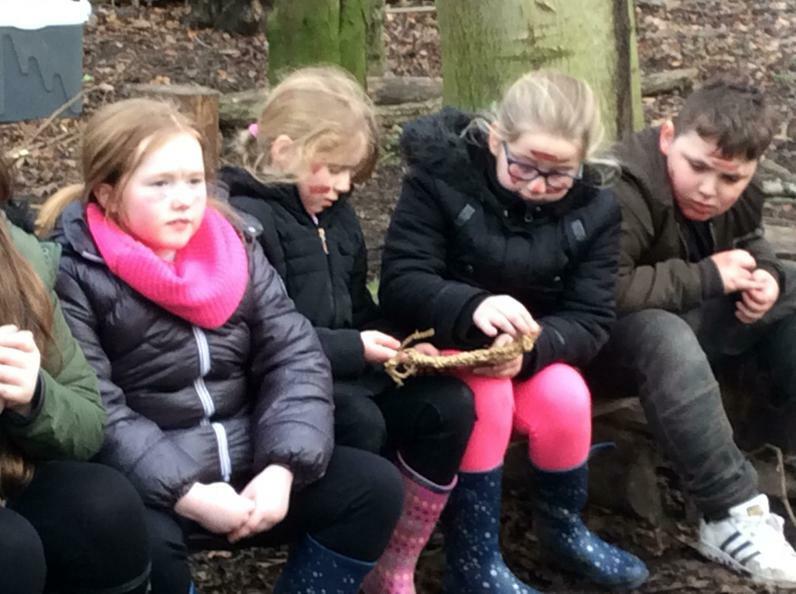 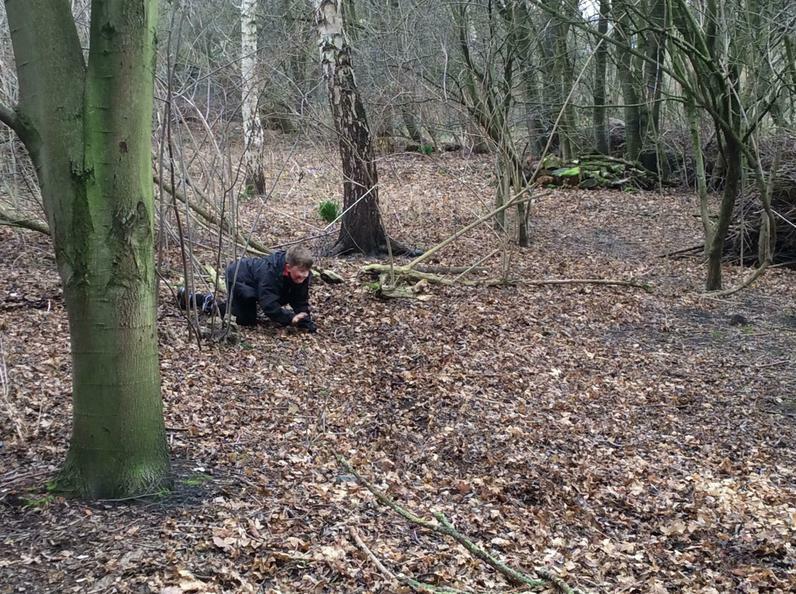 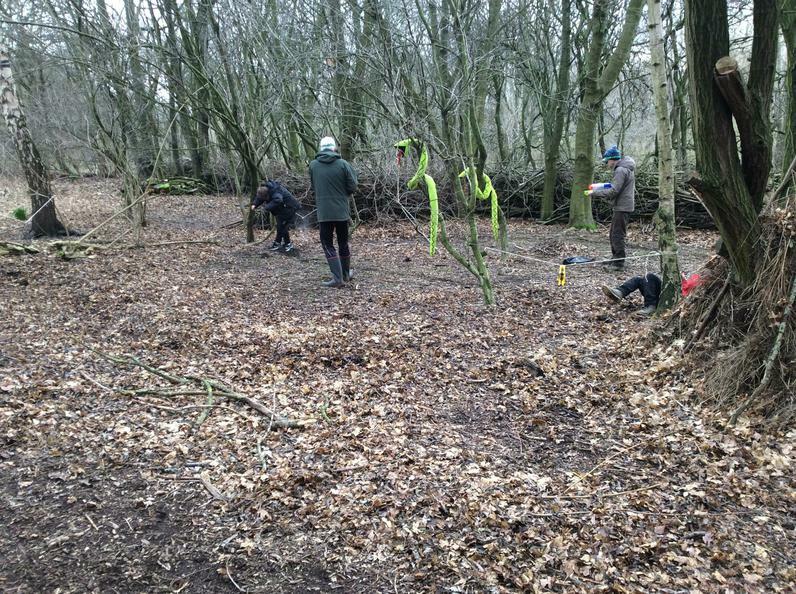 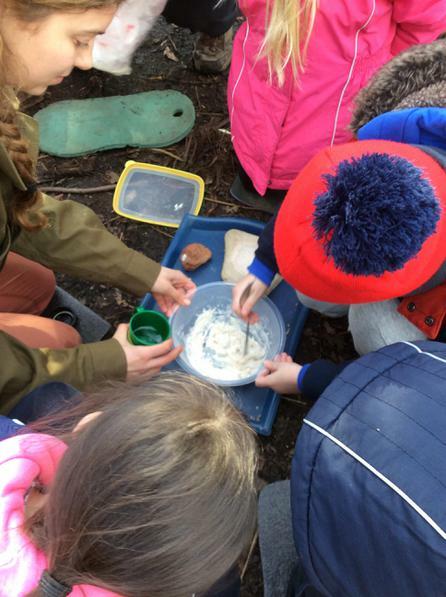 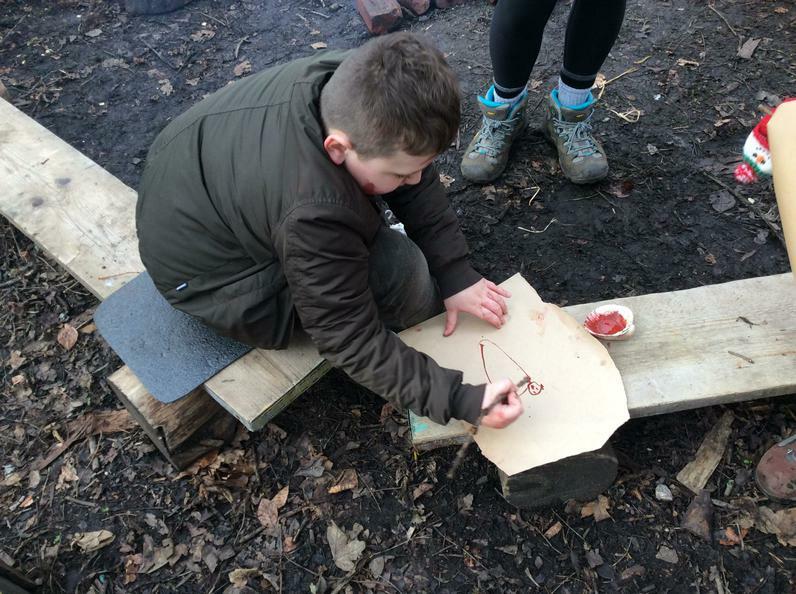 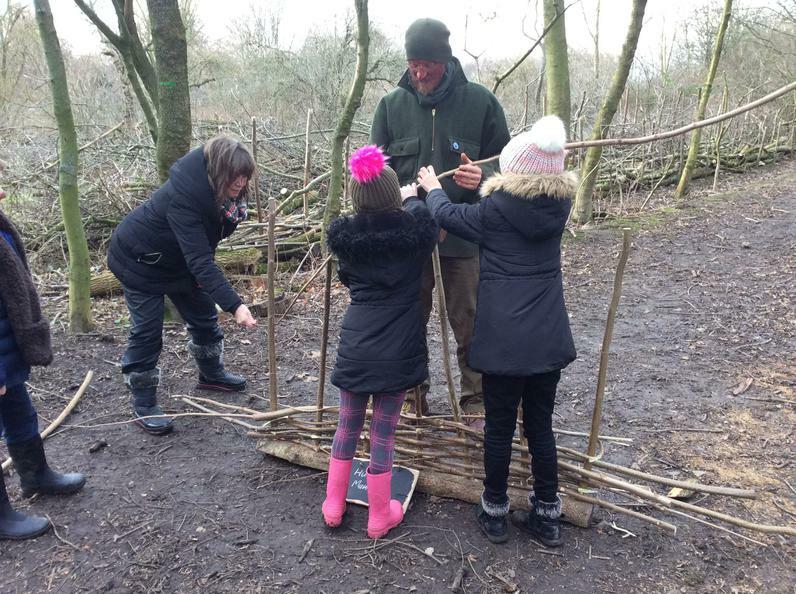 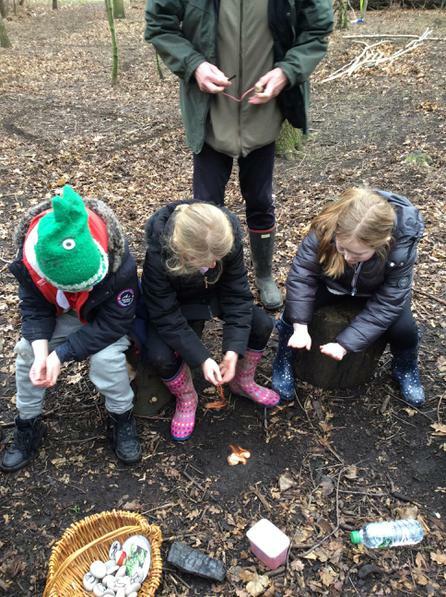 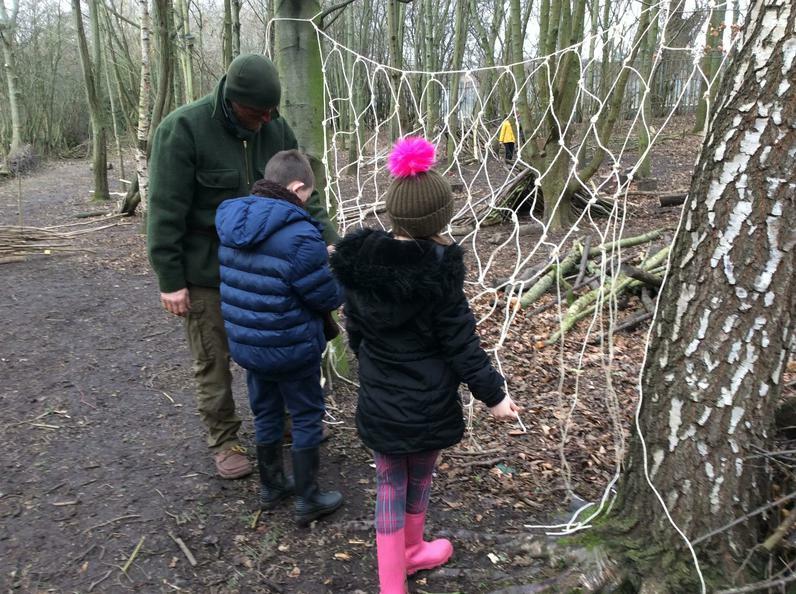 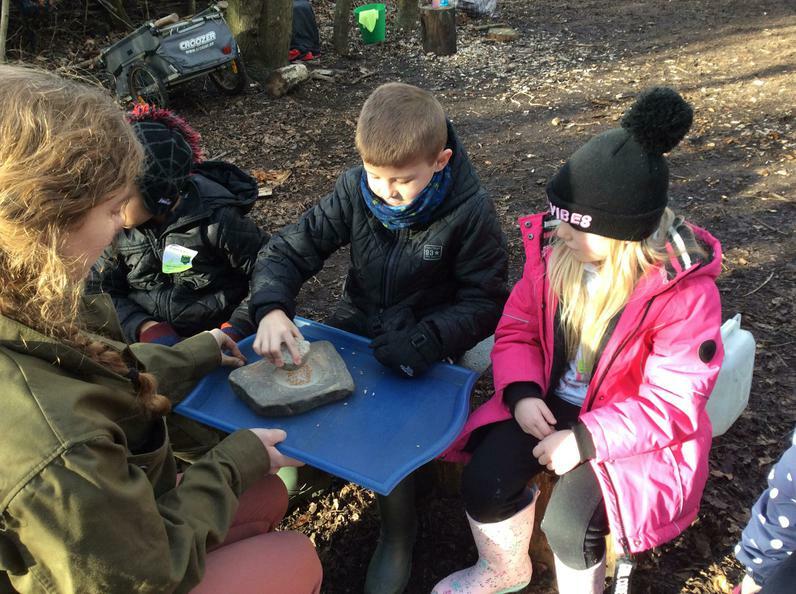 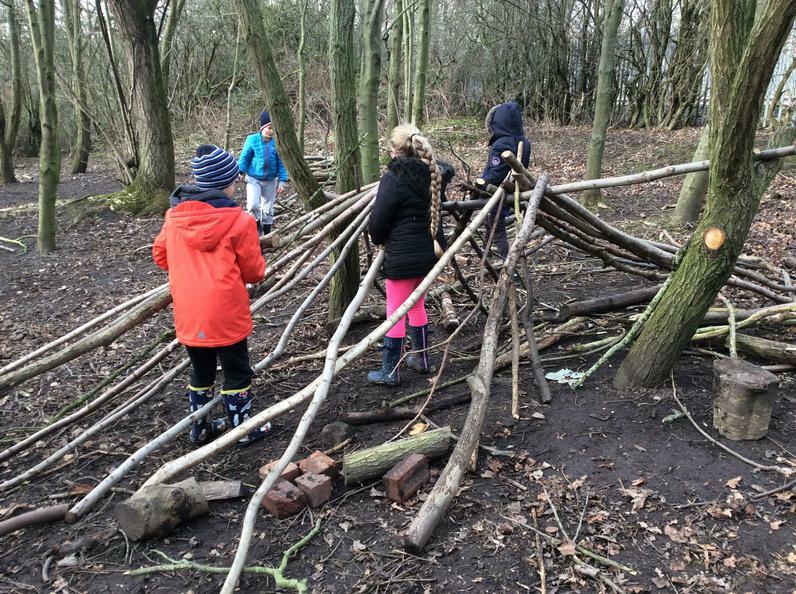 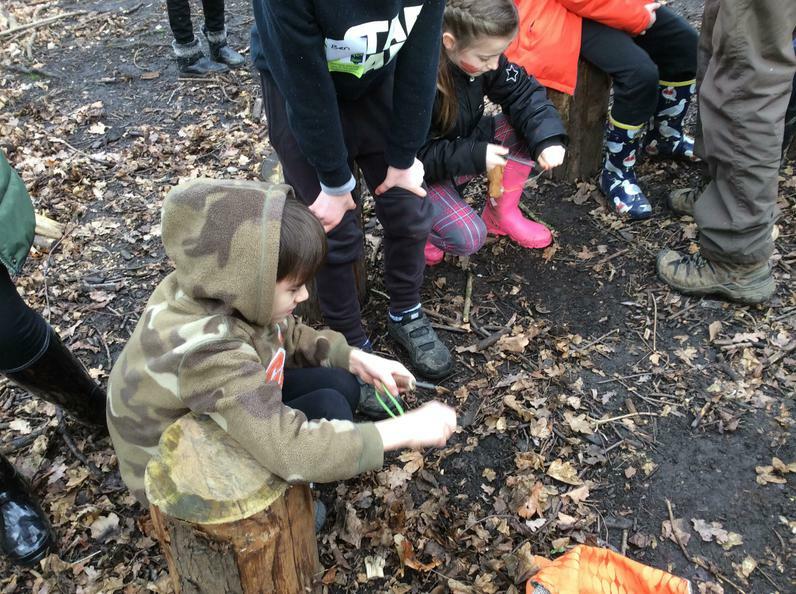 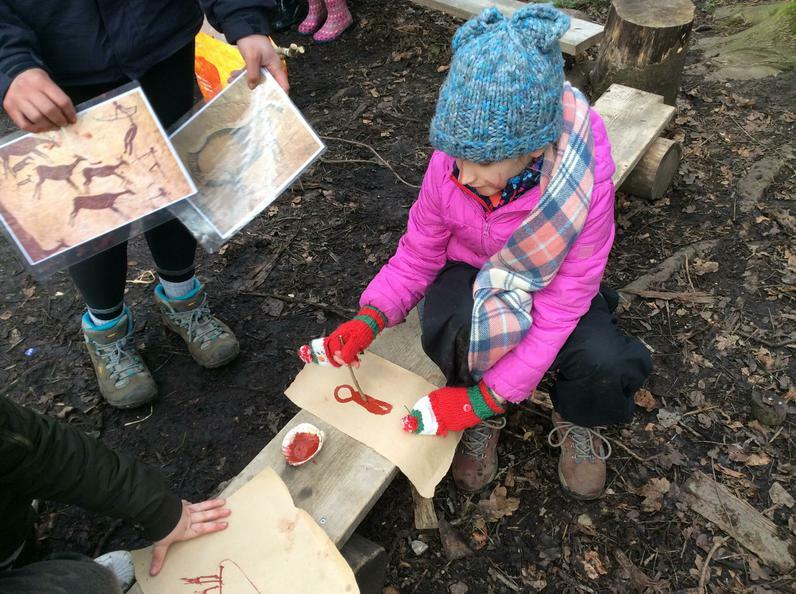 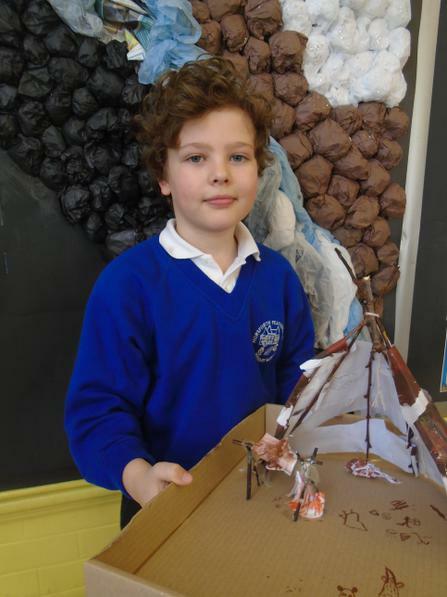 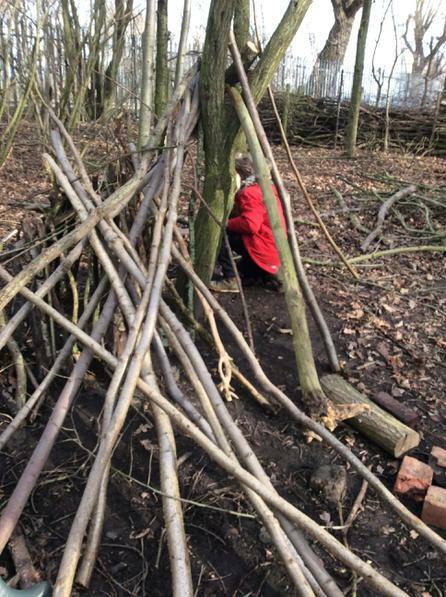 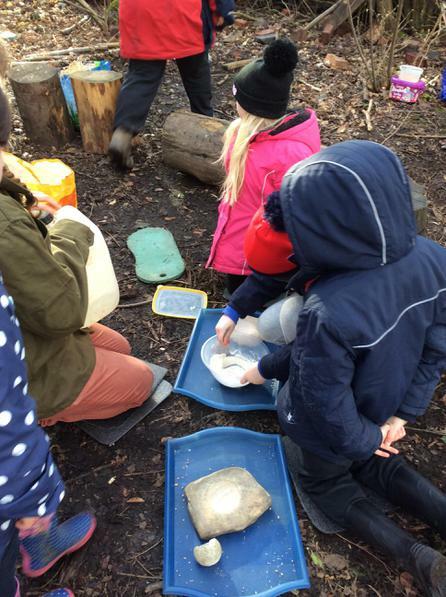 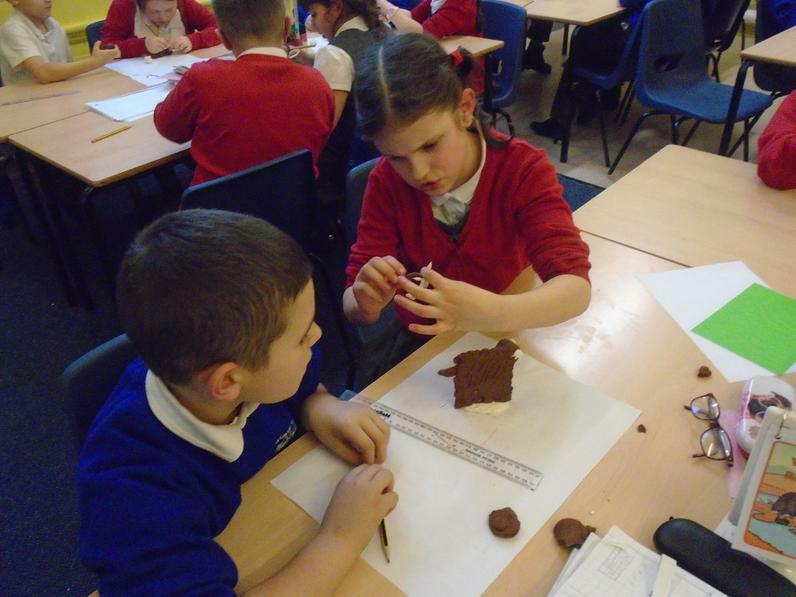 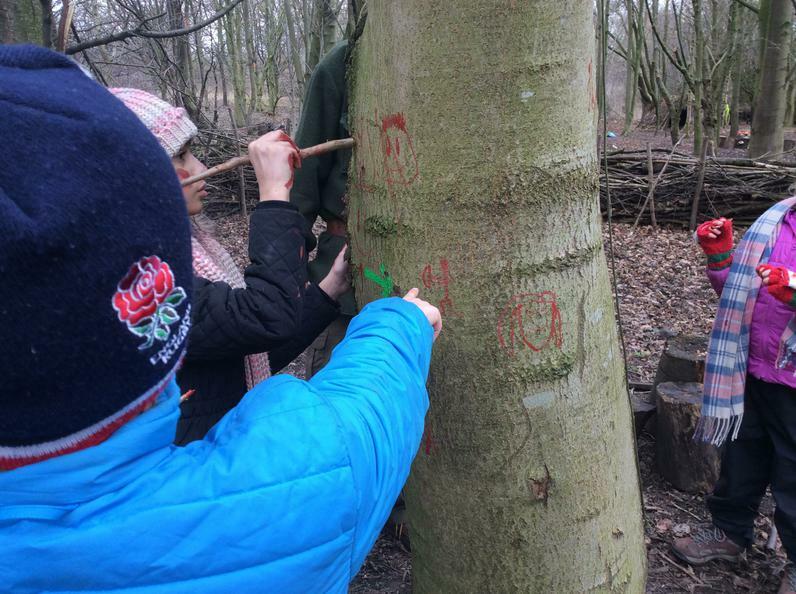 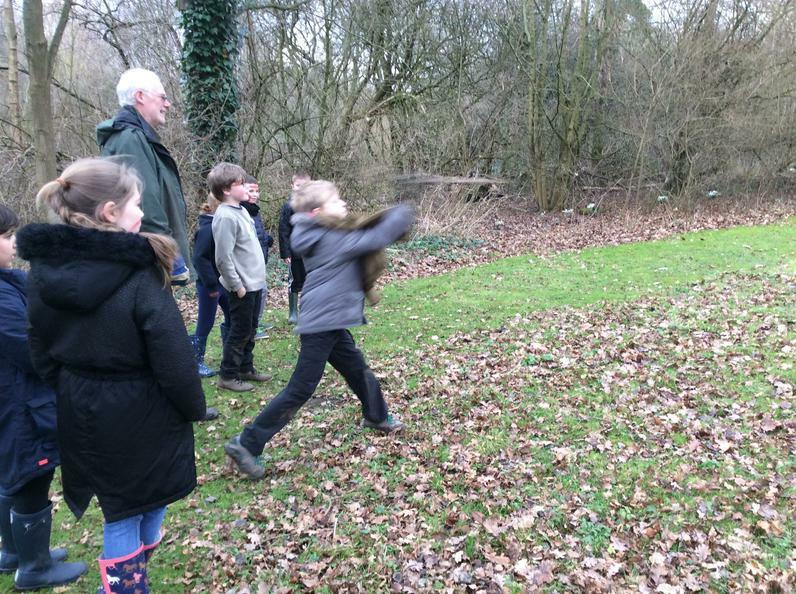 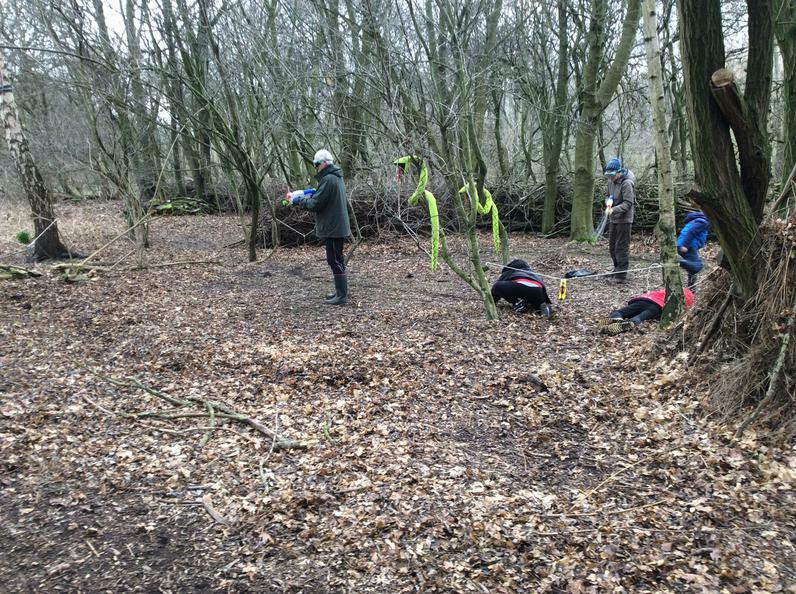 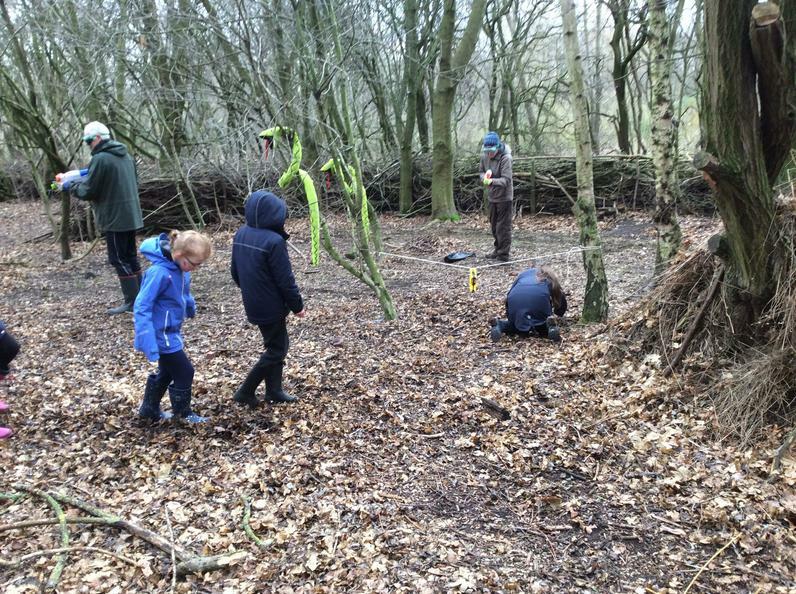 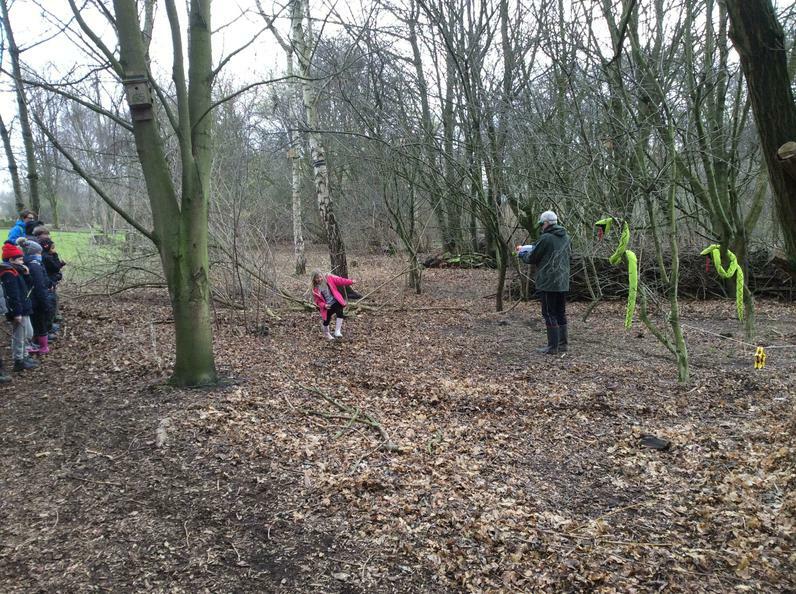 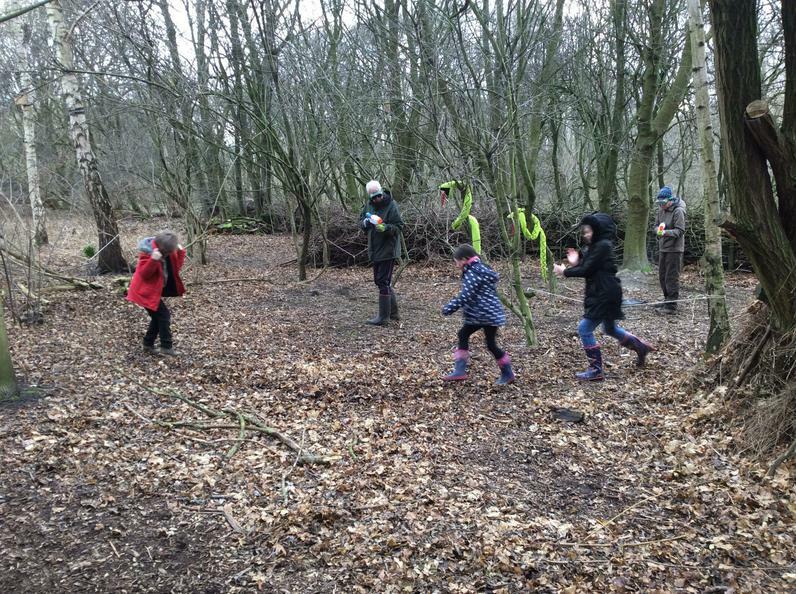 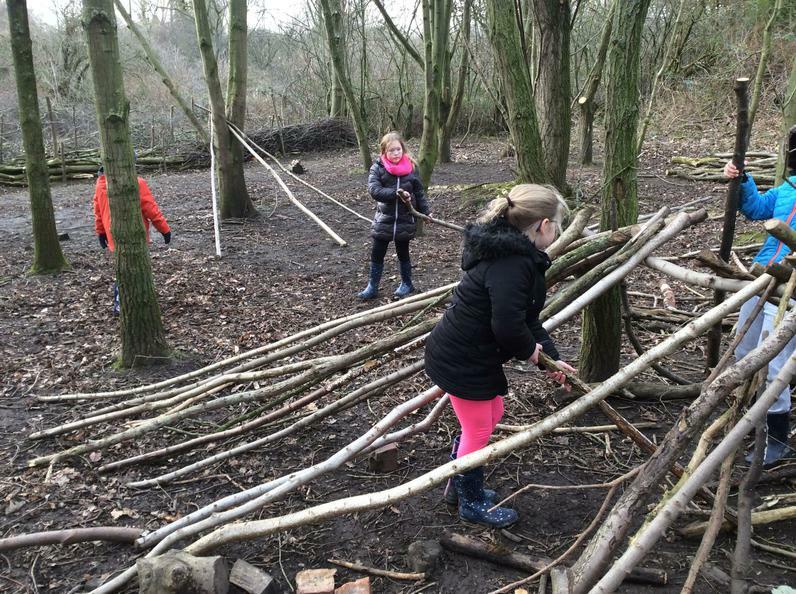 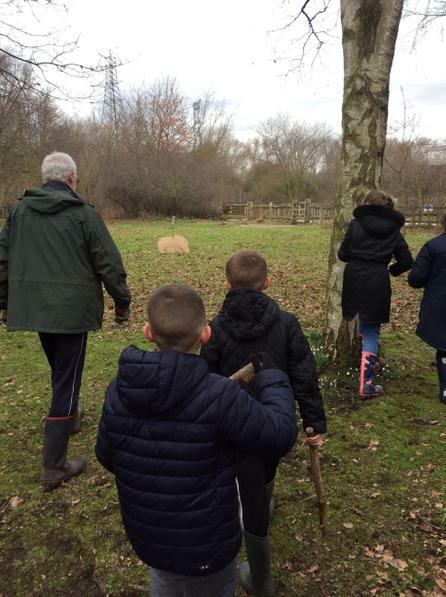 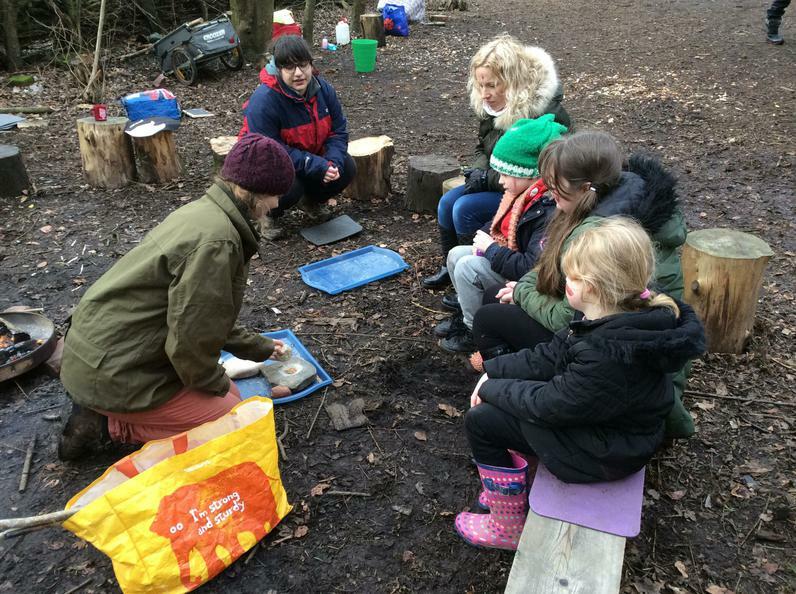 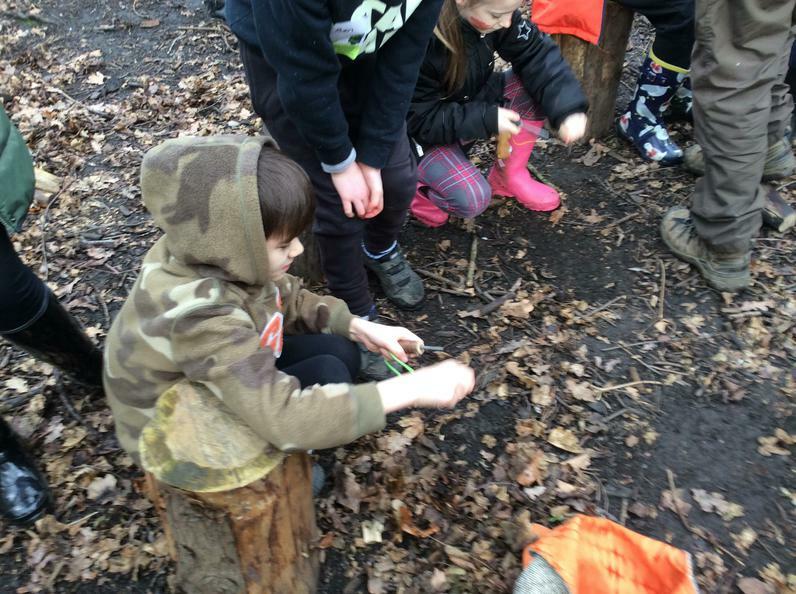 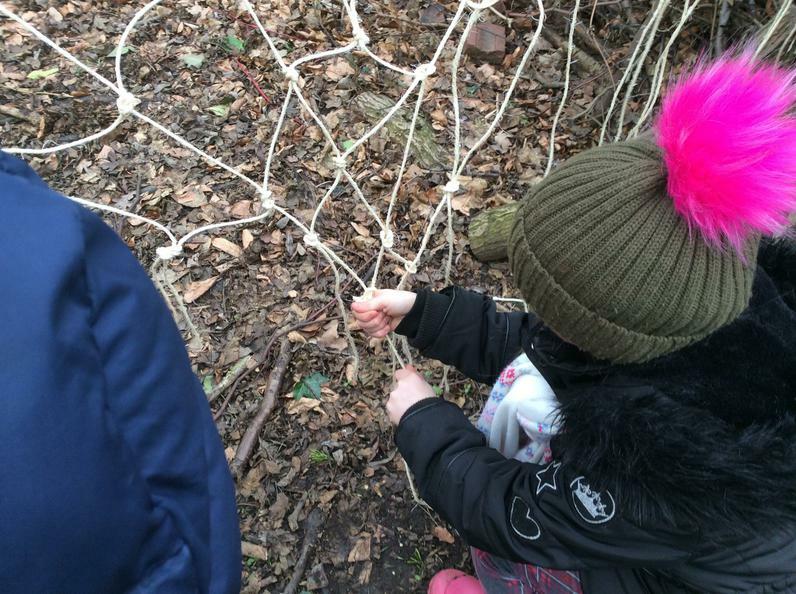 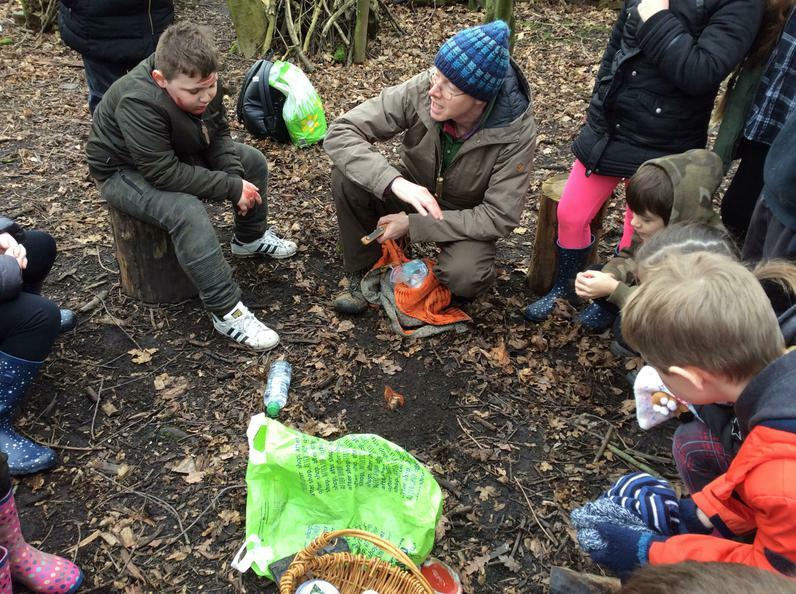 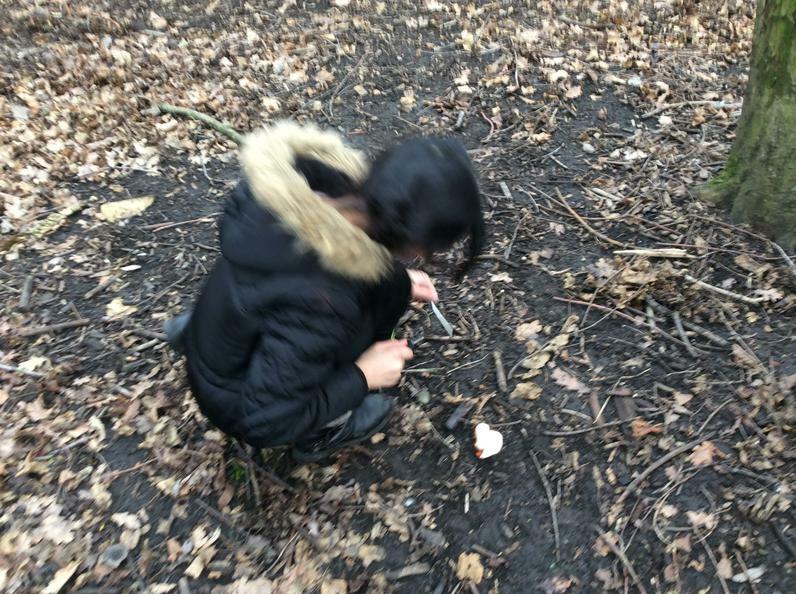 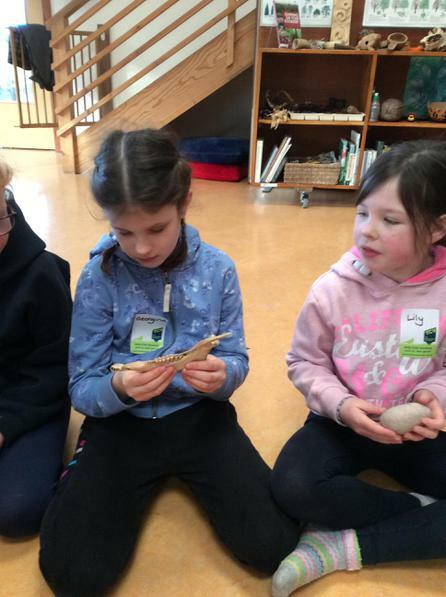 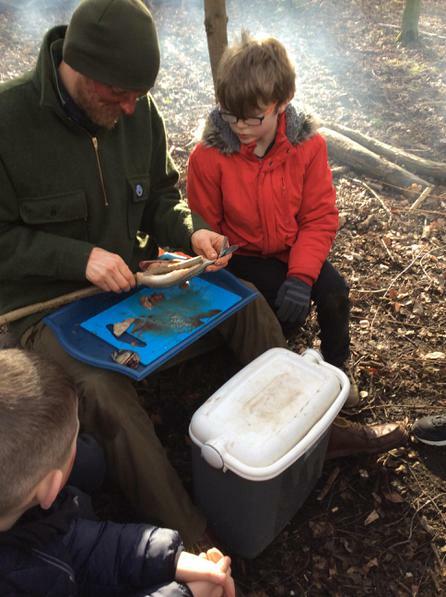 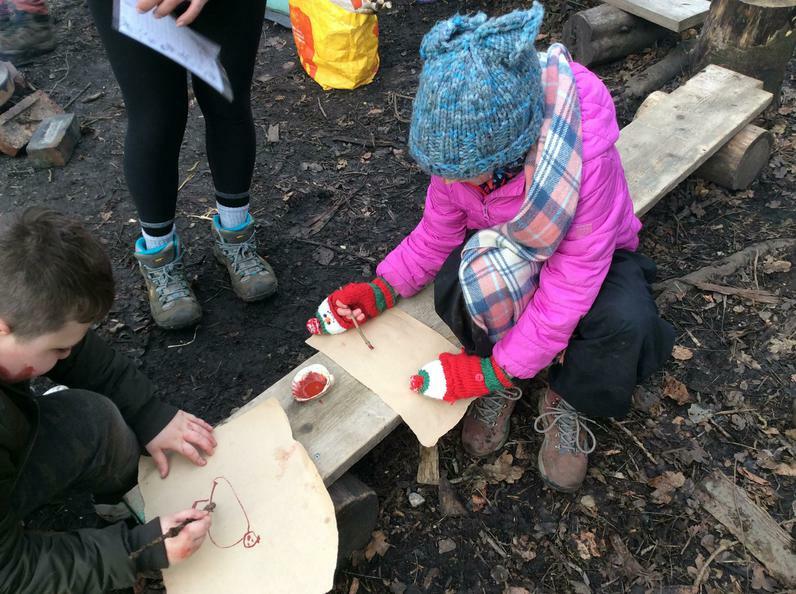 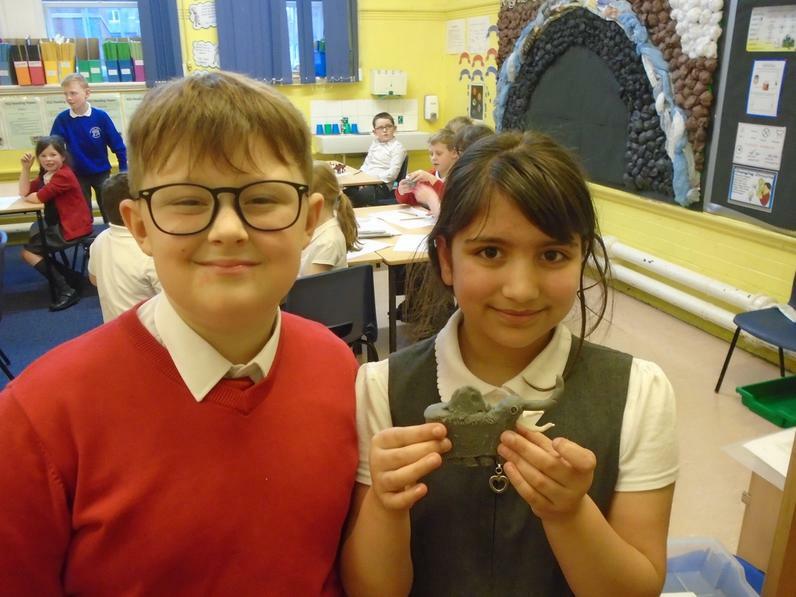 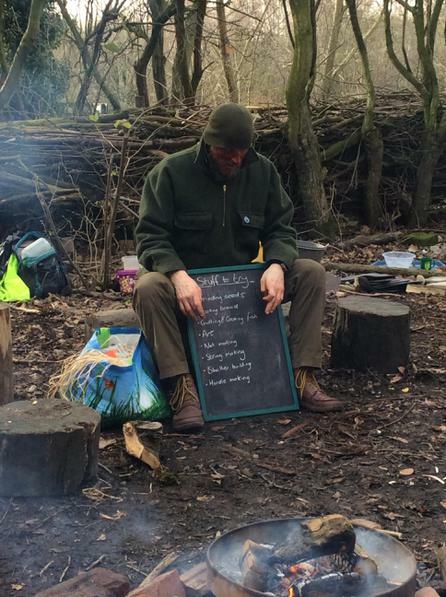 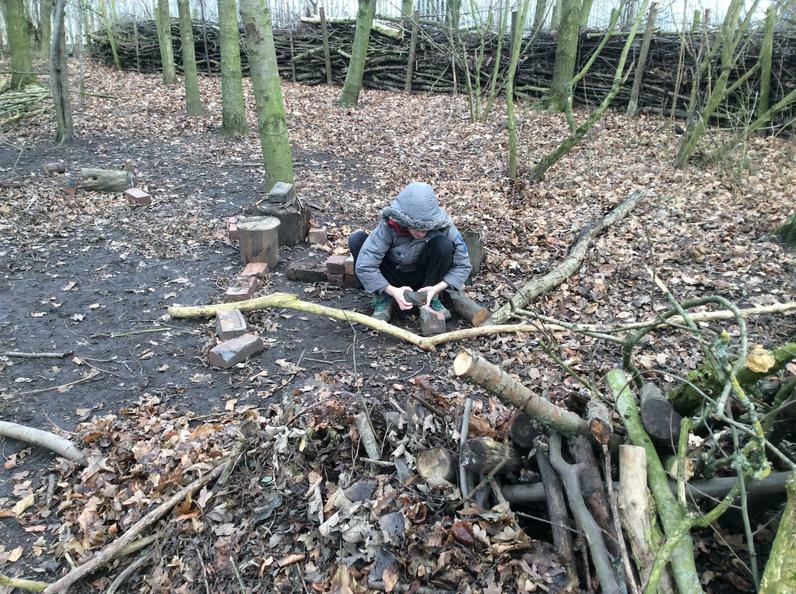 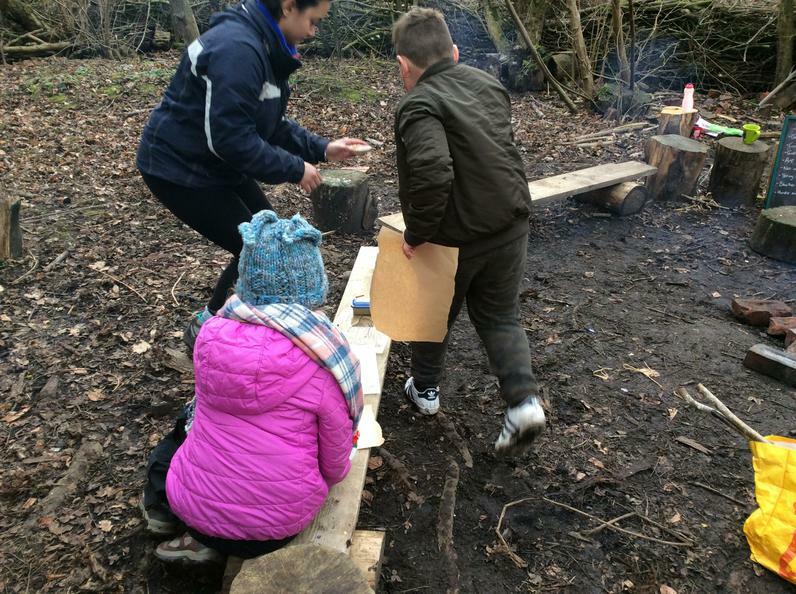 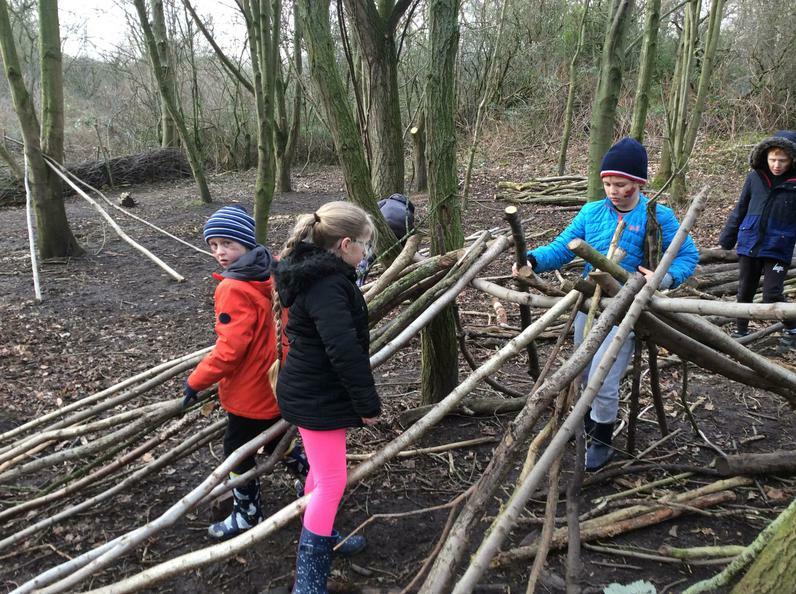 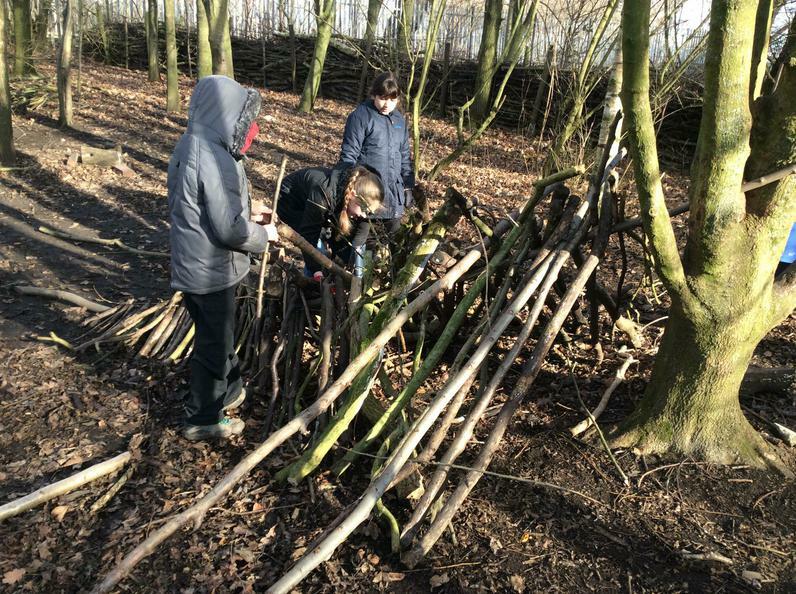 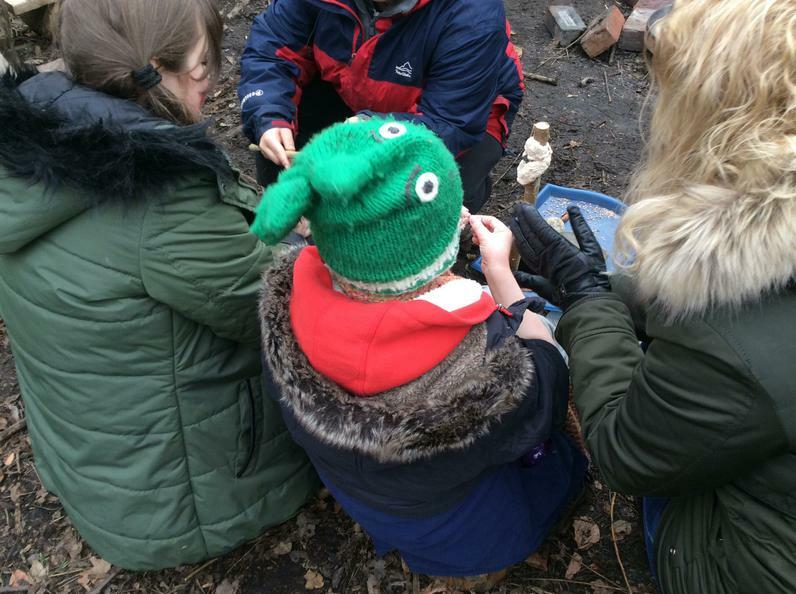 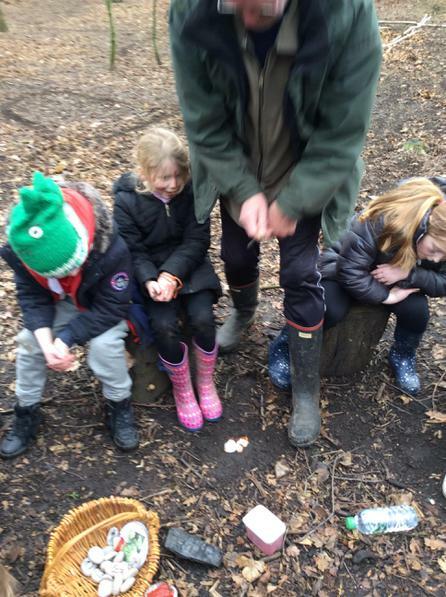 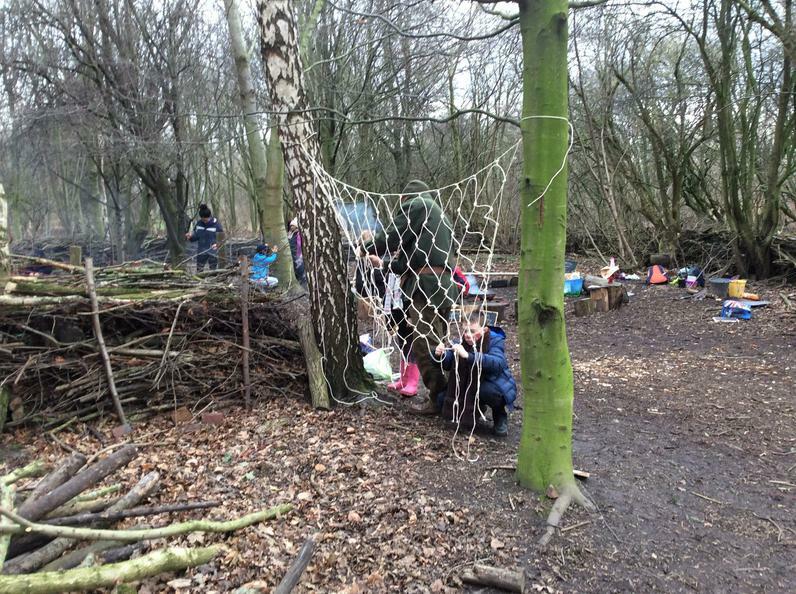 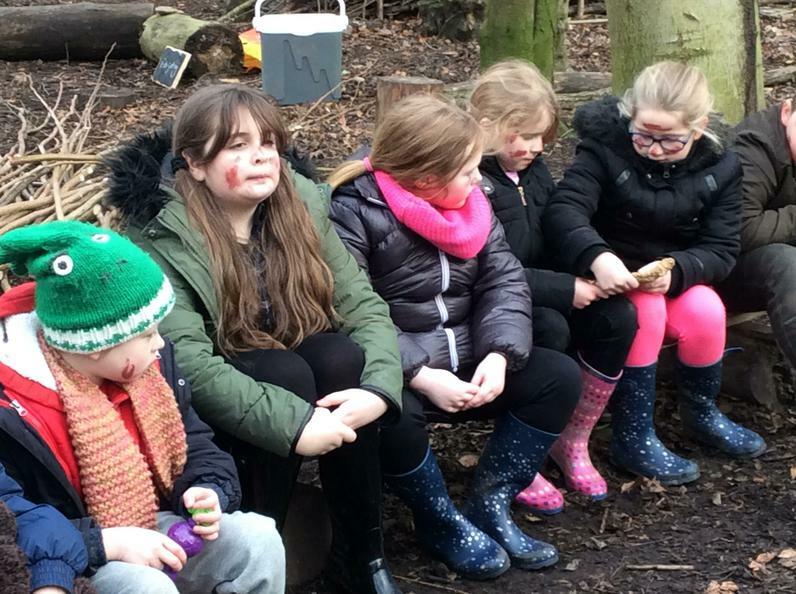 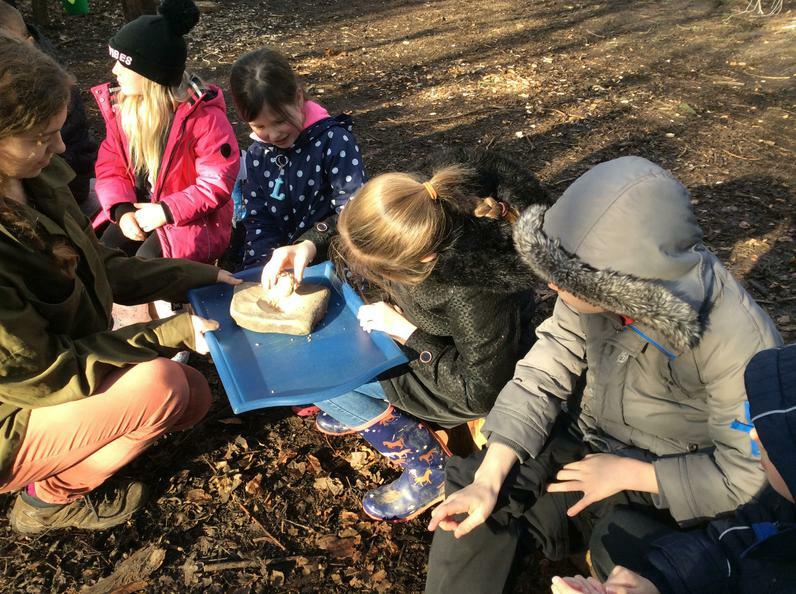 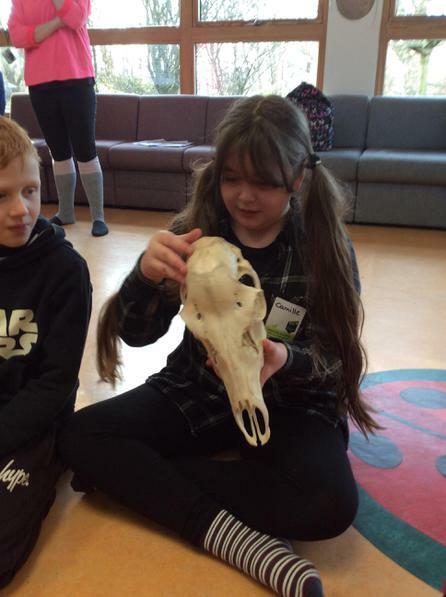 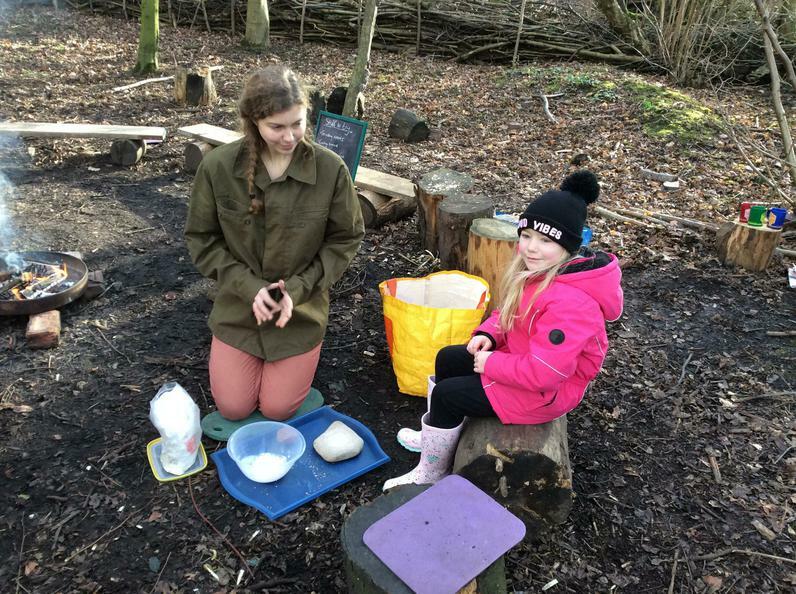 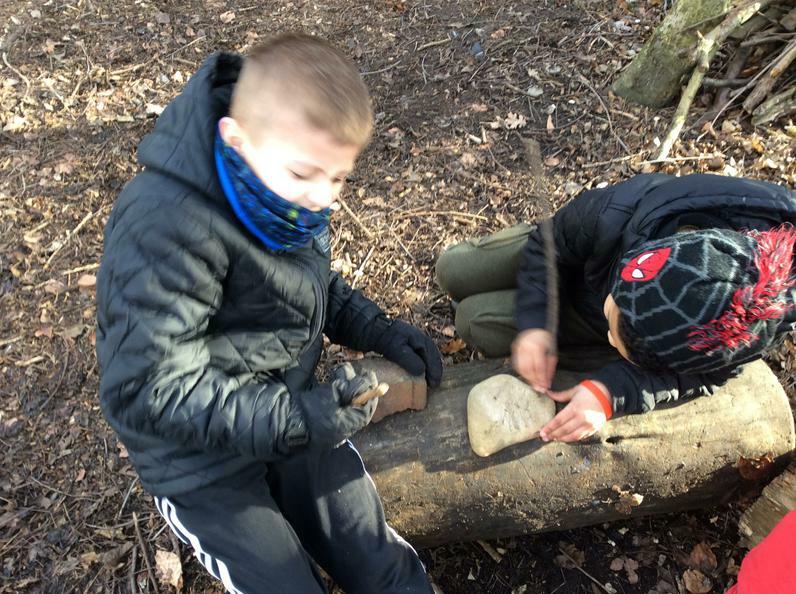 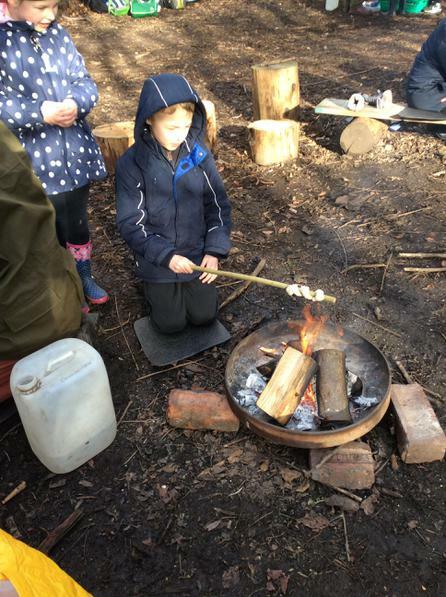 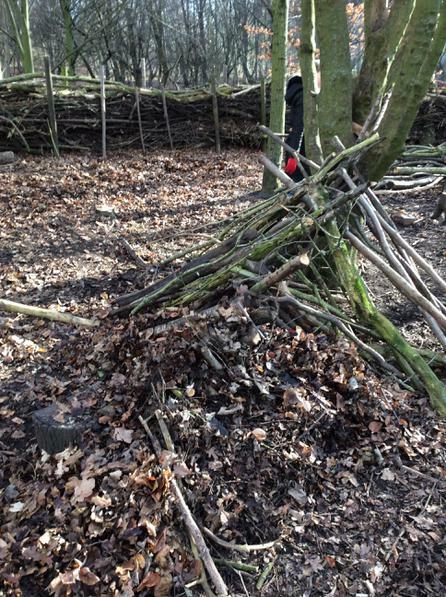 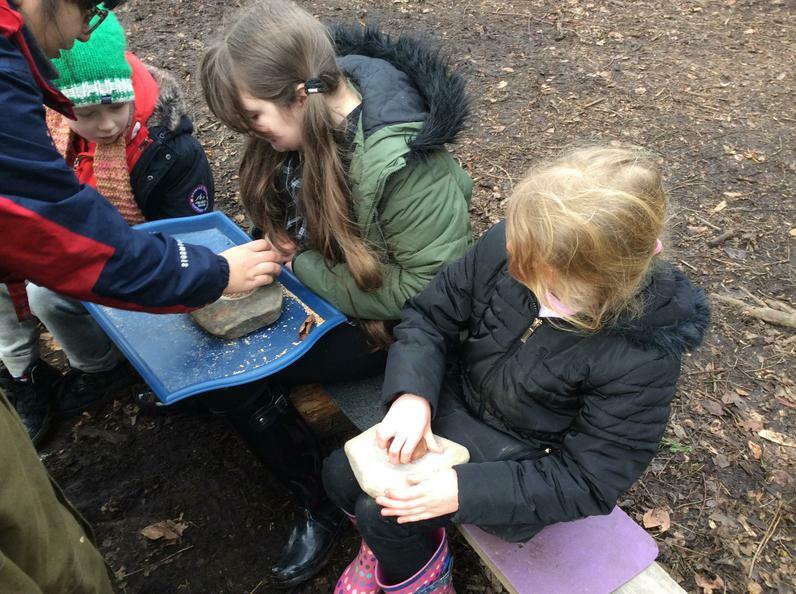 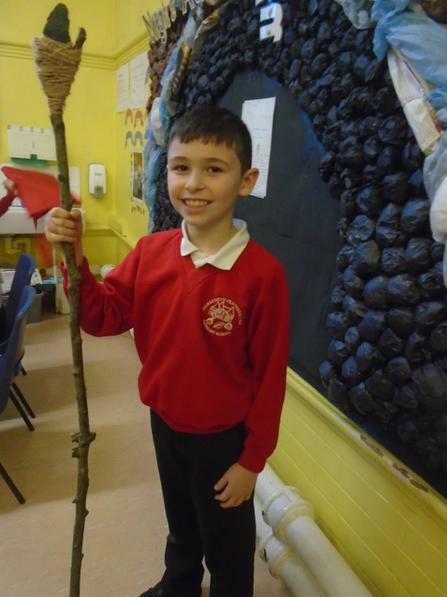 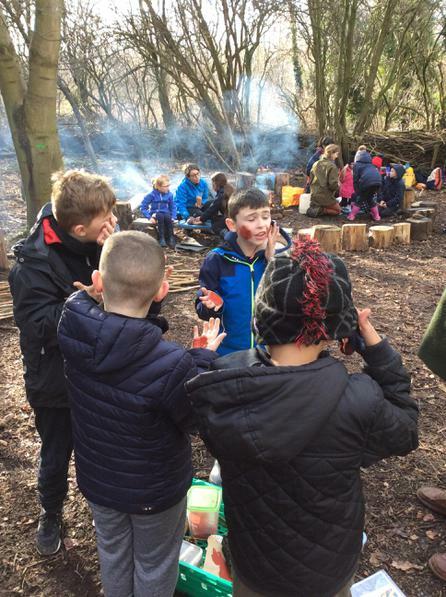 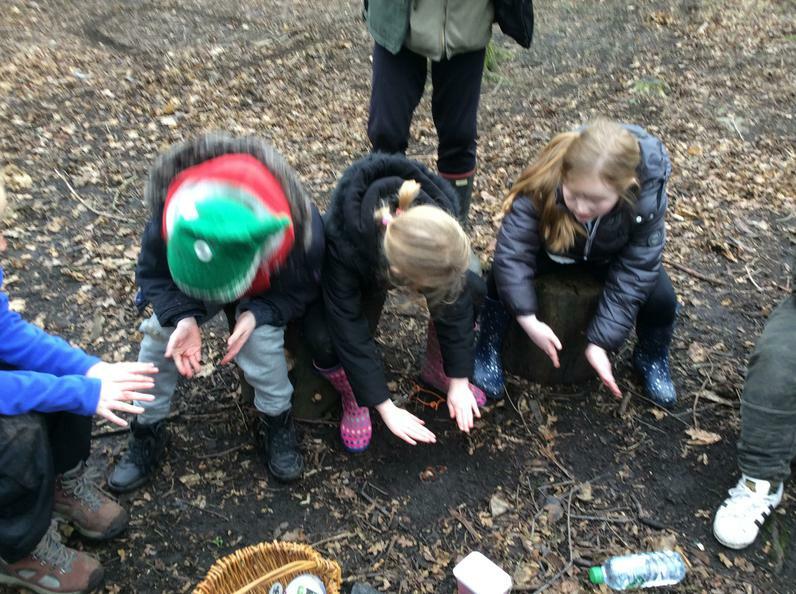 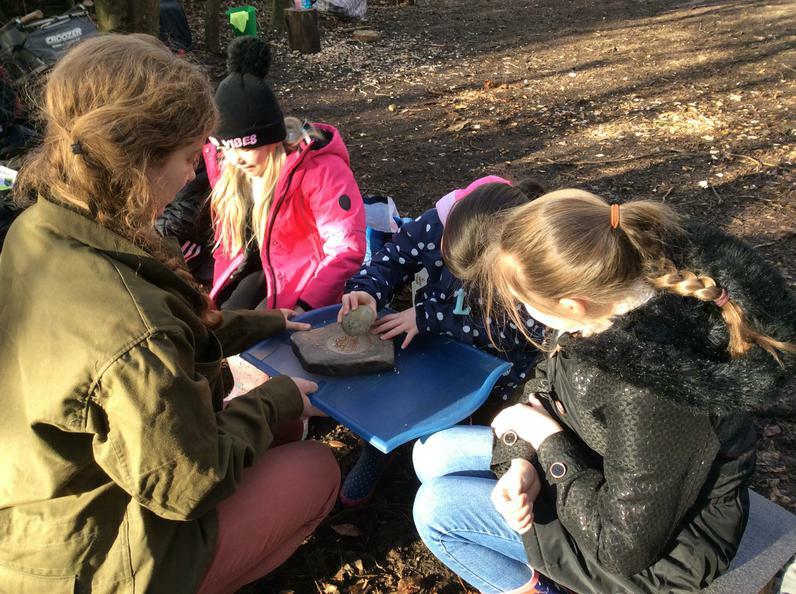 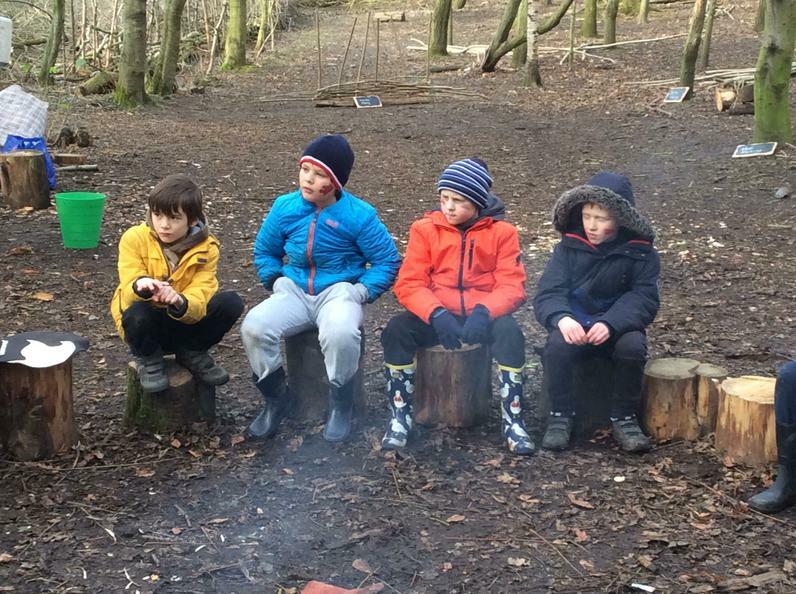 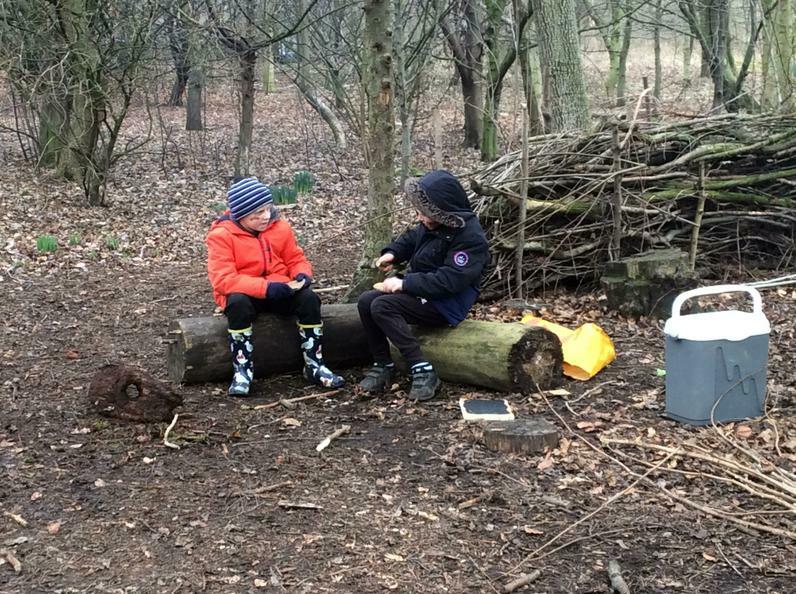 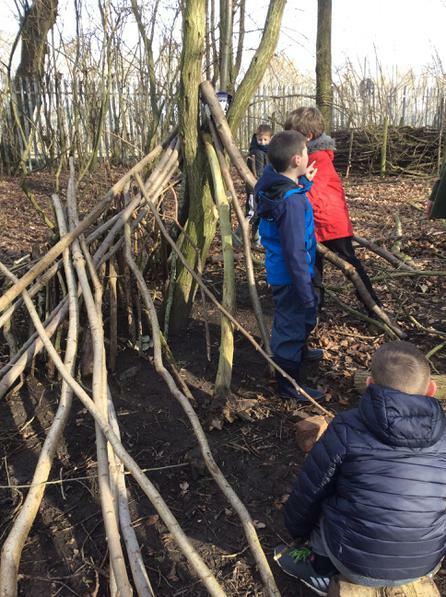 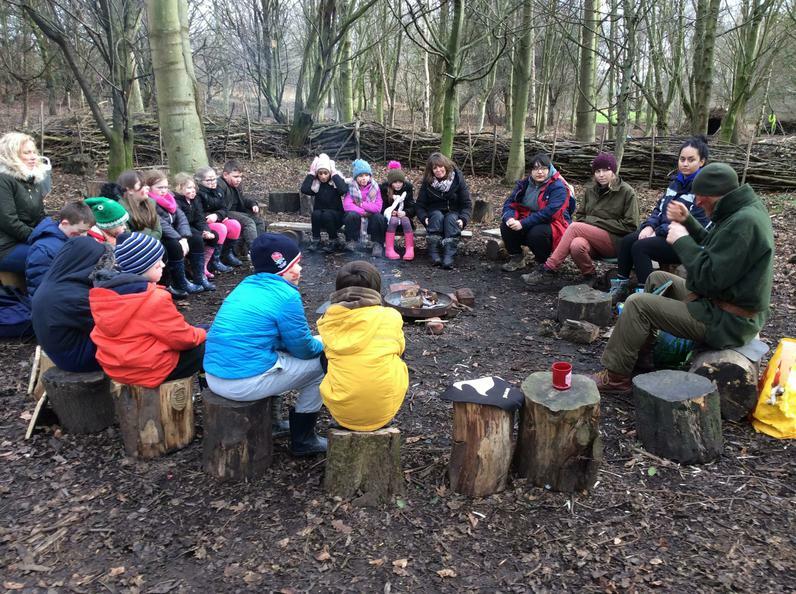 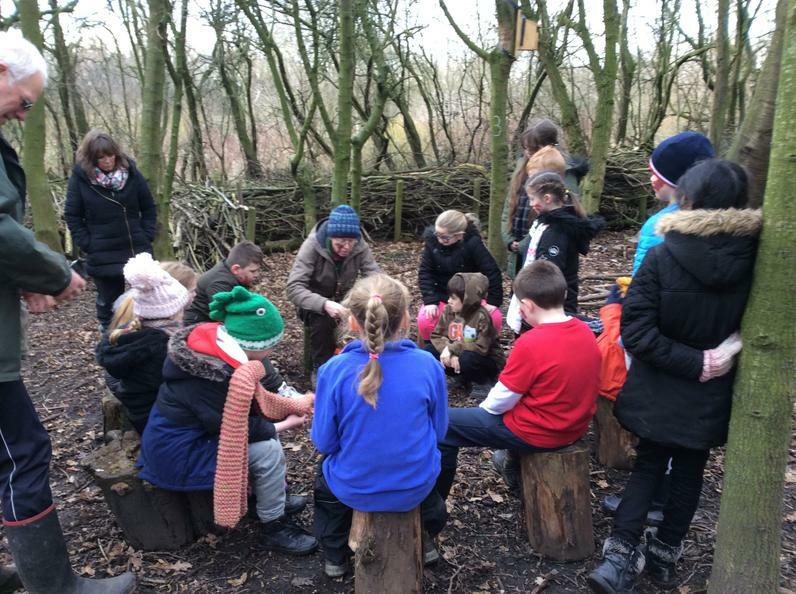 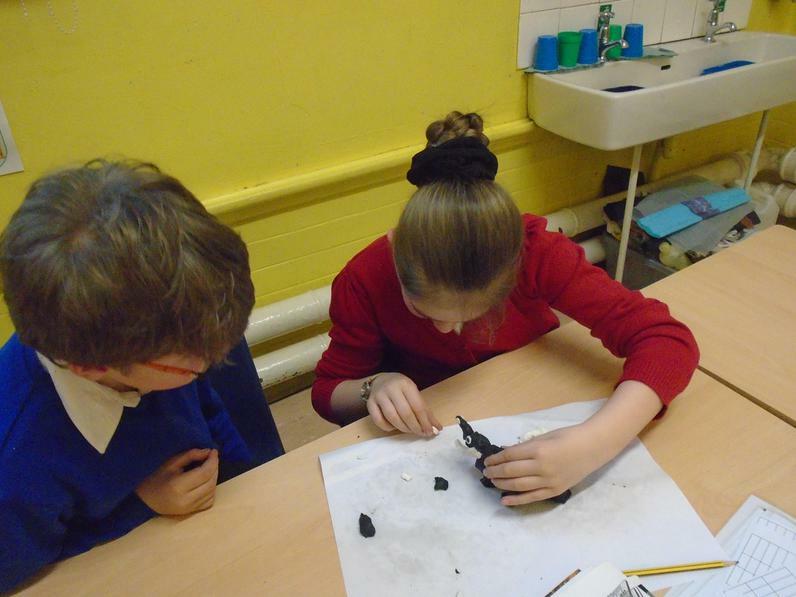 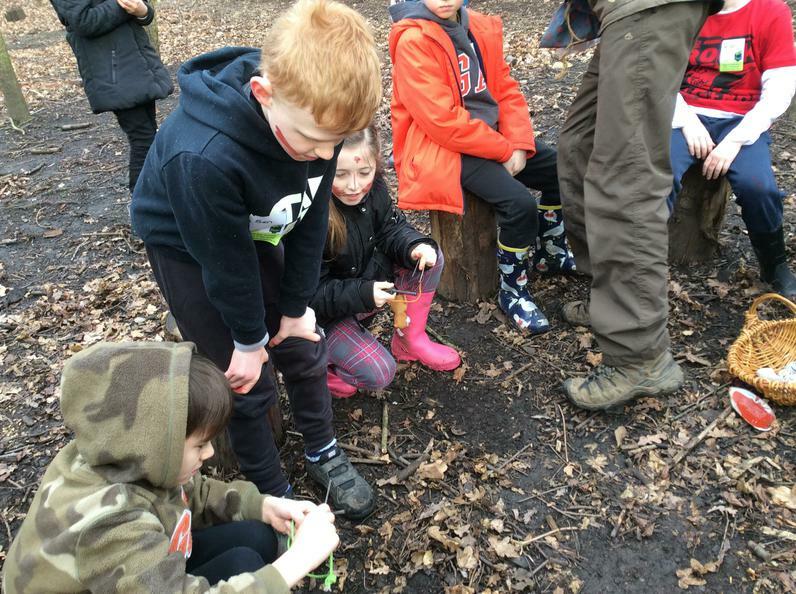 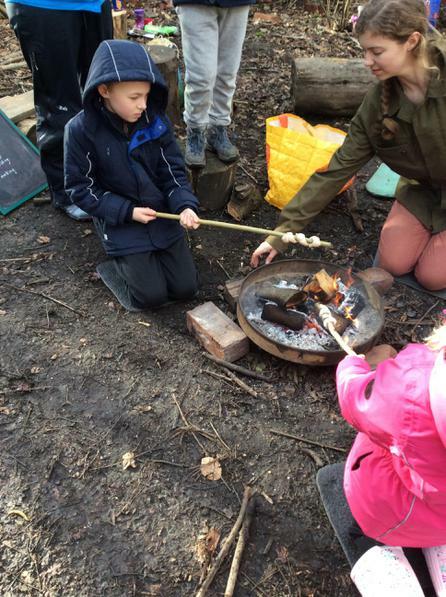 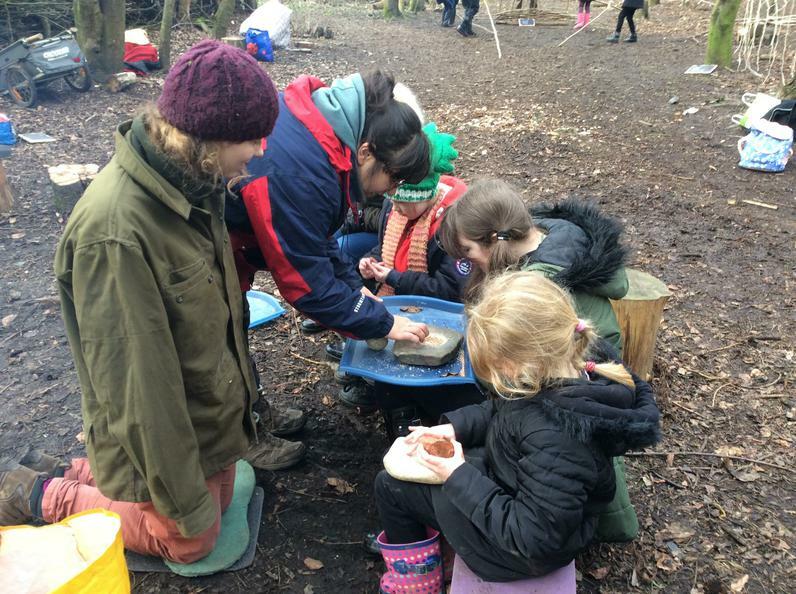 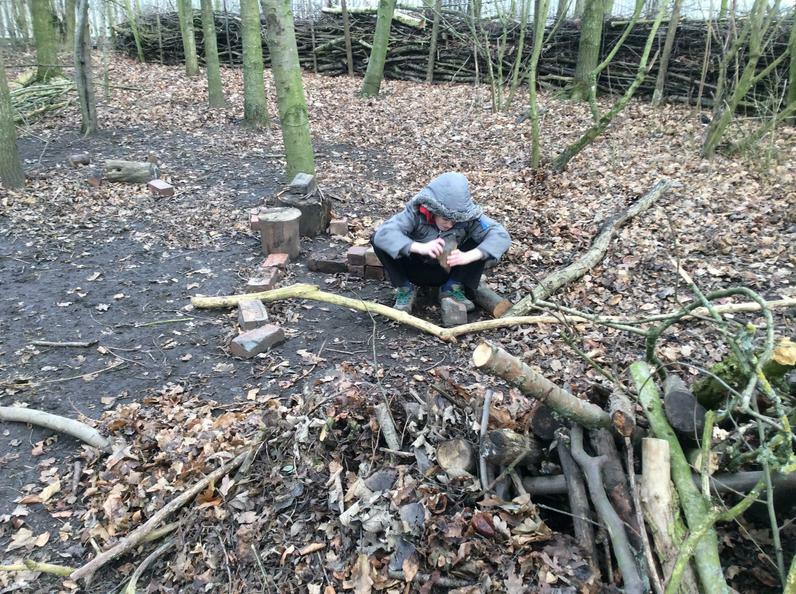 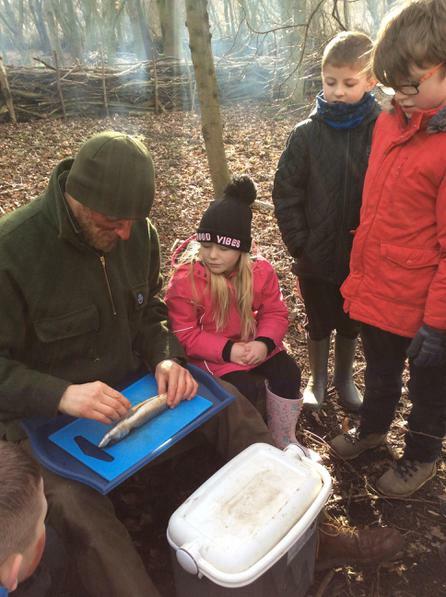 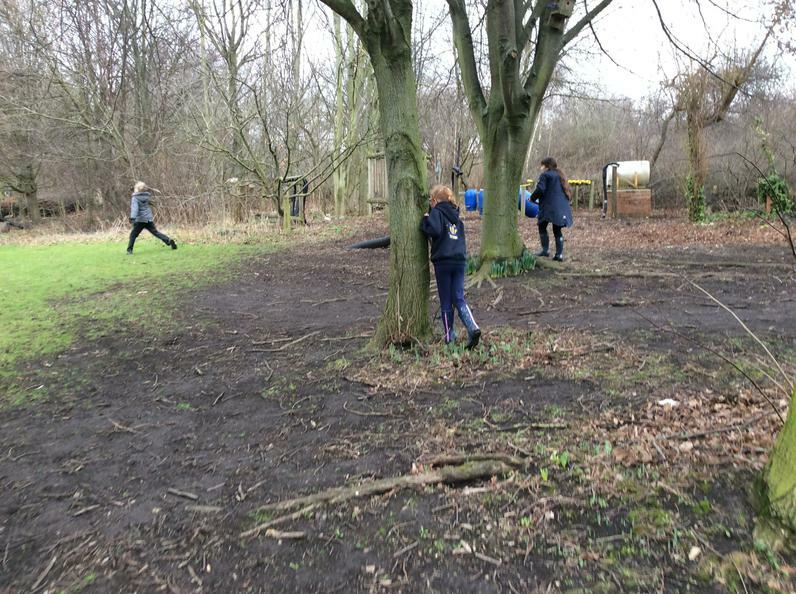 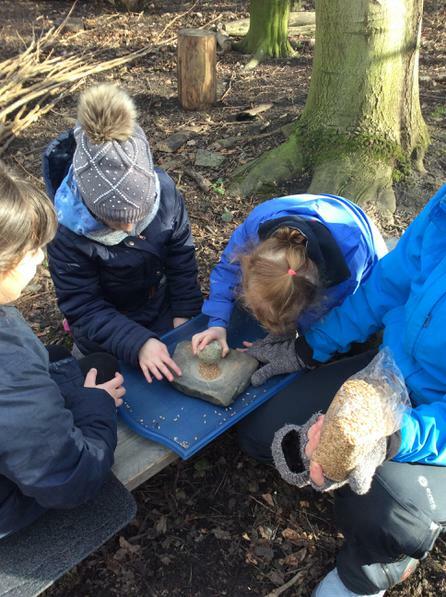 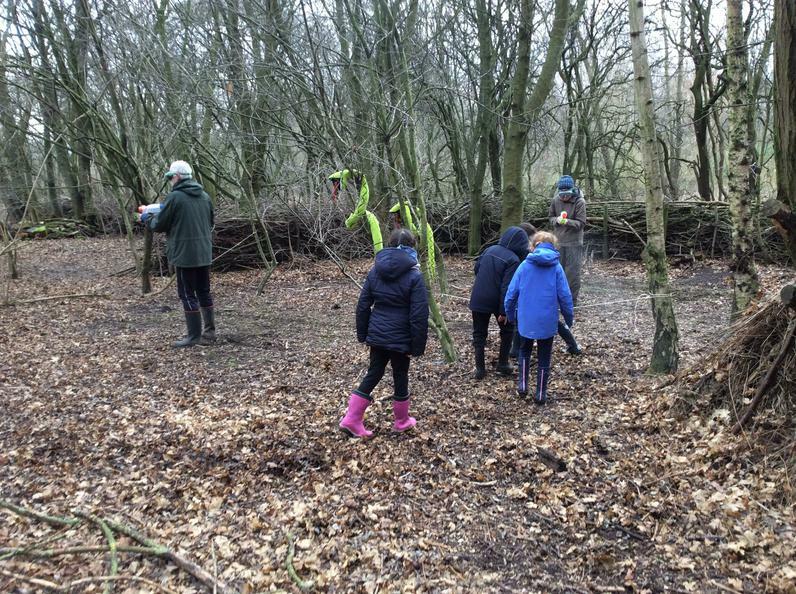 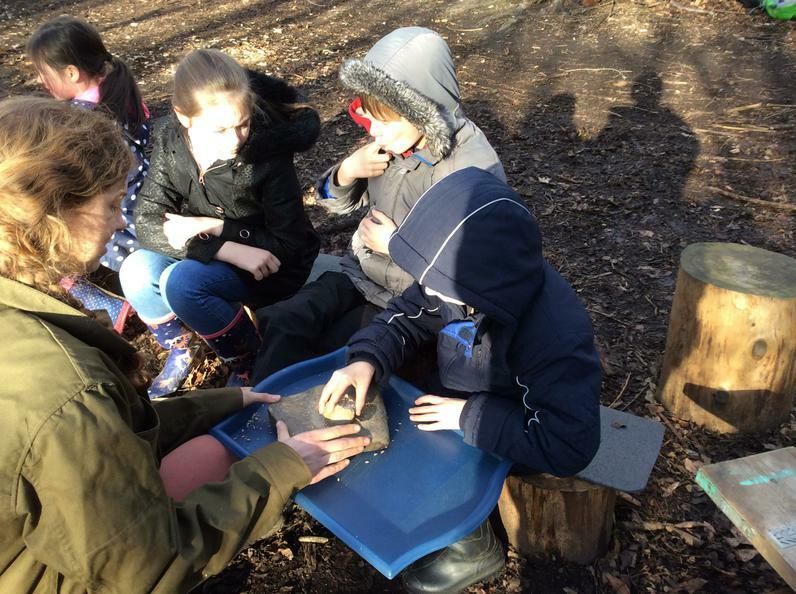 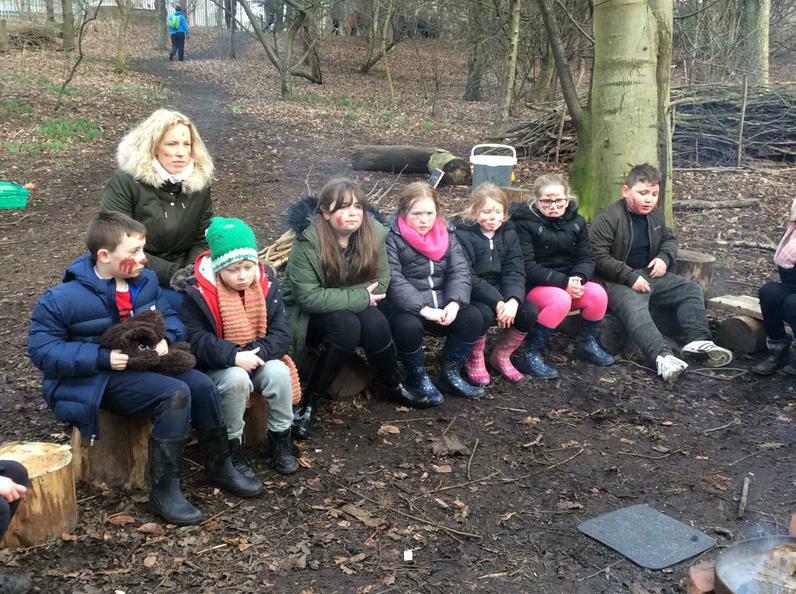 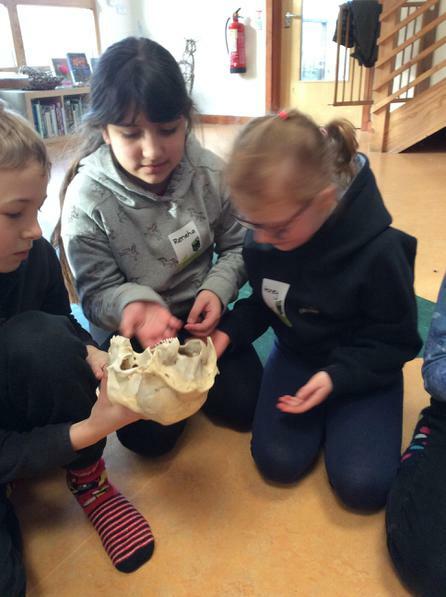 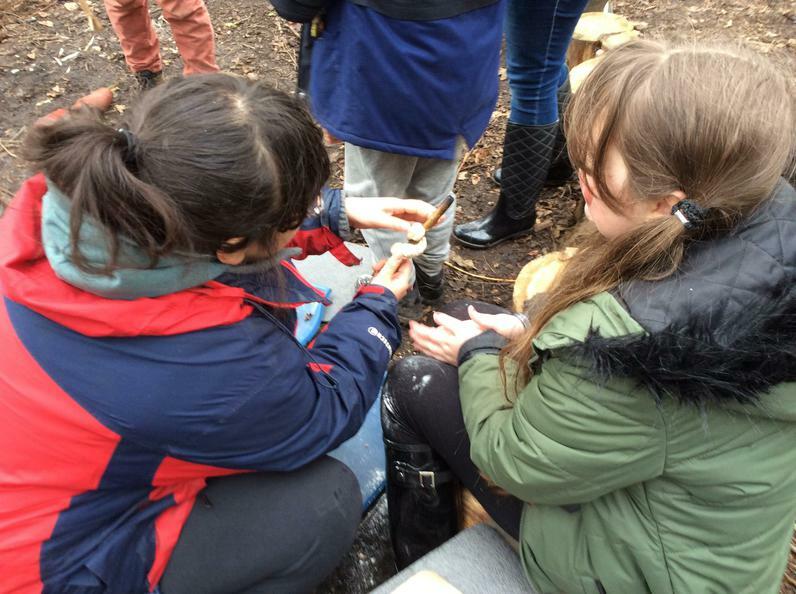 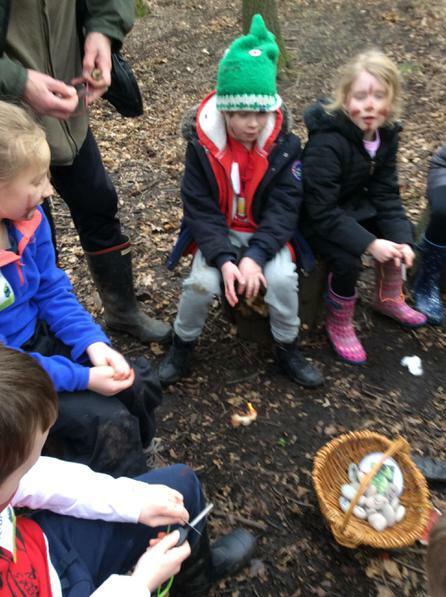 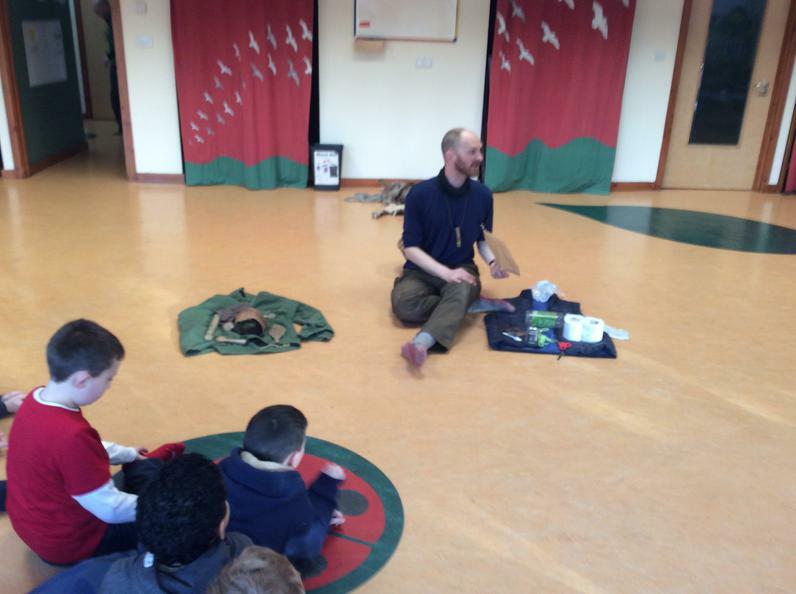 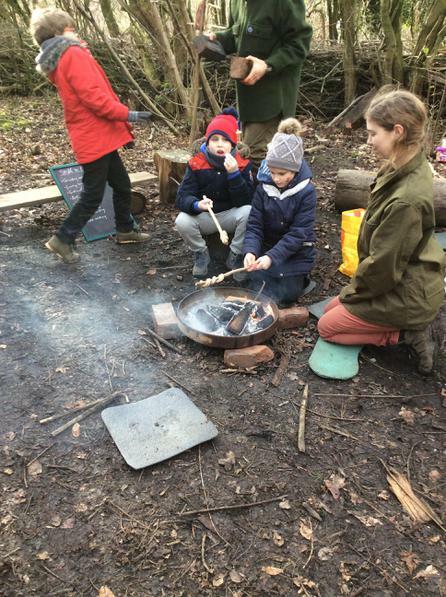 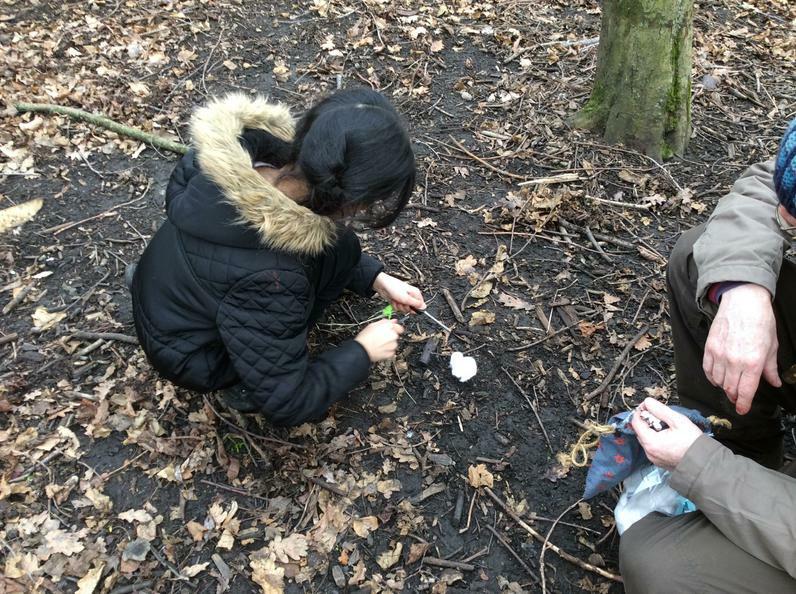 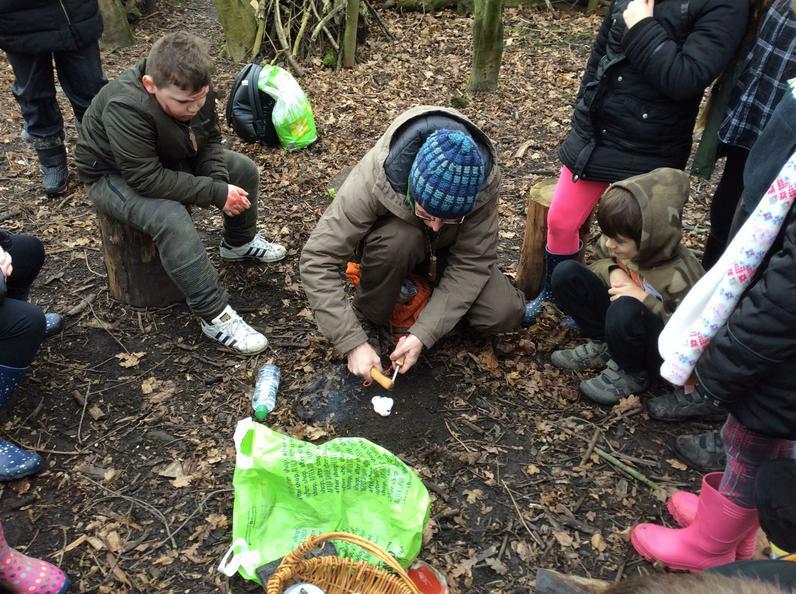 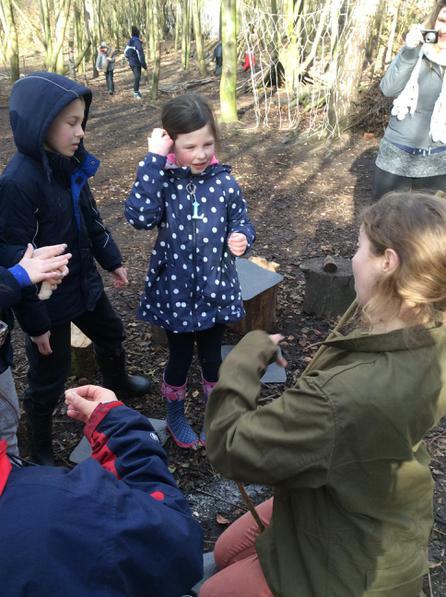 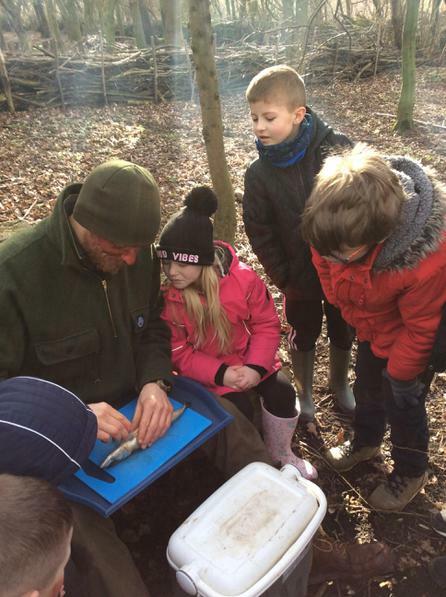 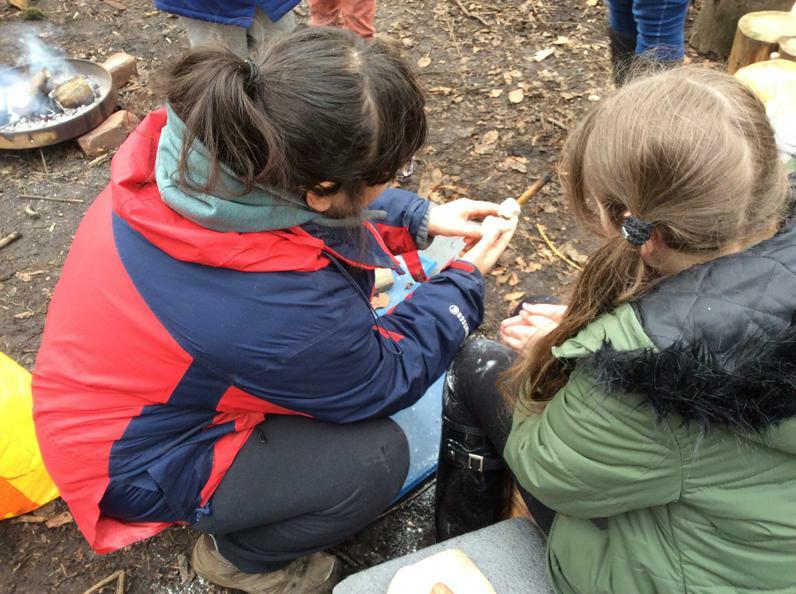 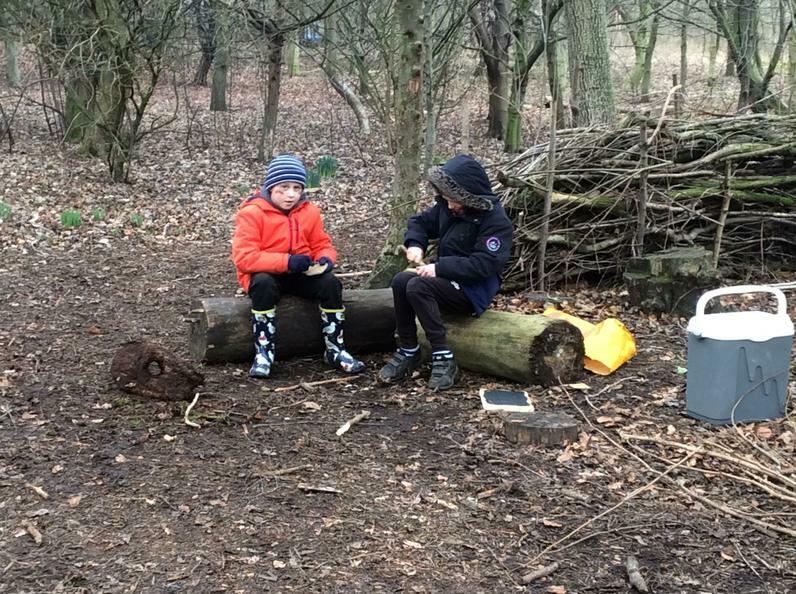 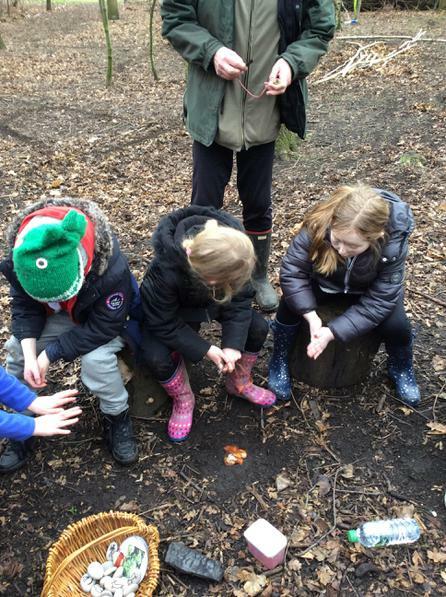 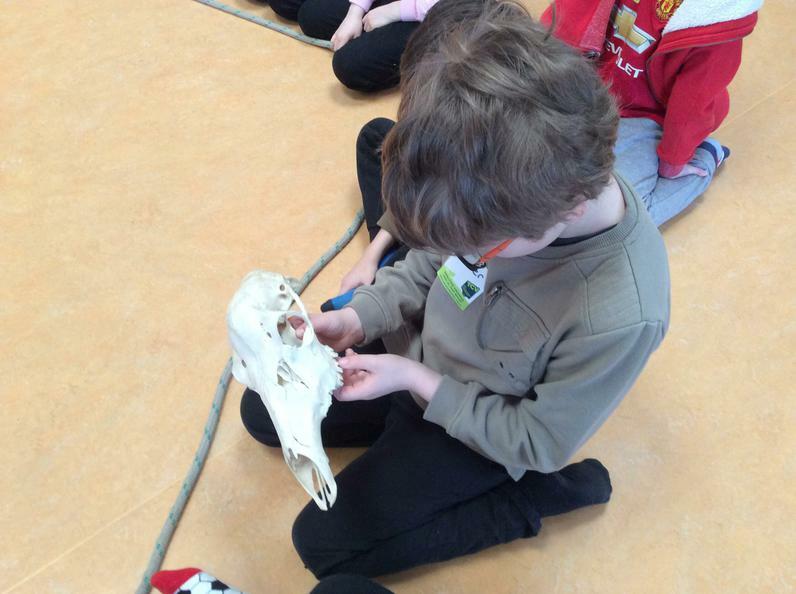 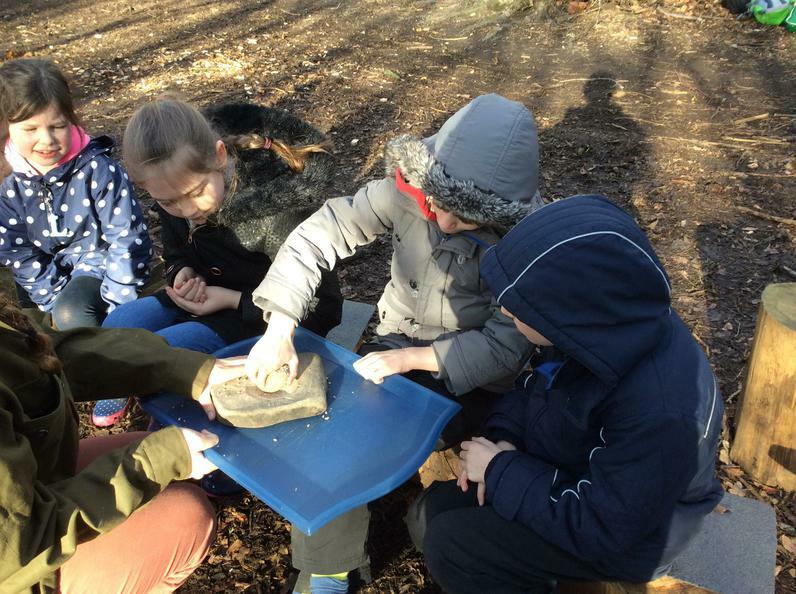 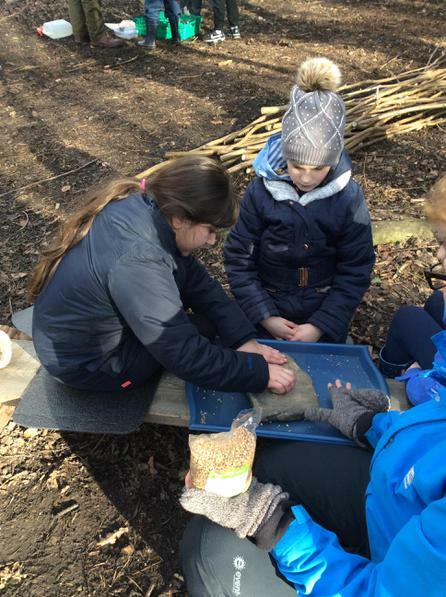 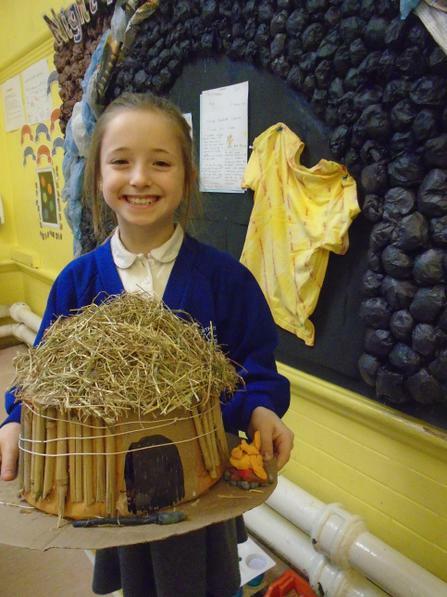 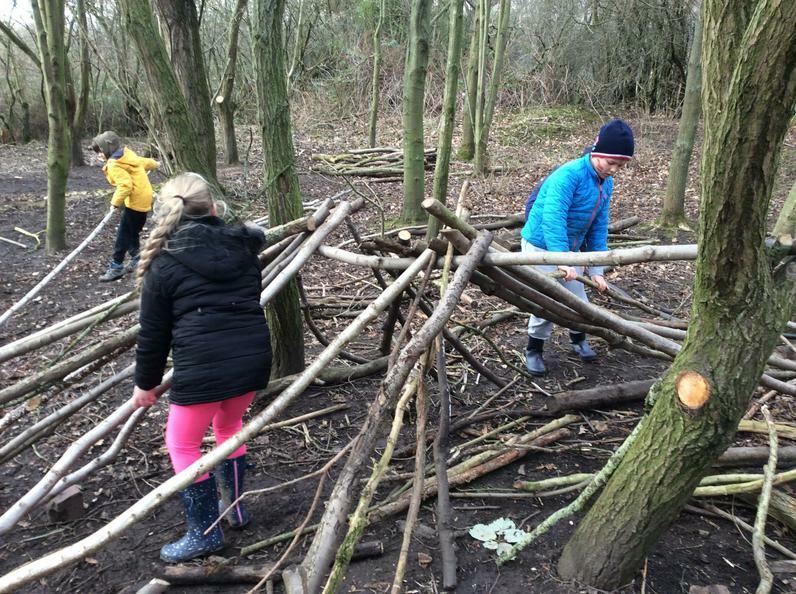 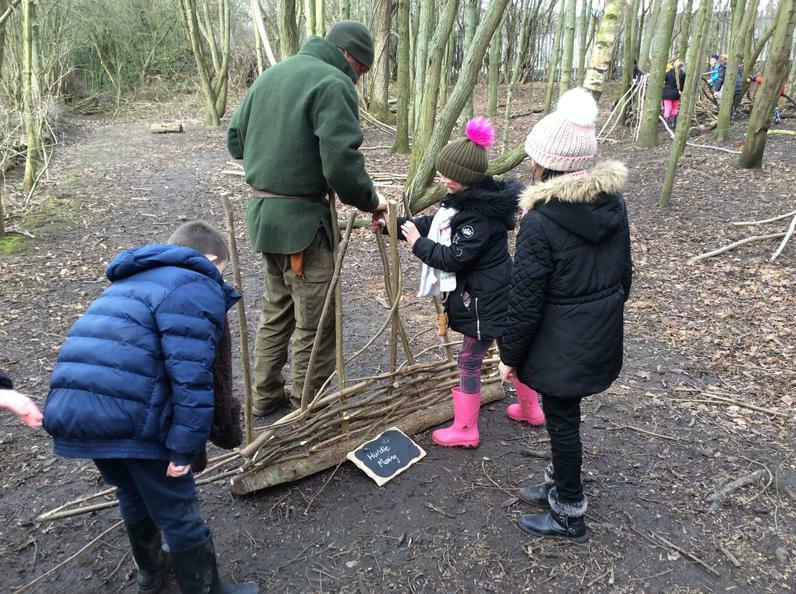 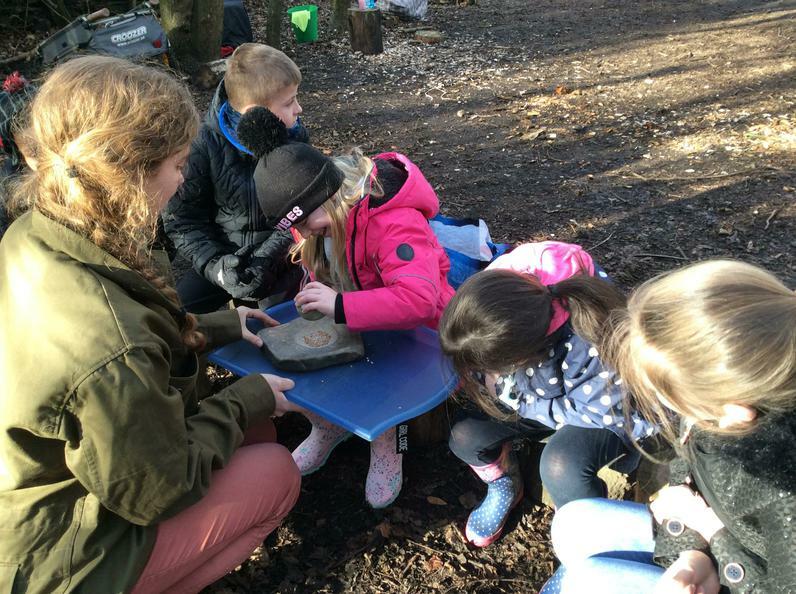 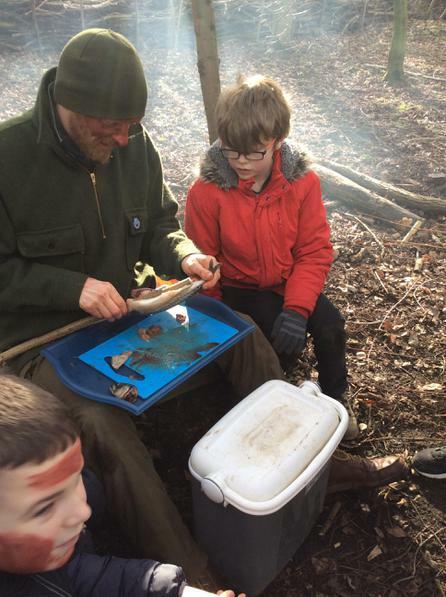 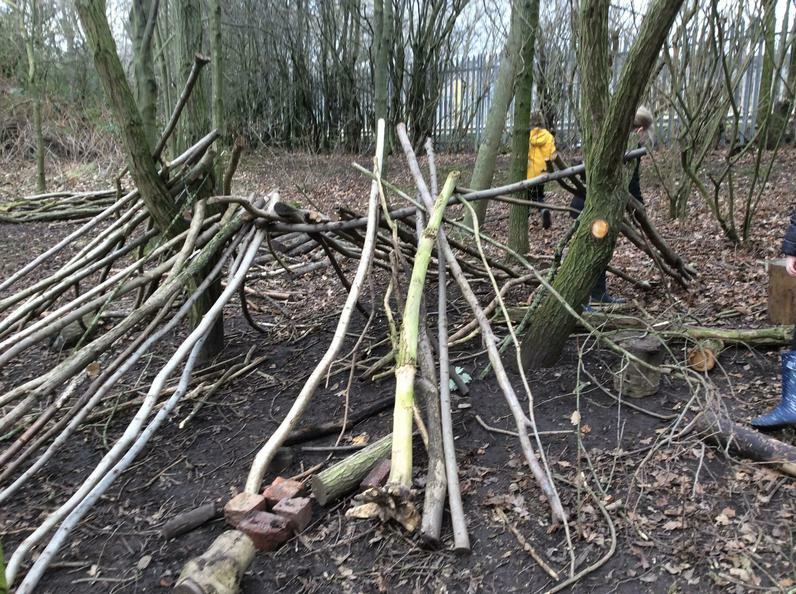 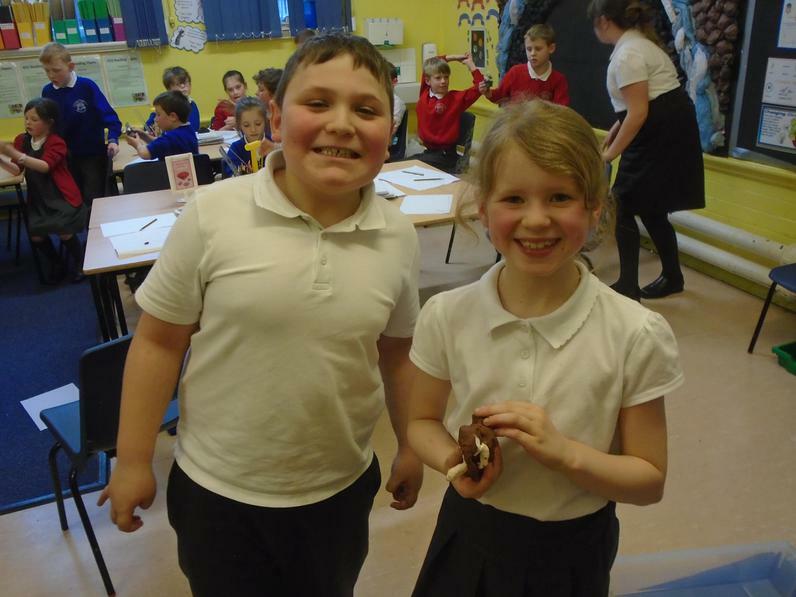 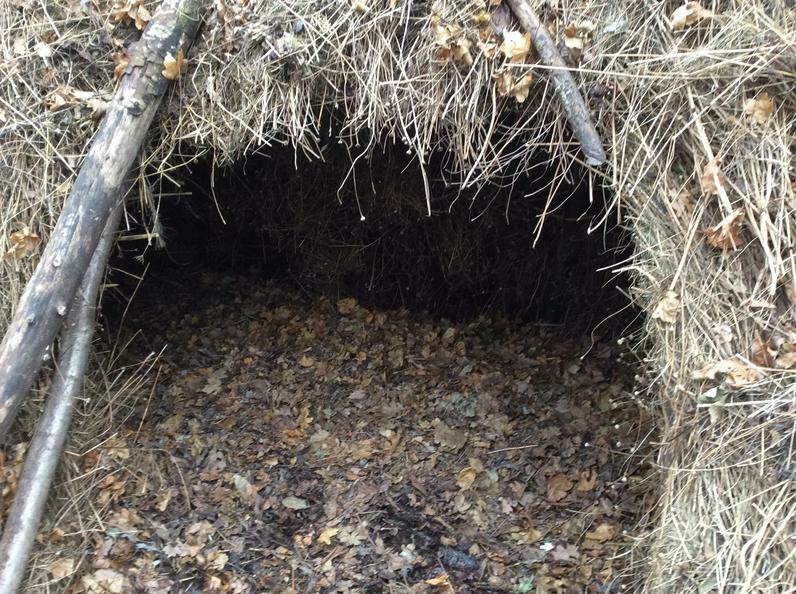 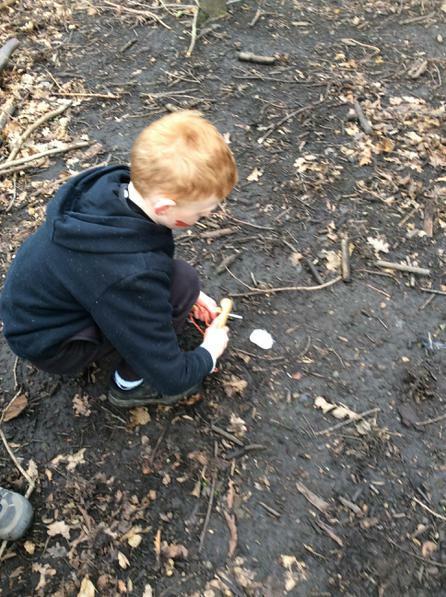 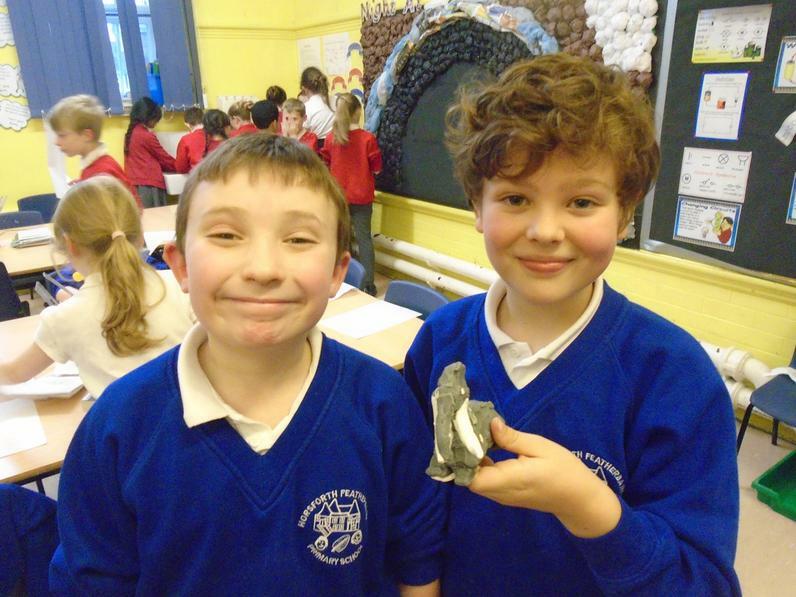 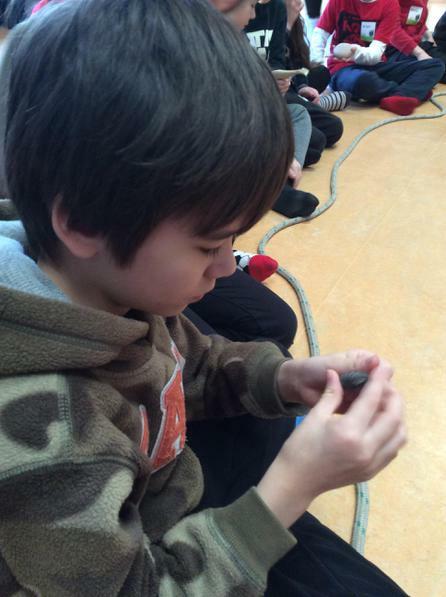 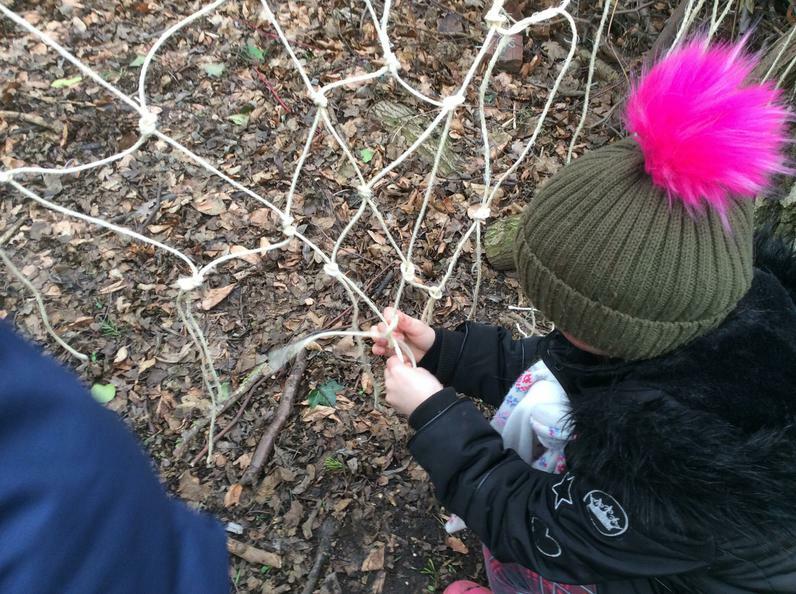 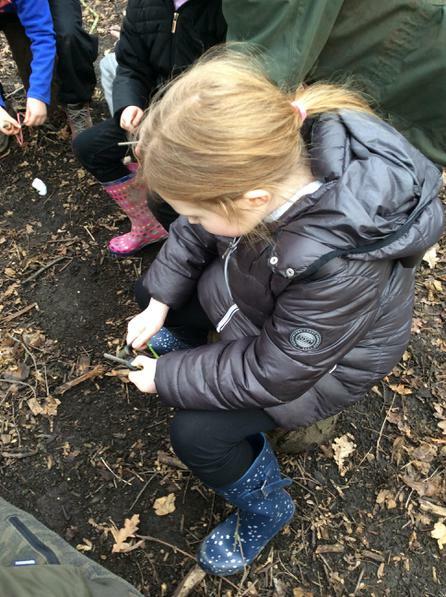 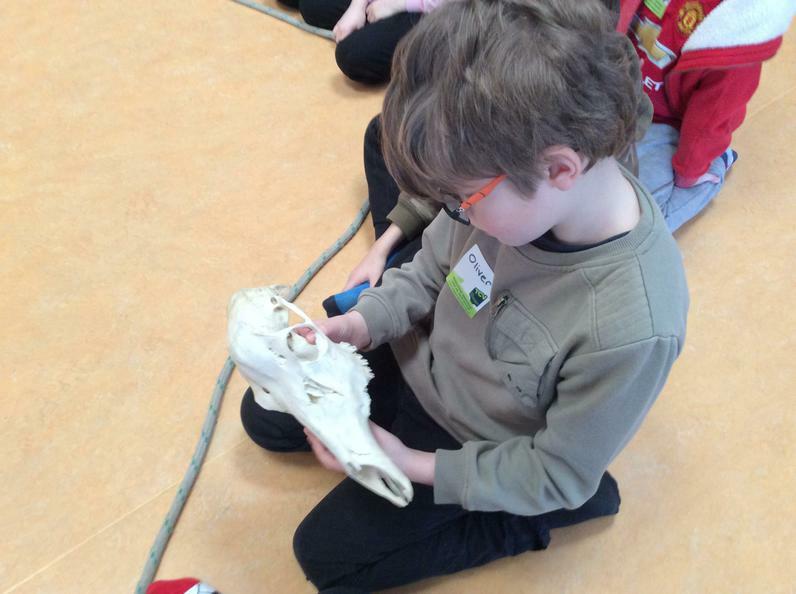 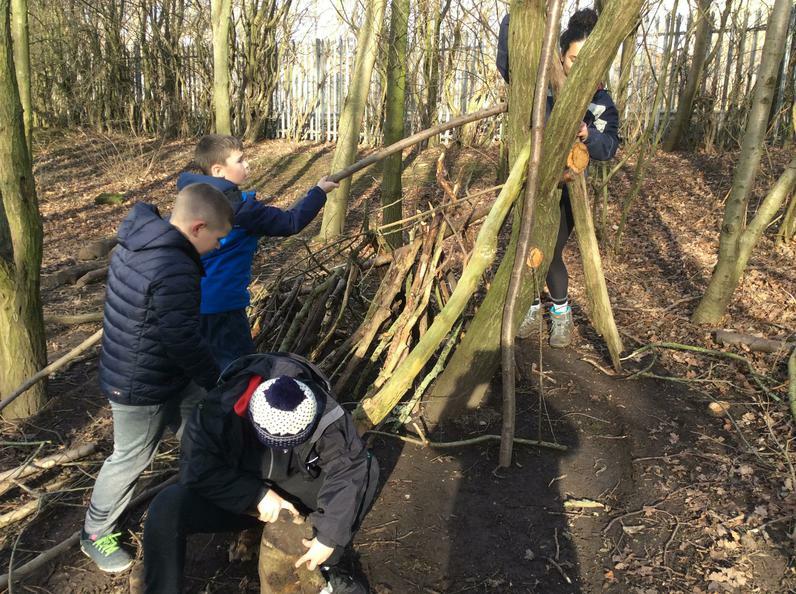 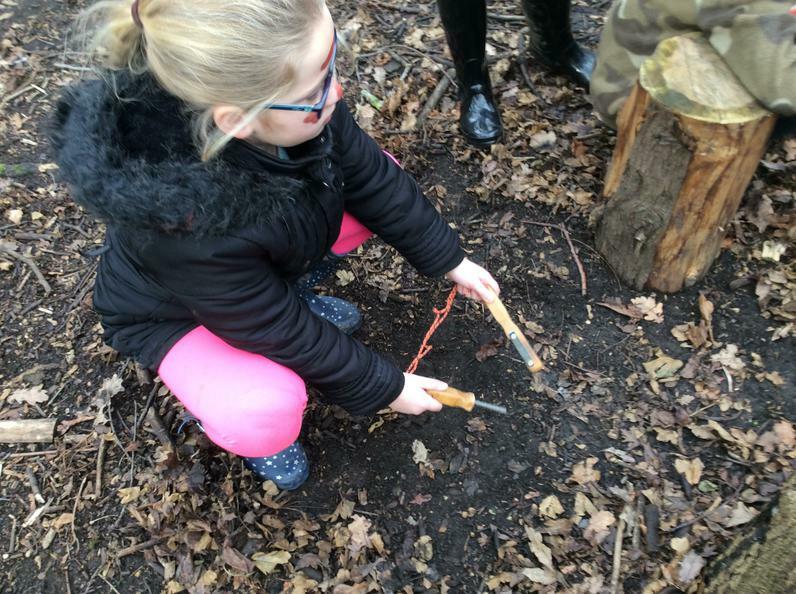 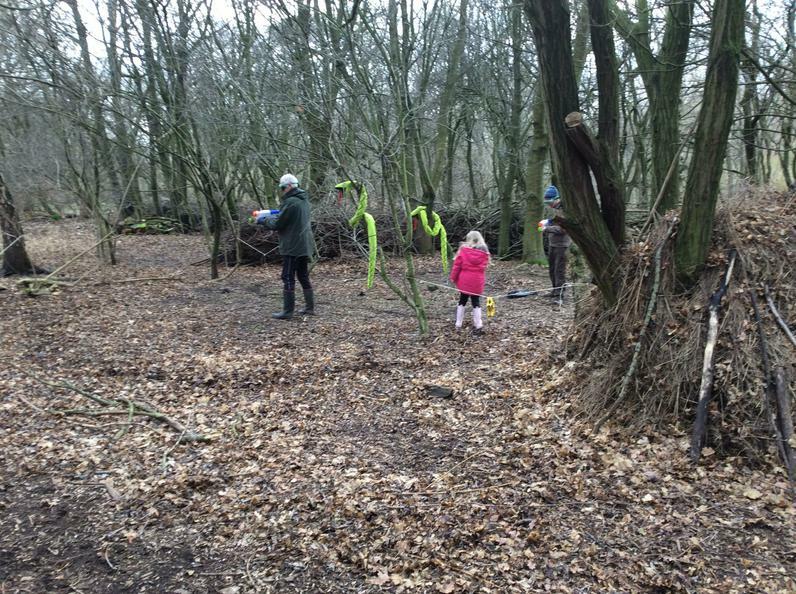 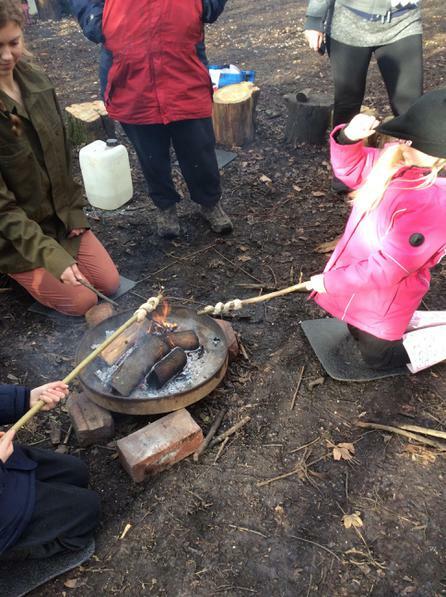 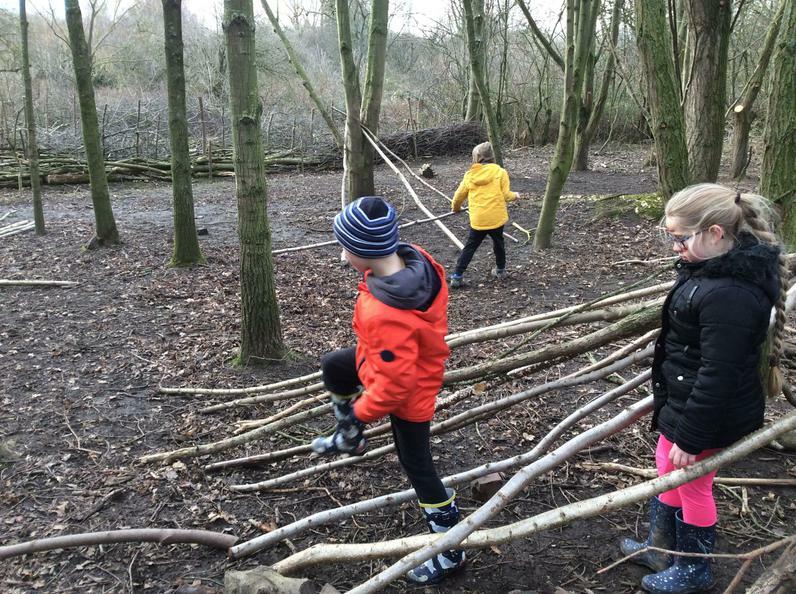 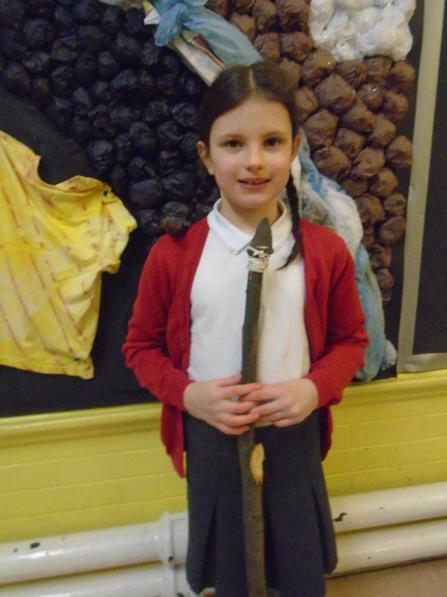 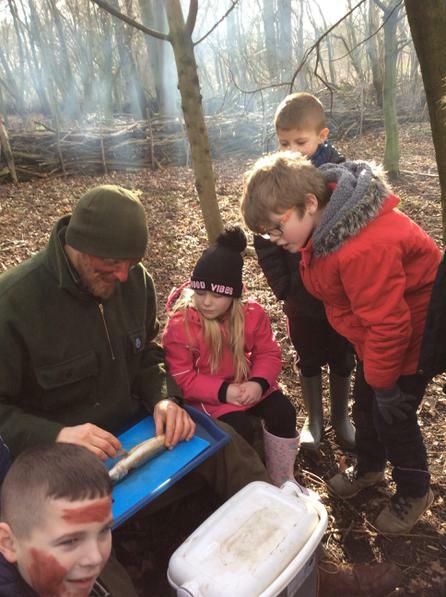 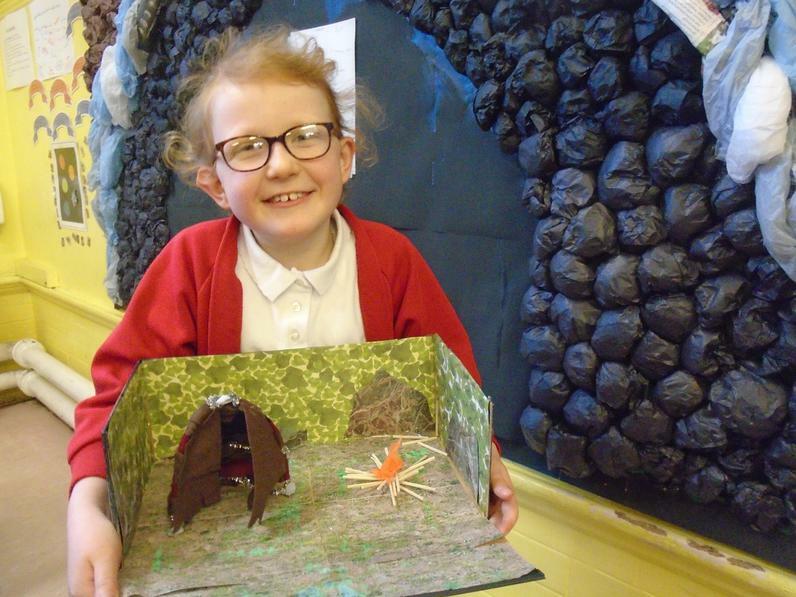 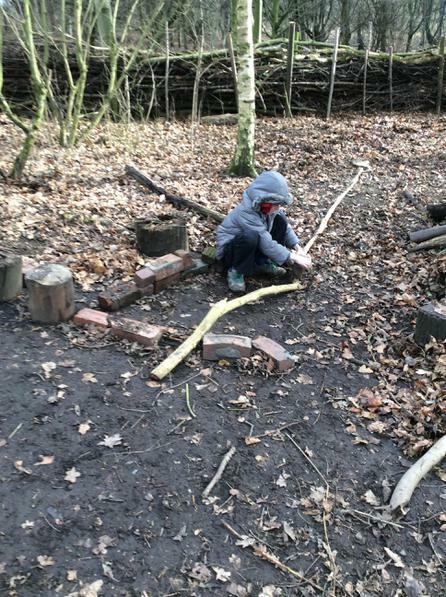 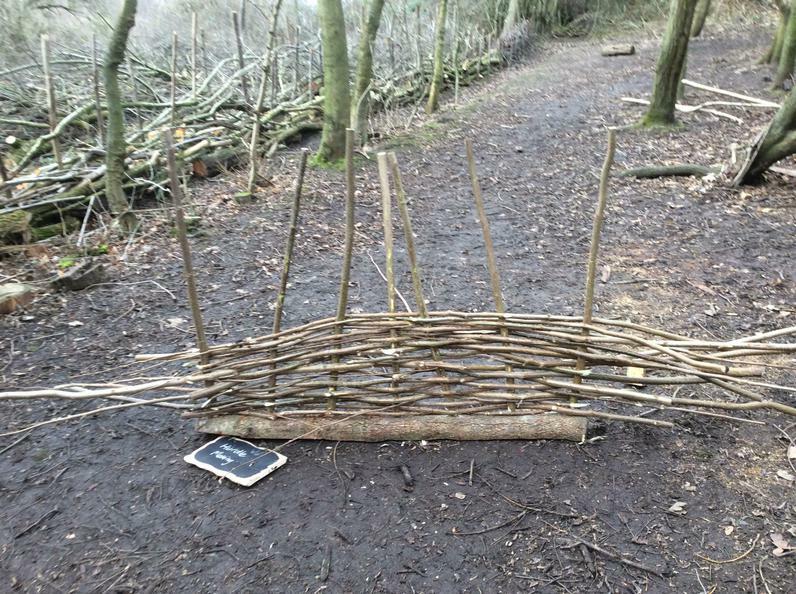 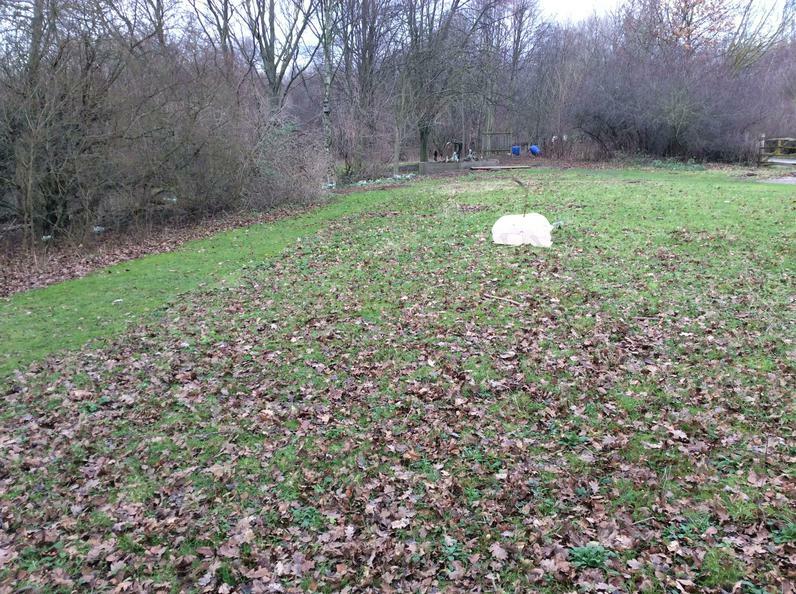 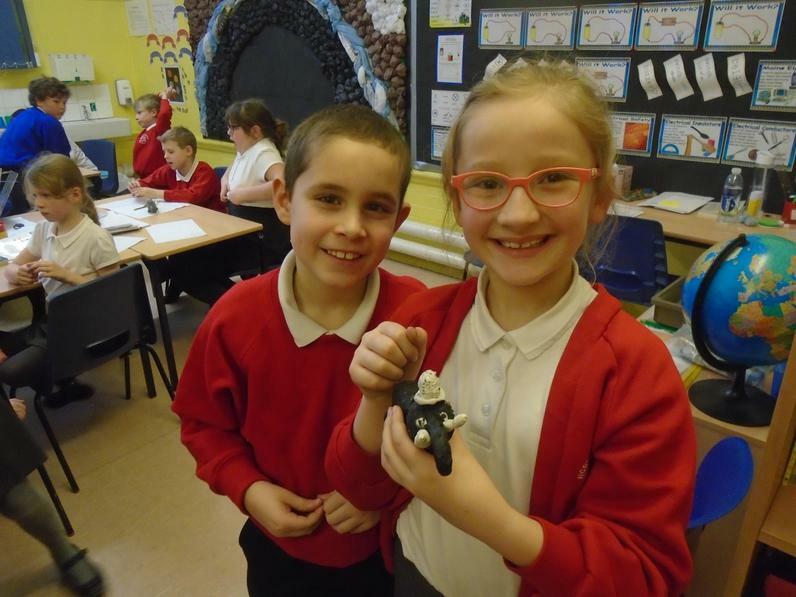 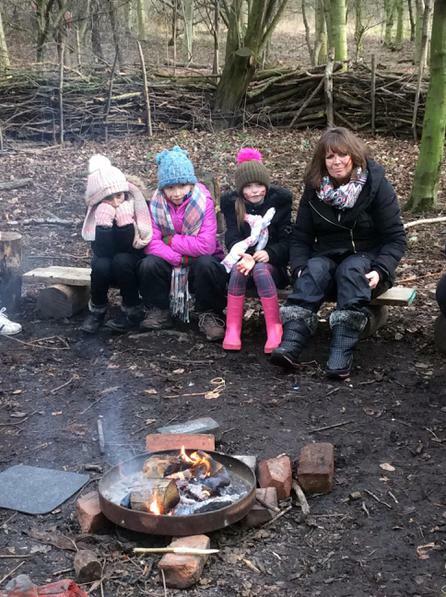 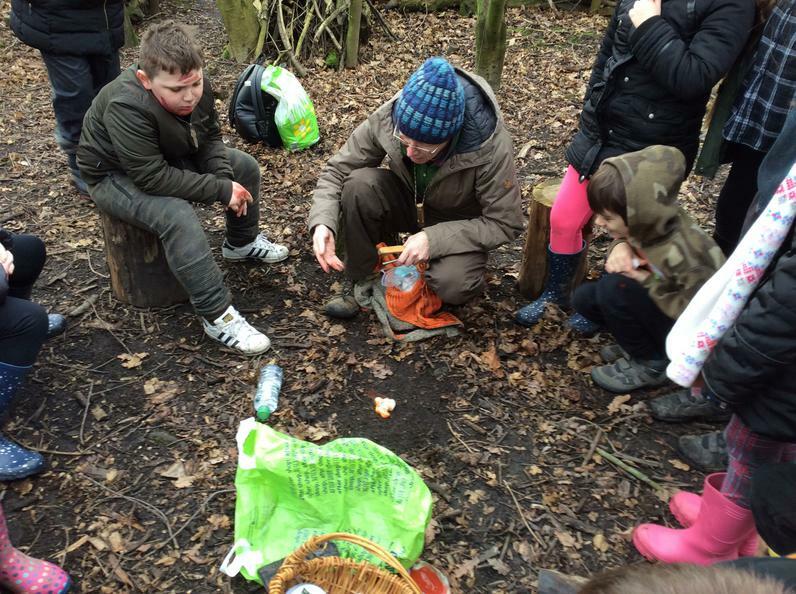 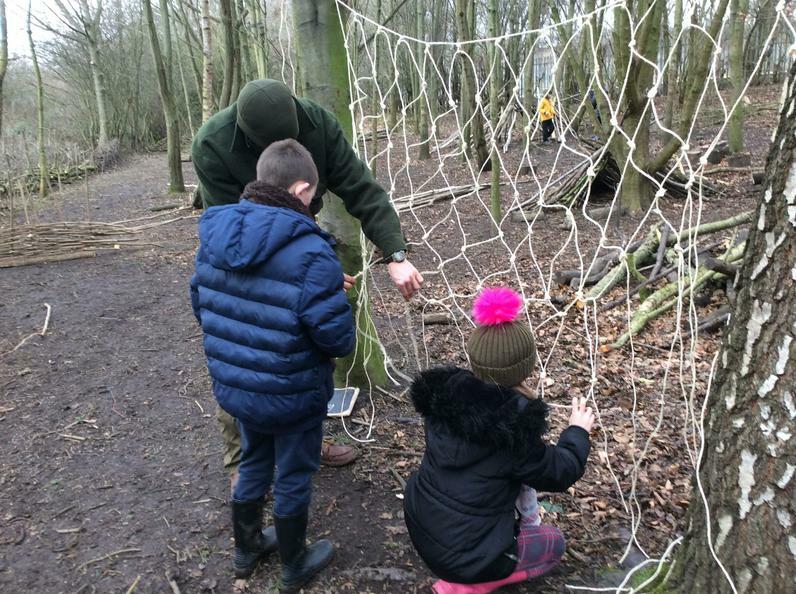 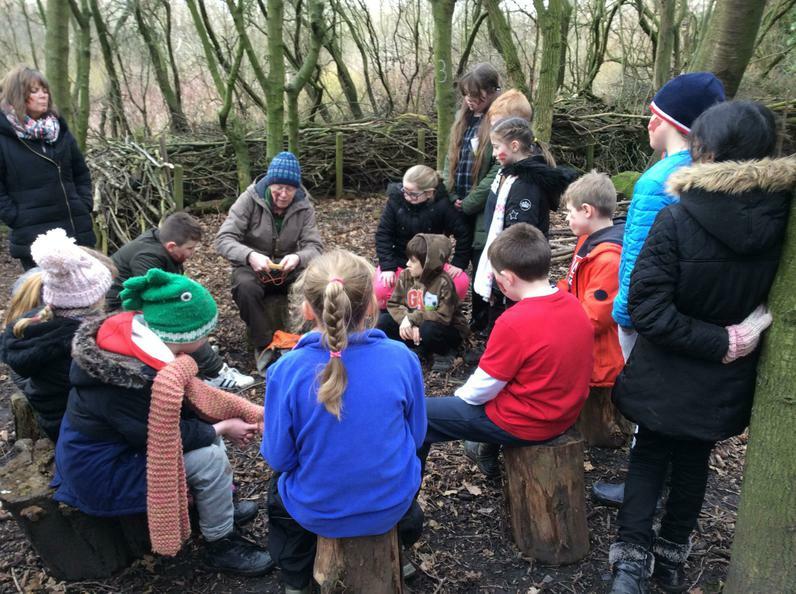 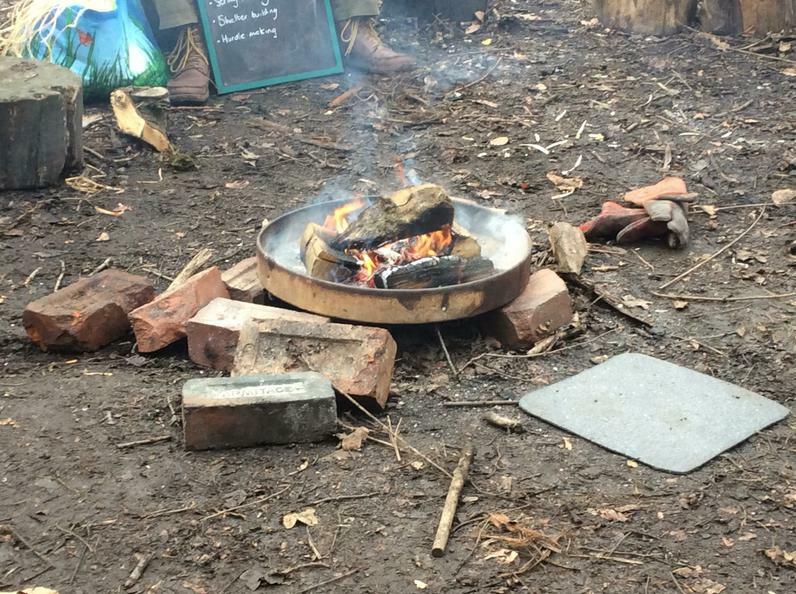 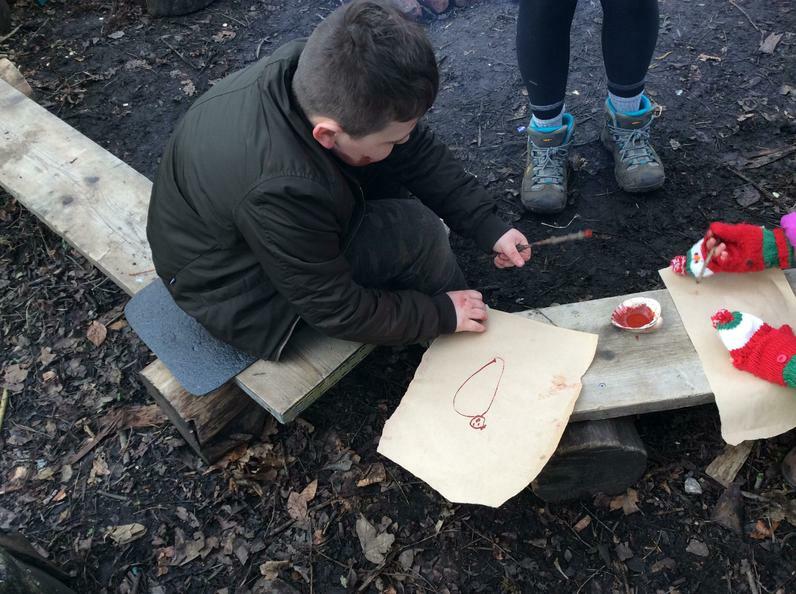 At Skelton Grange we learned what it was like to live in the Stone Age. 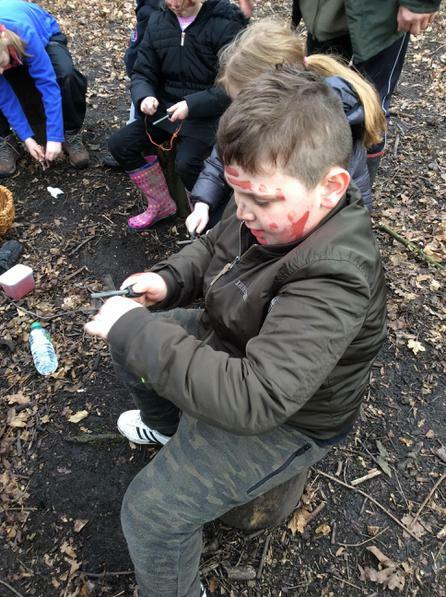 We got to paint our faces with ochre learned how to mix ochre to make cave paintings, made bread including cooking it on a fire, gutted a fish with a flint and cooked (and ate) it, learned how to tie knots to make a net, sharpen a stick with a flint and make shelters. 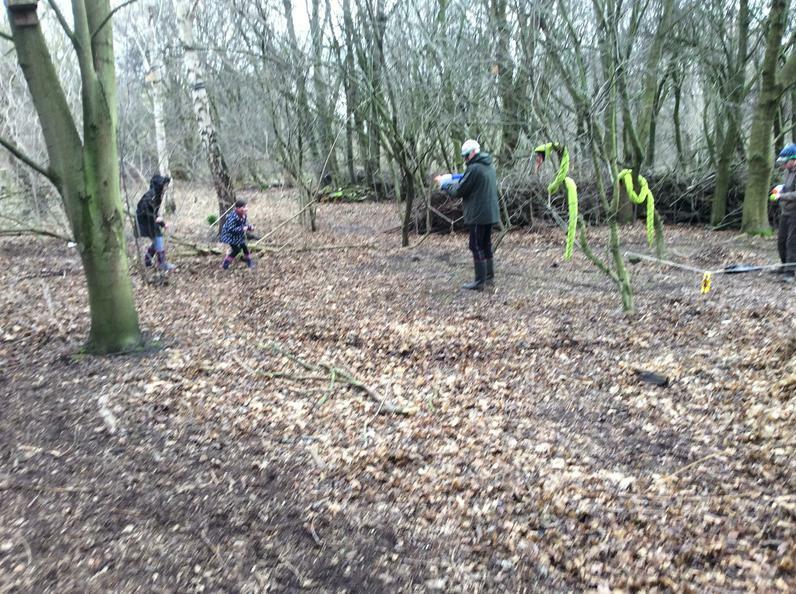 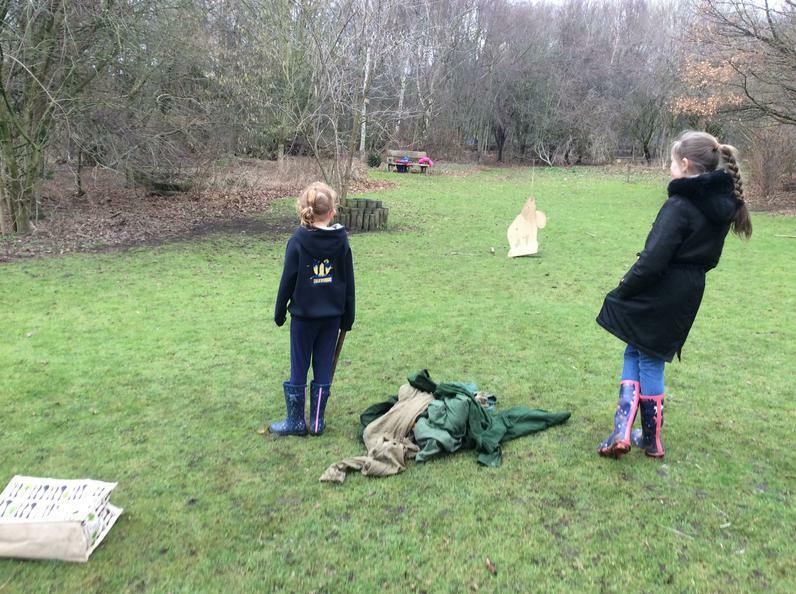 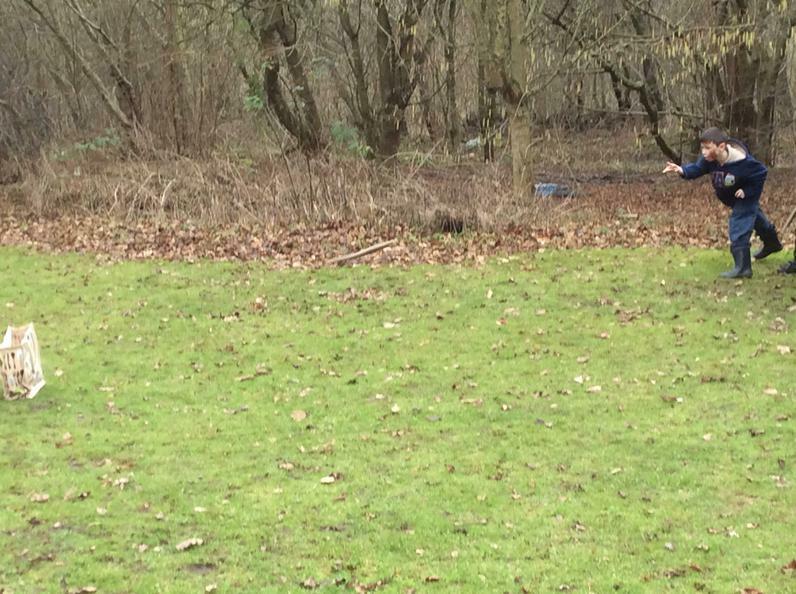 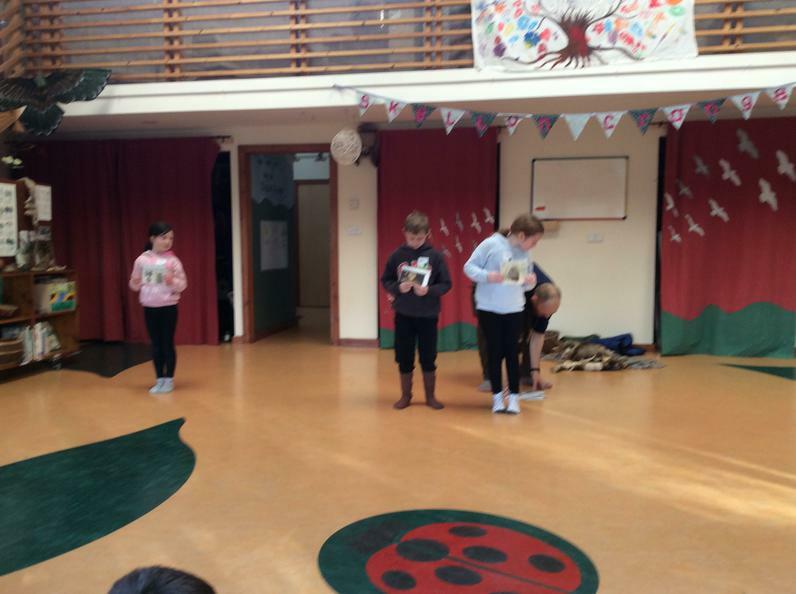 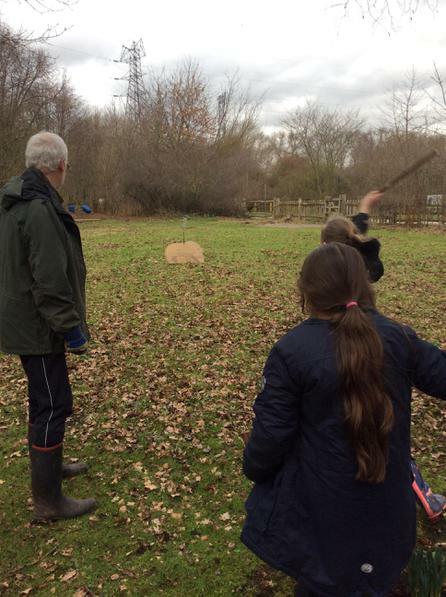 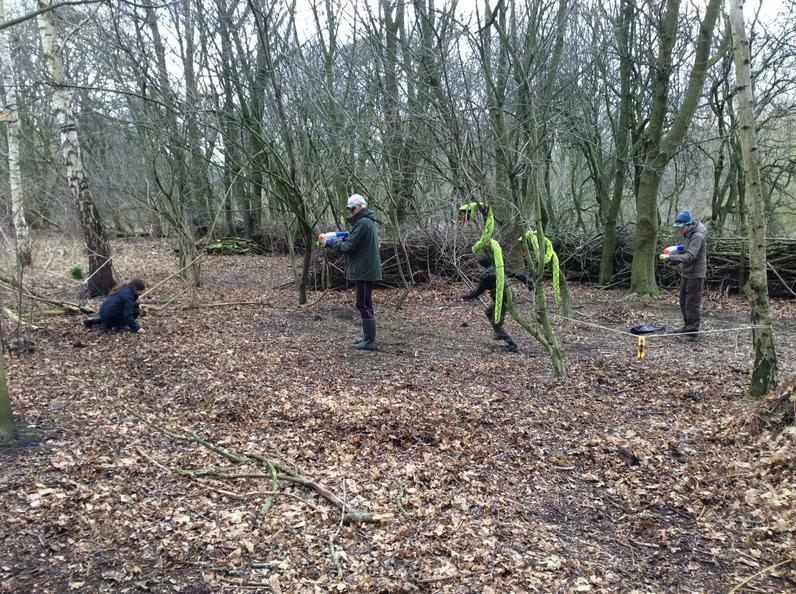 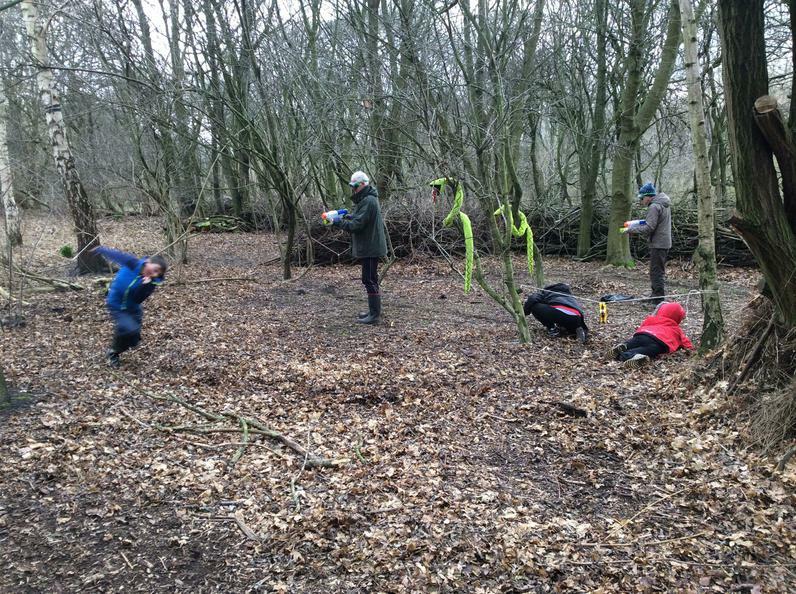 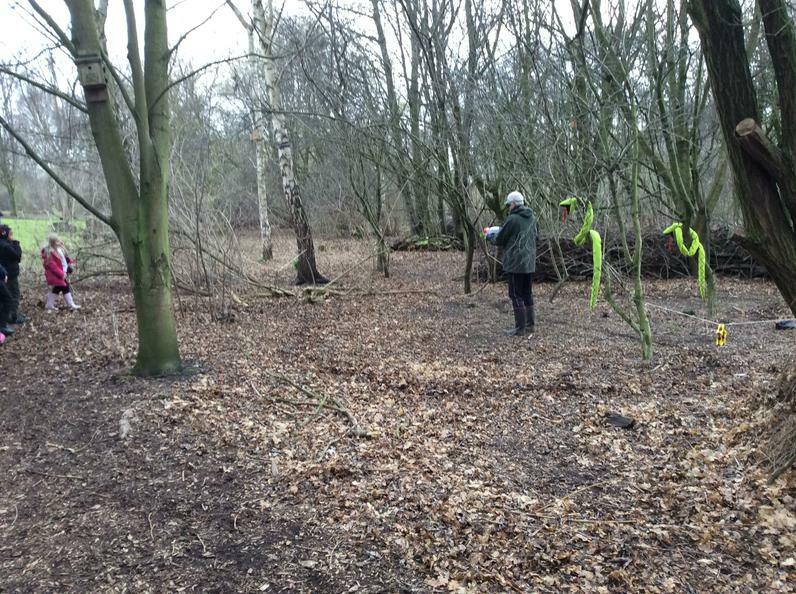 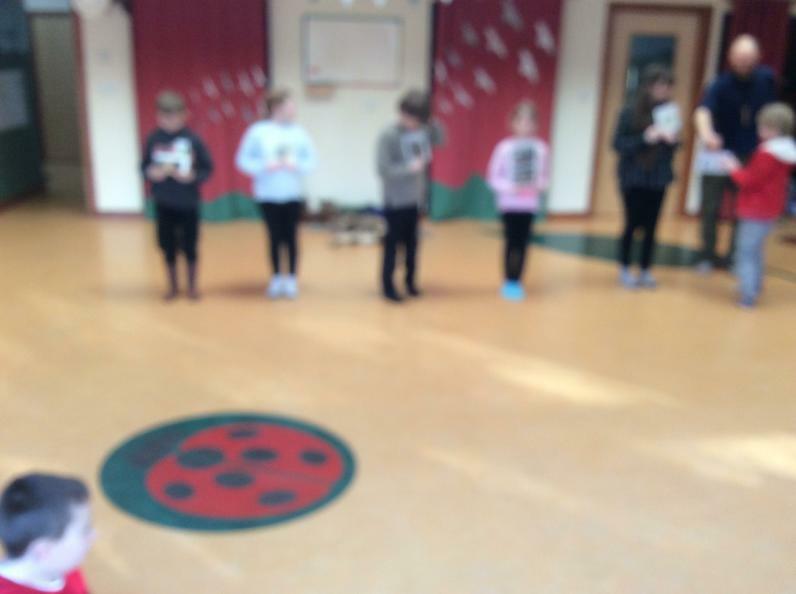 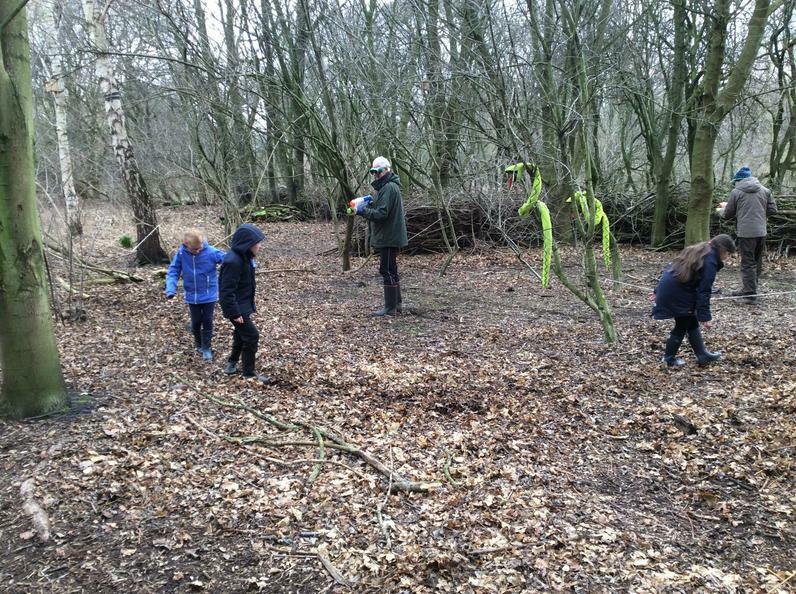 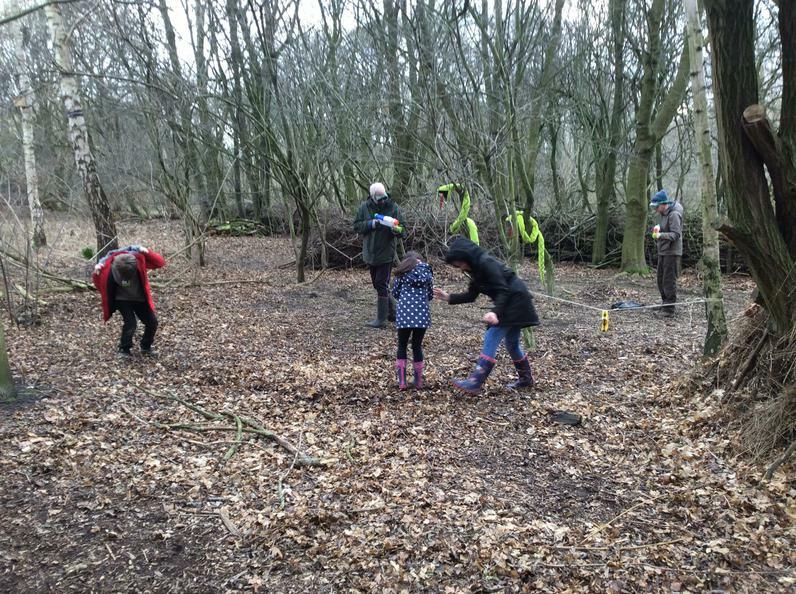 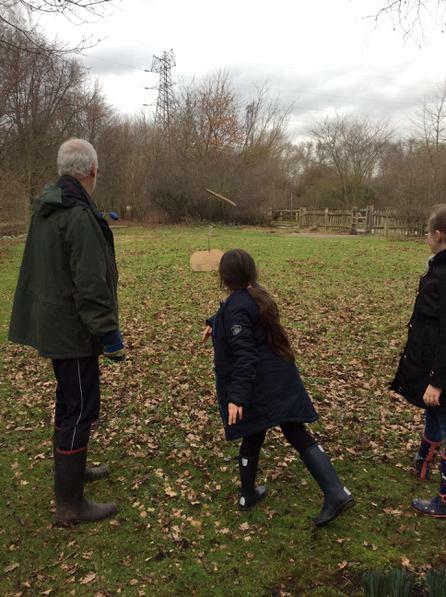 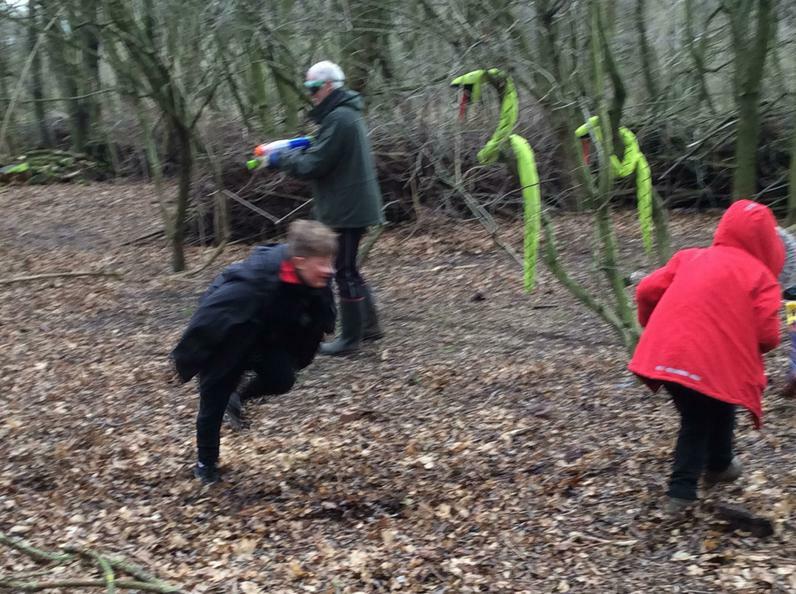 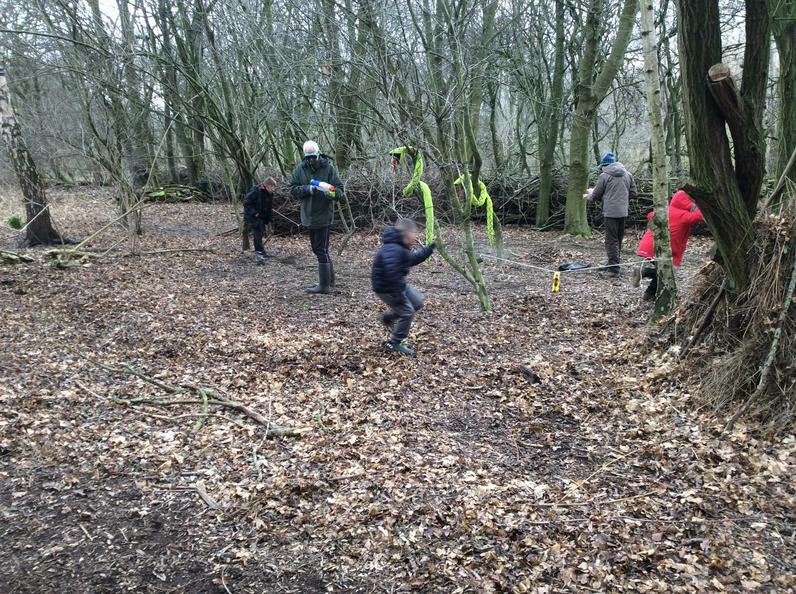 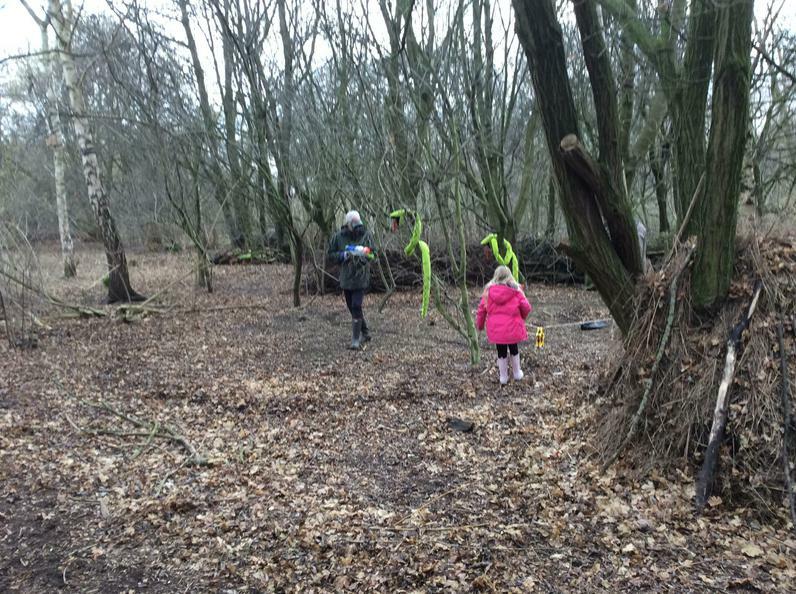 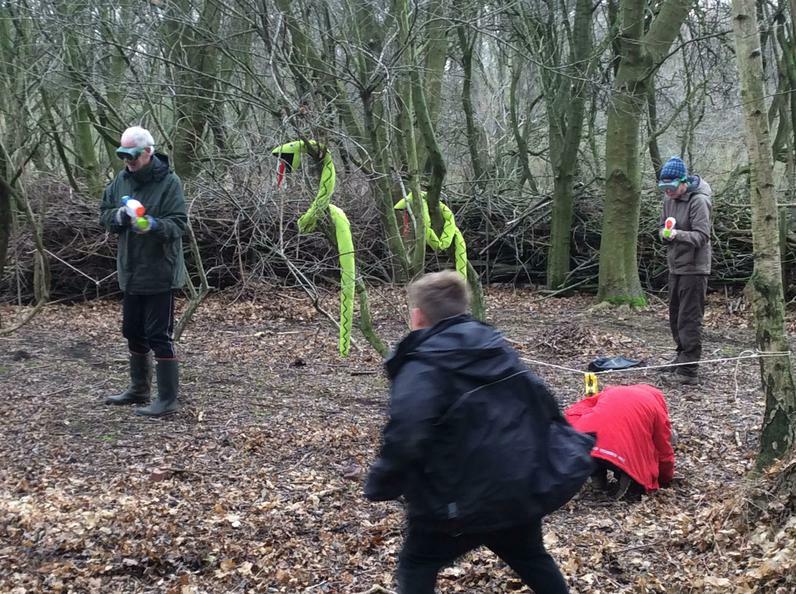 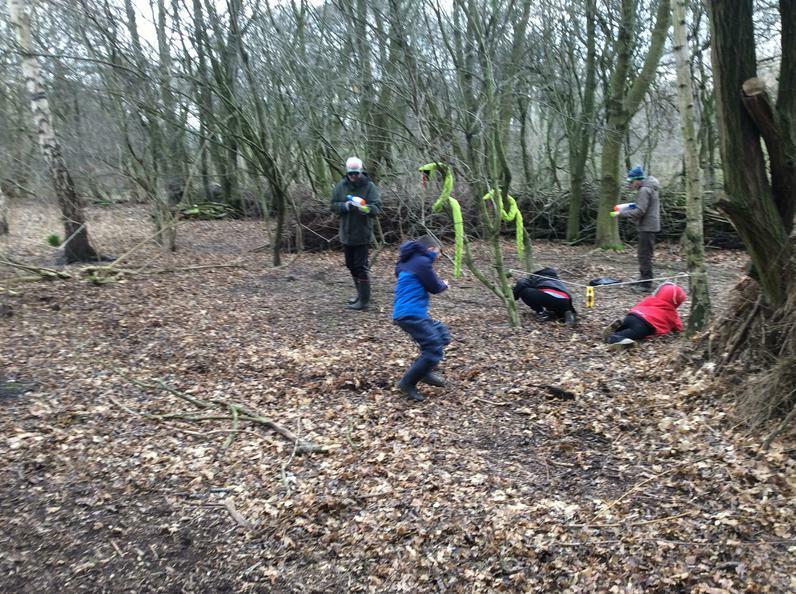 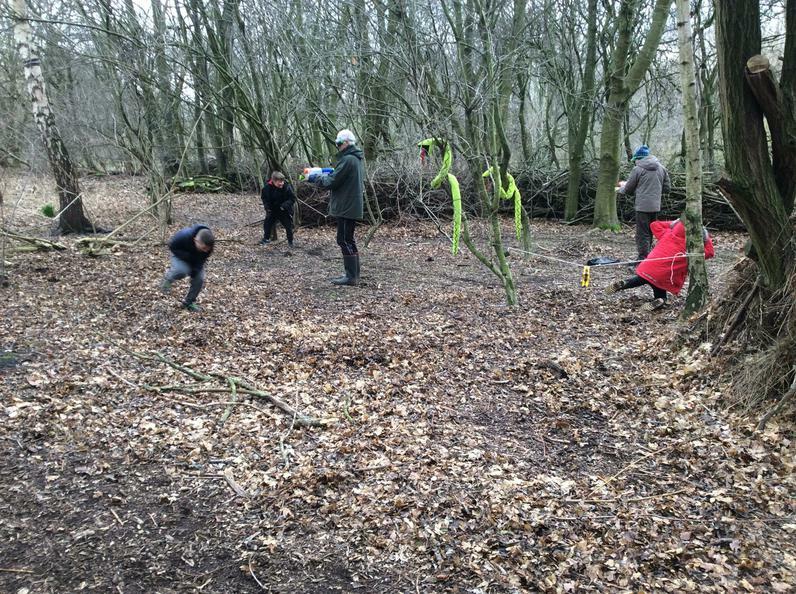 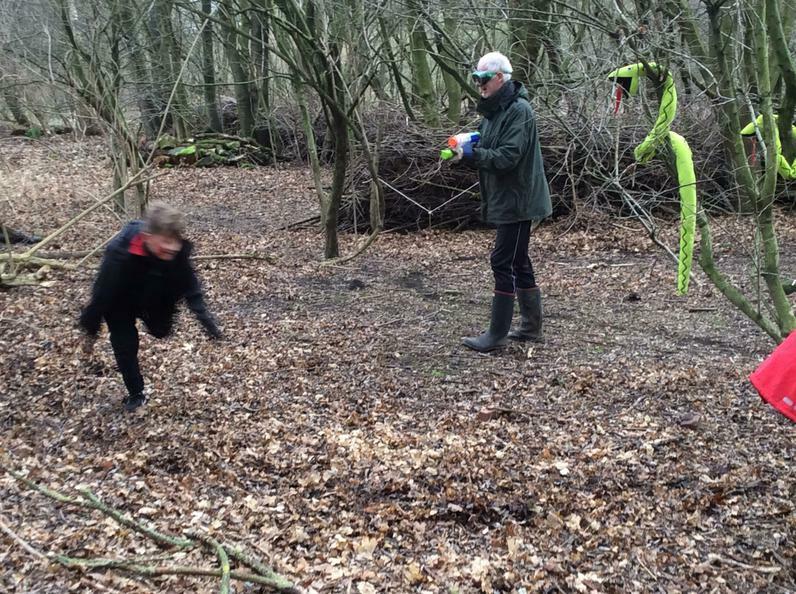 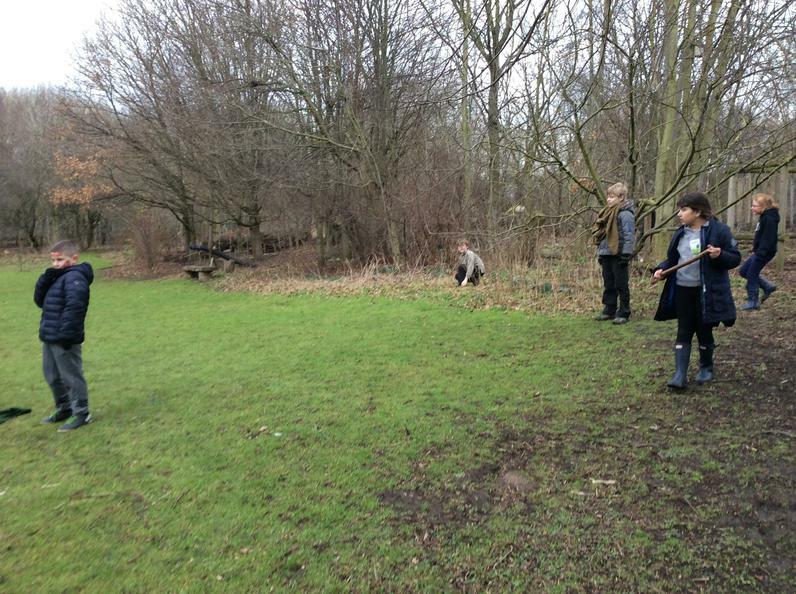 We also learned how to become good hunters by playing some fun games to teach us the skills necessary. 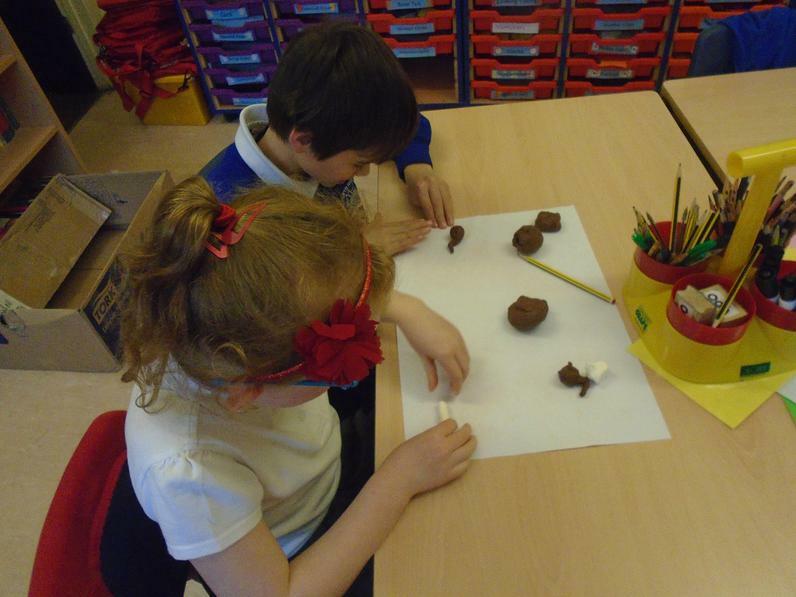 In literacy we have been learning about instructions. 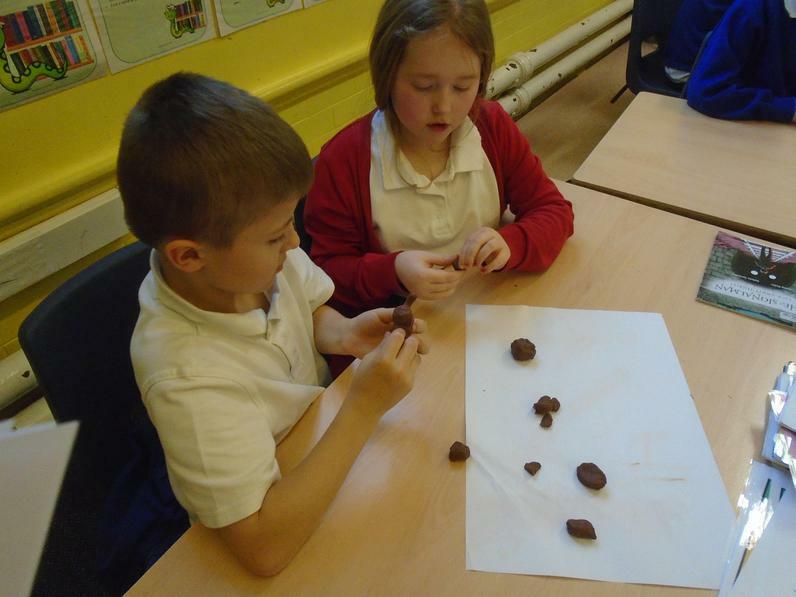 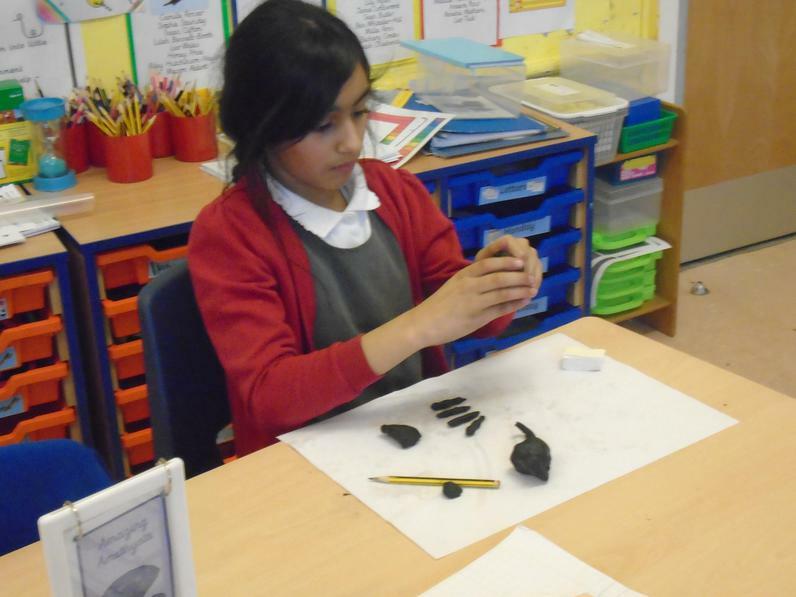 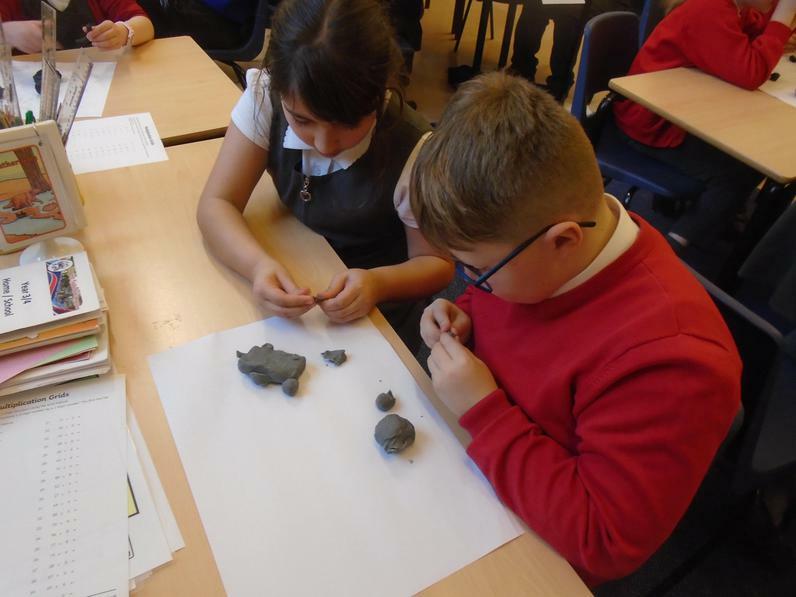 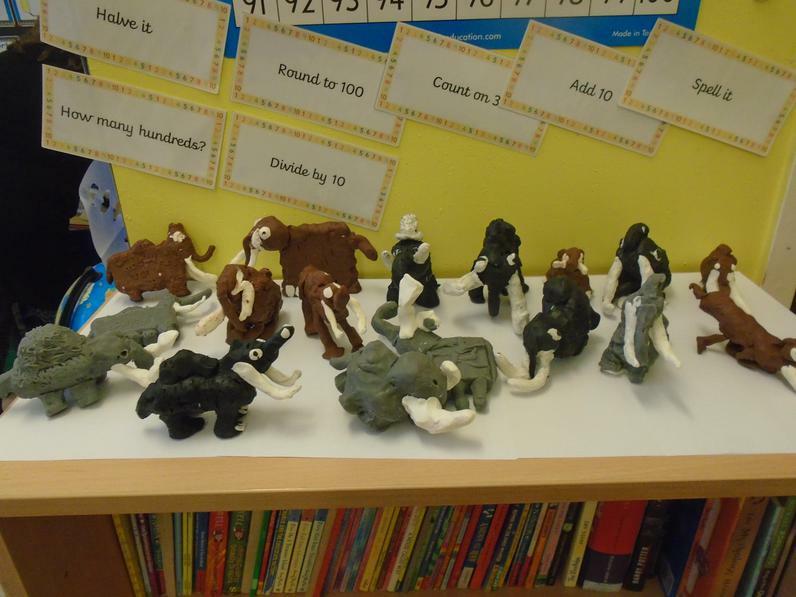 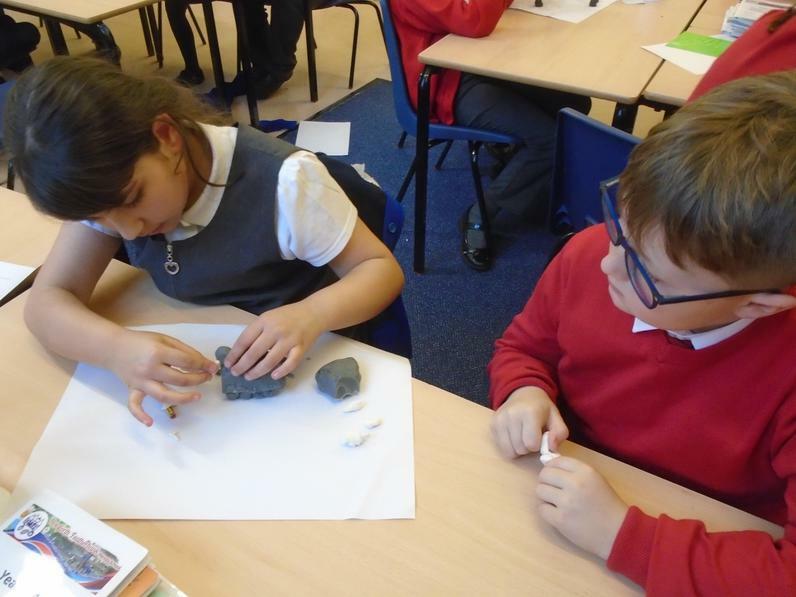 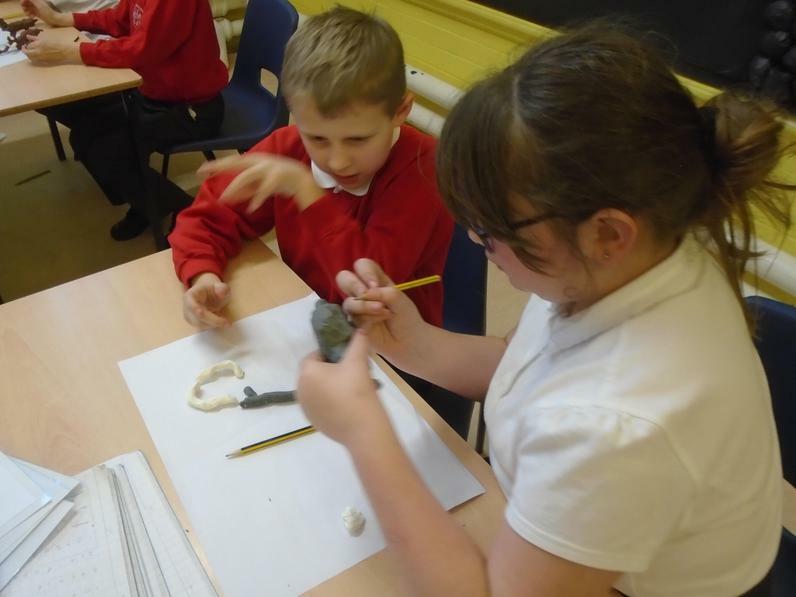 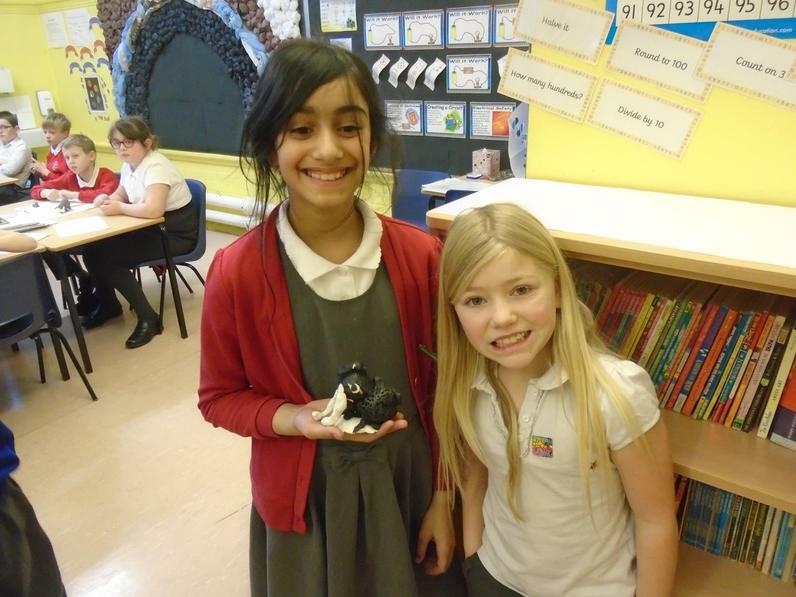 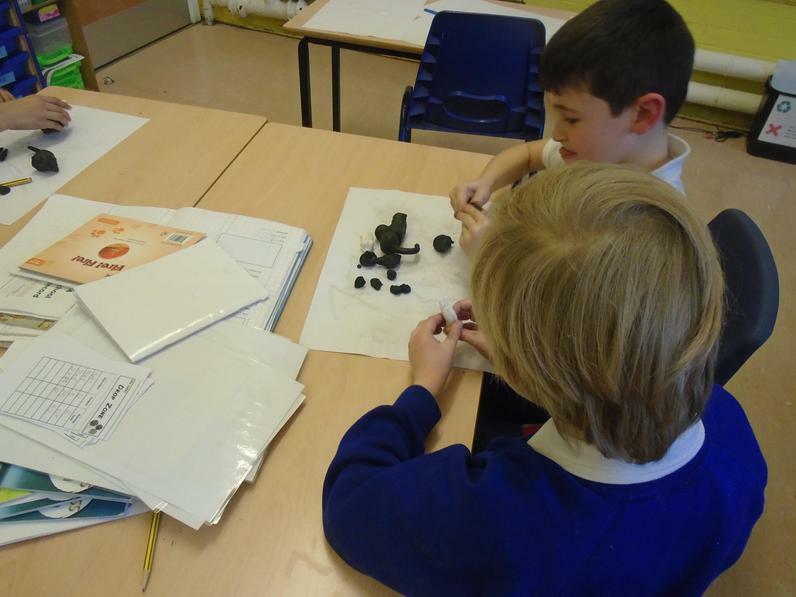 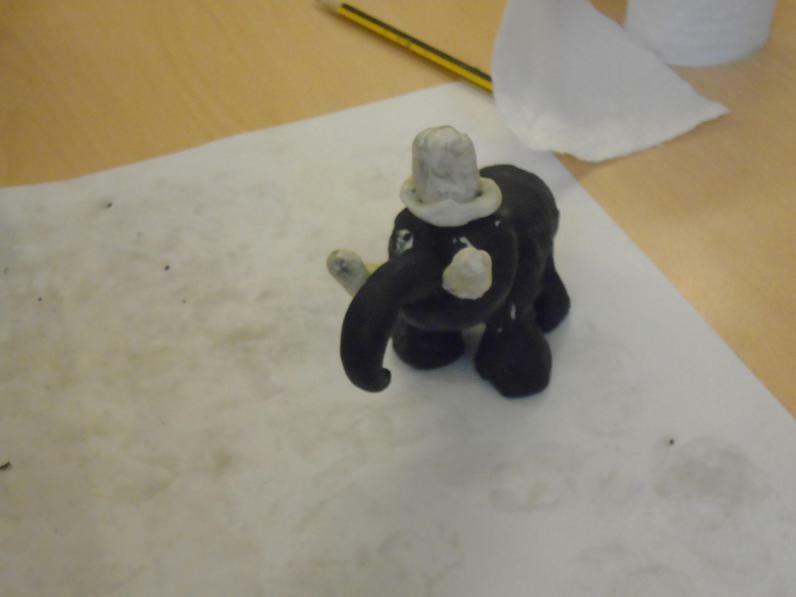 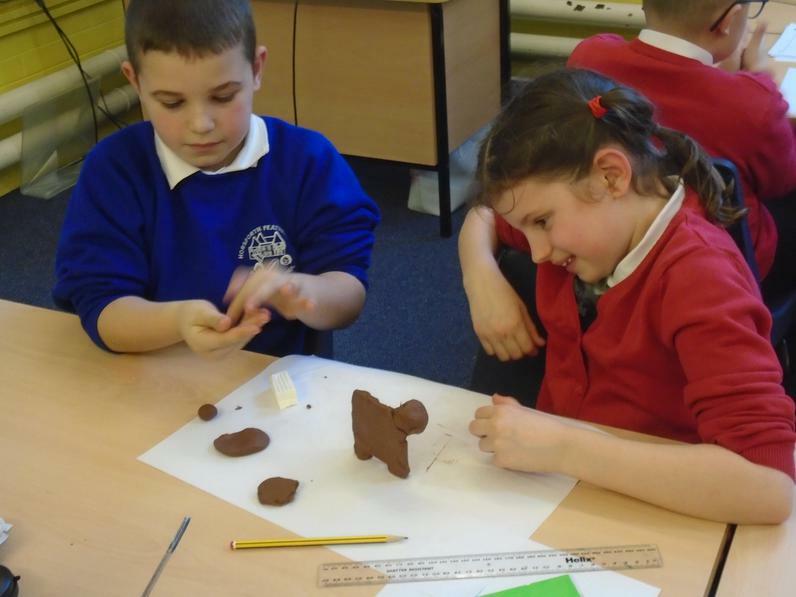 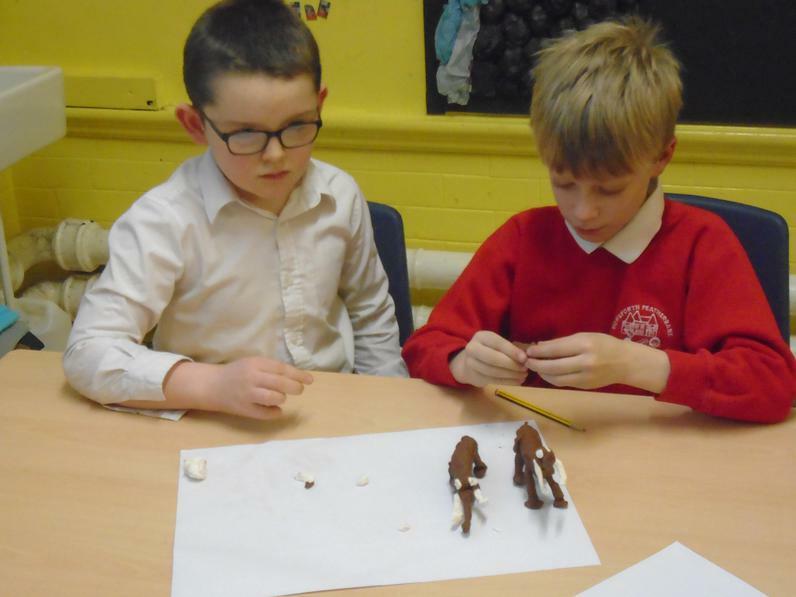 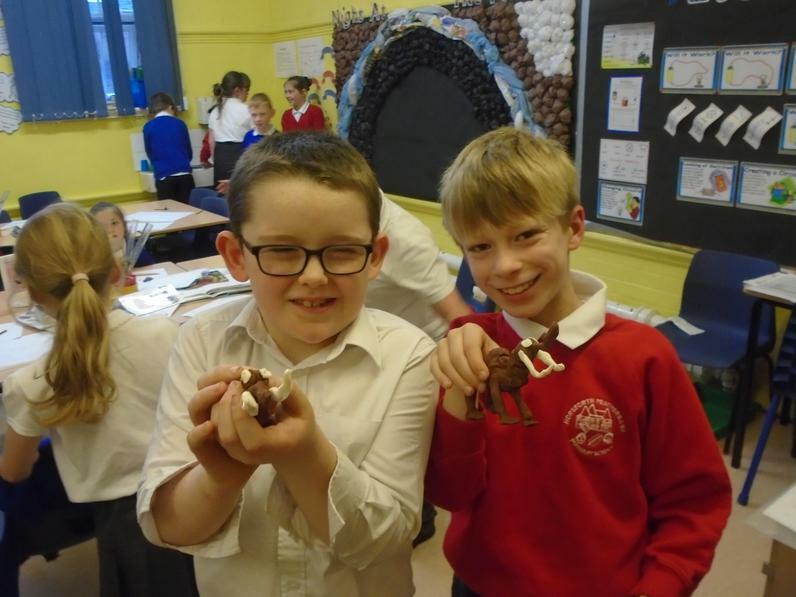 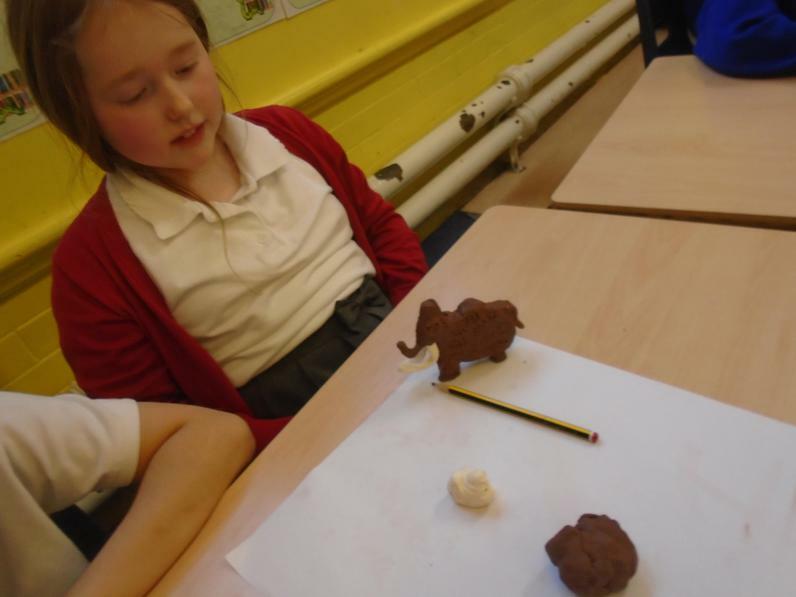 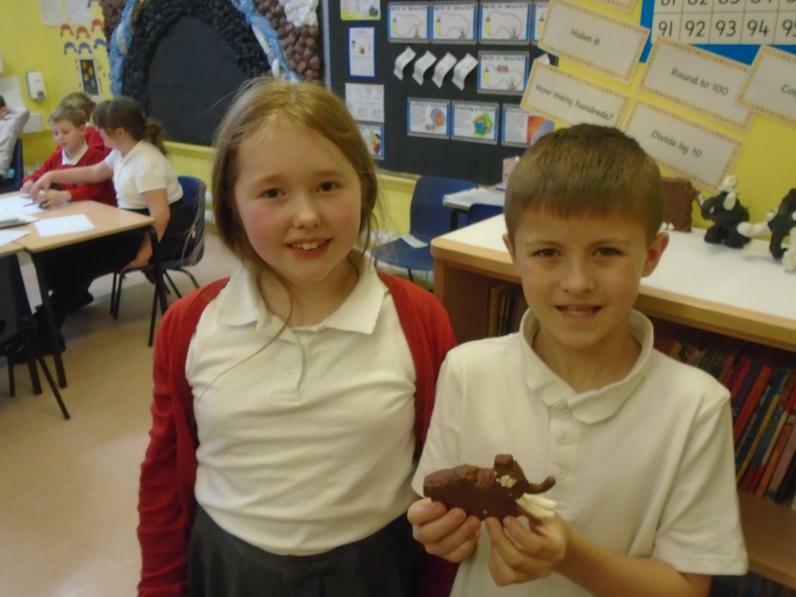 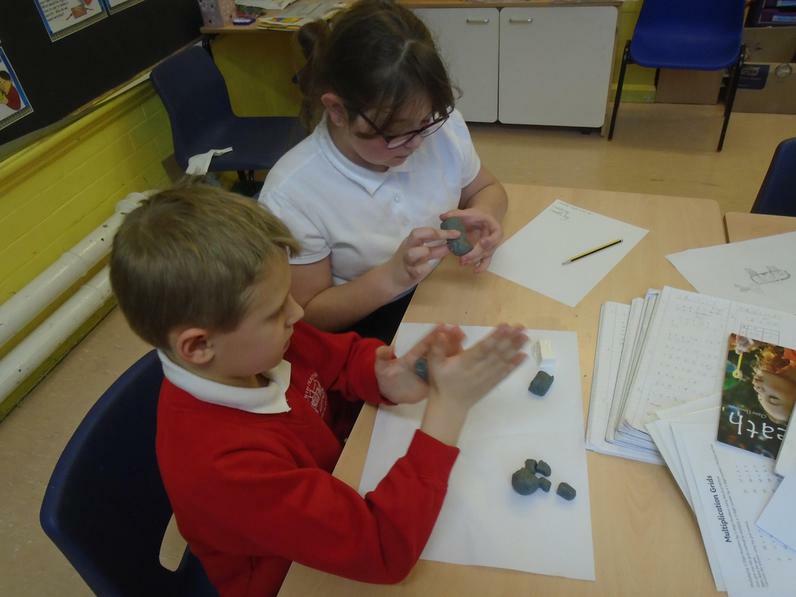 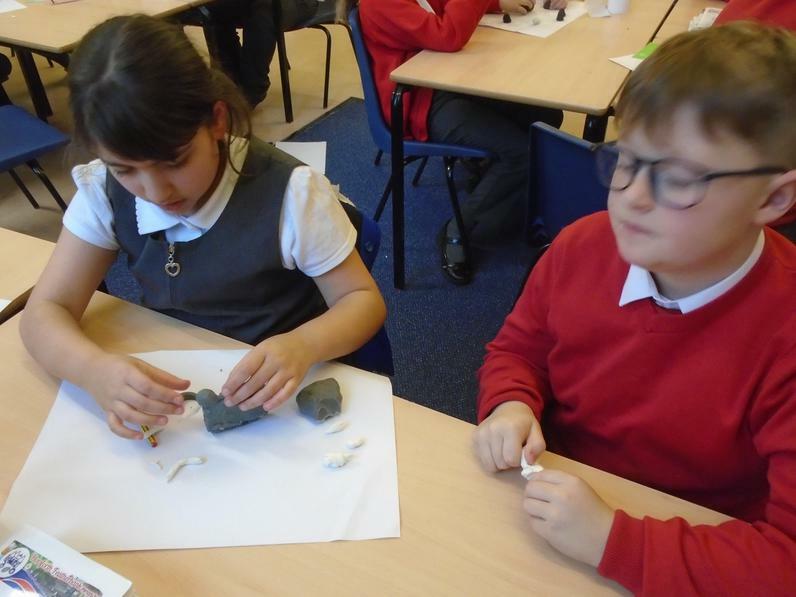 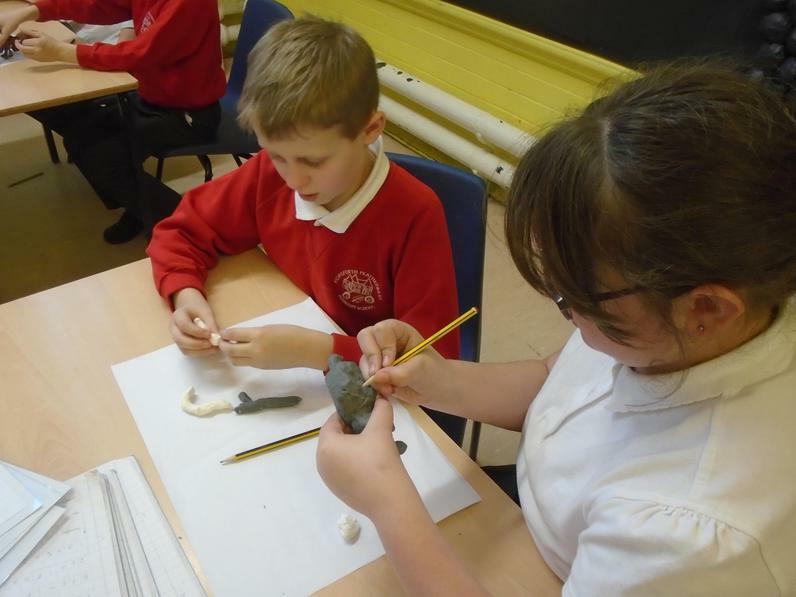 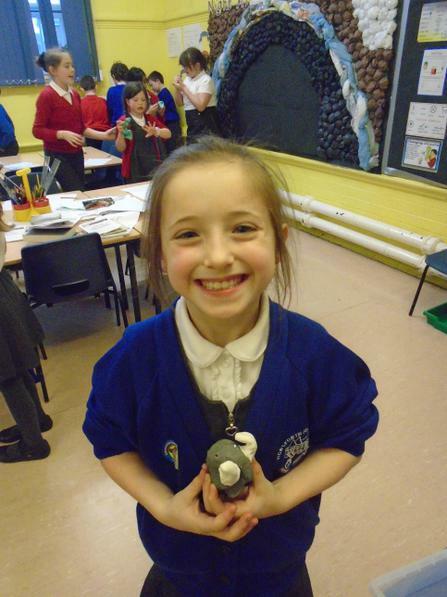 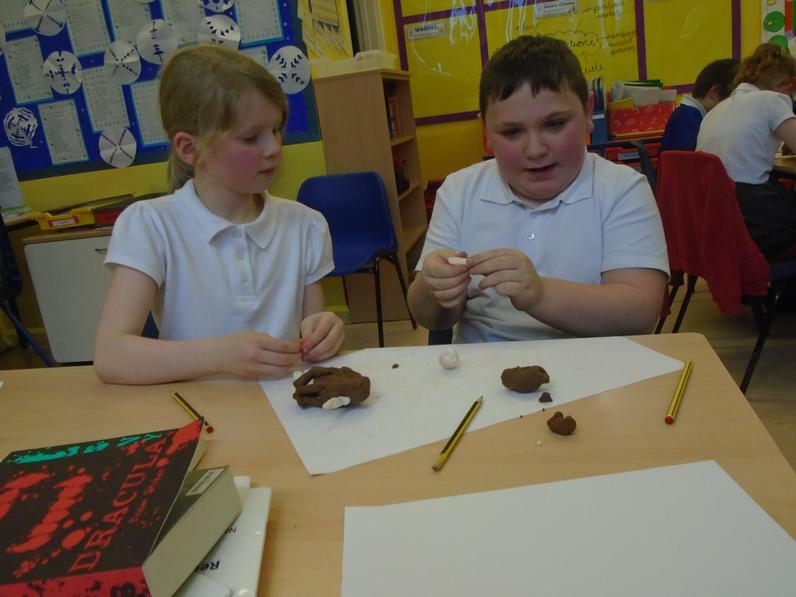 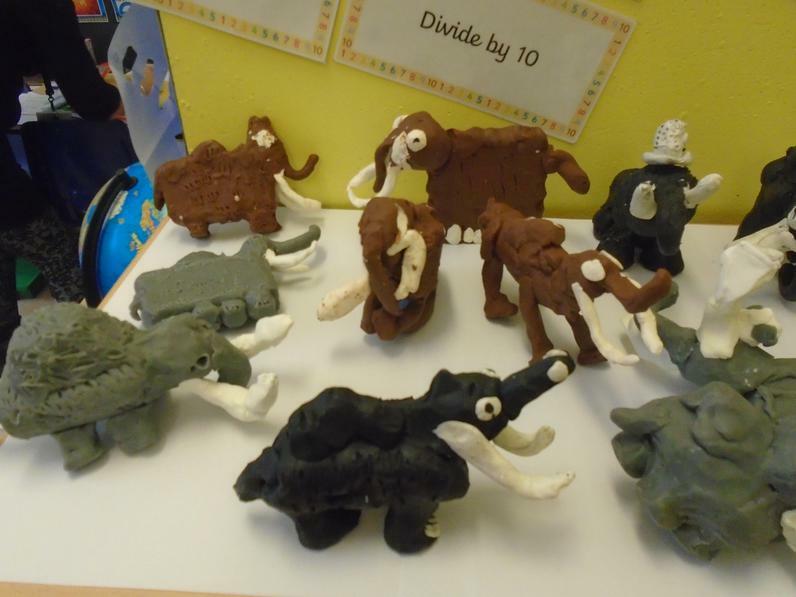 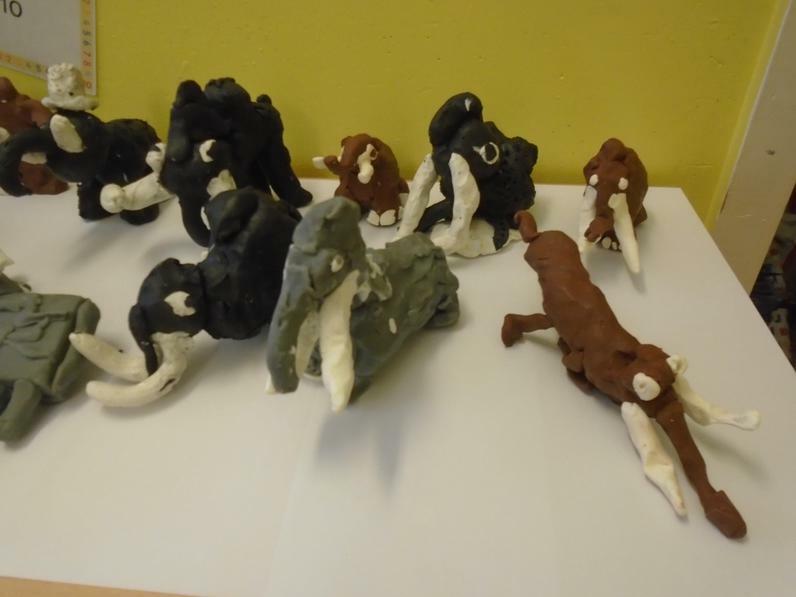 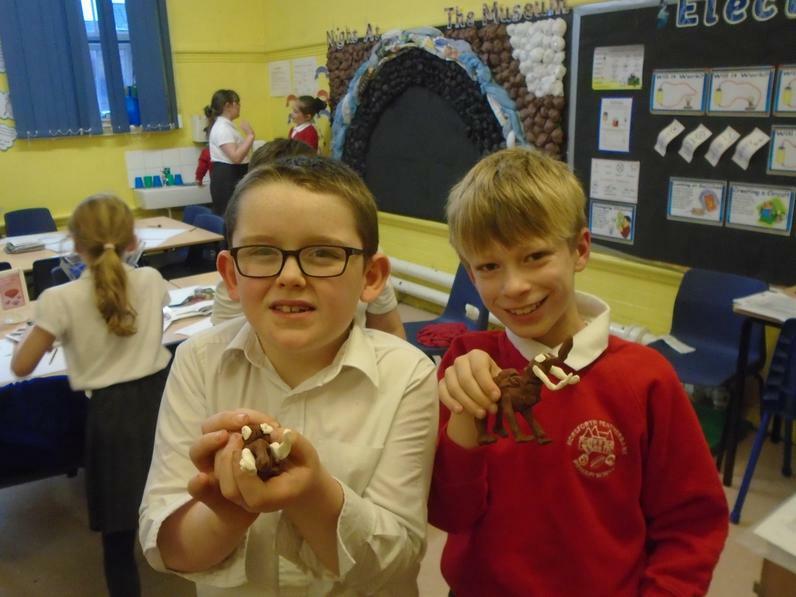 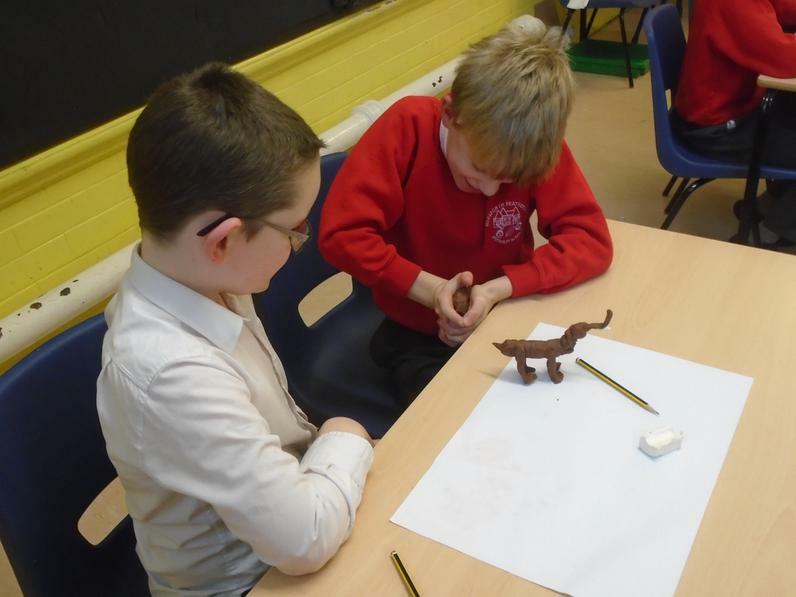 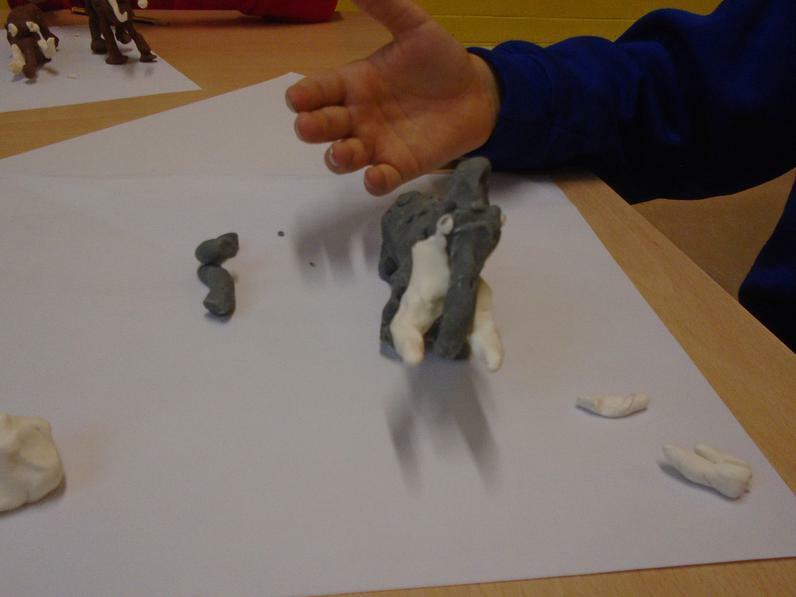 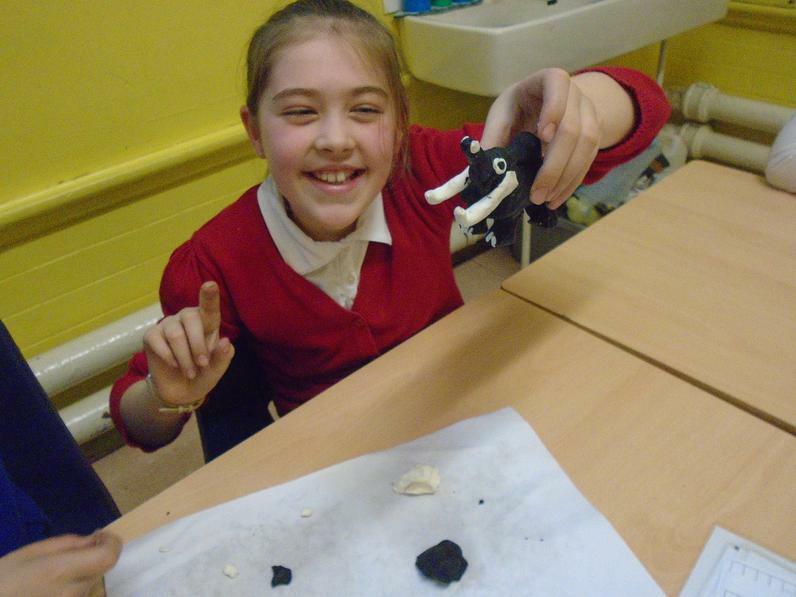 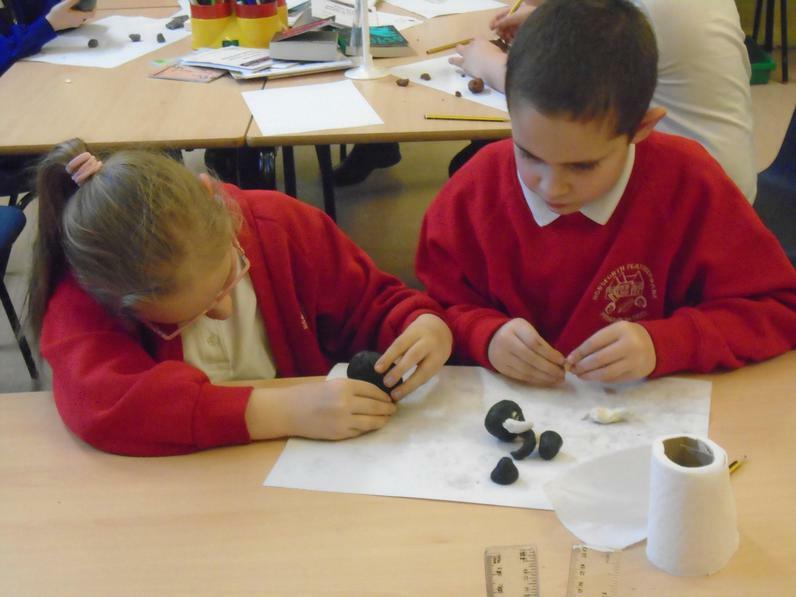 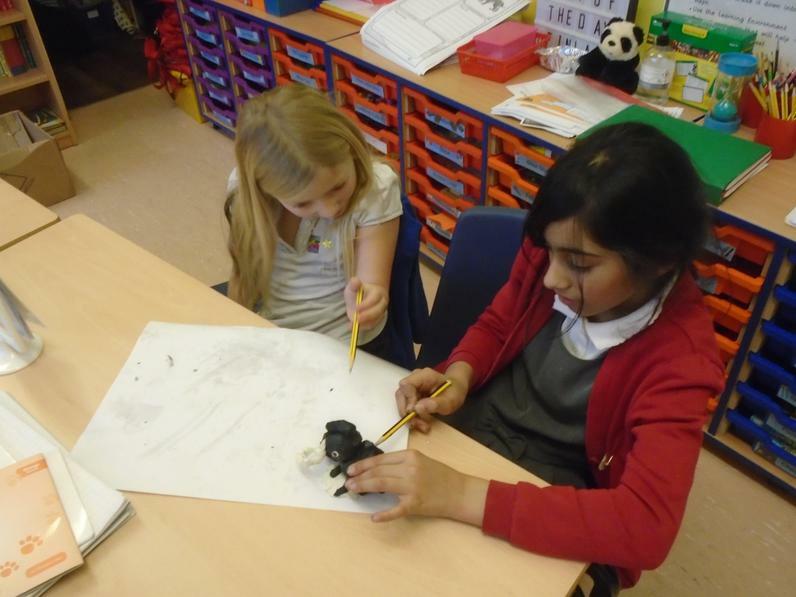 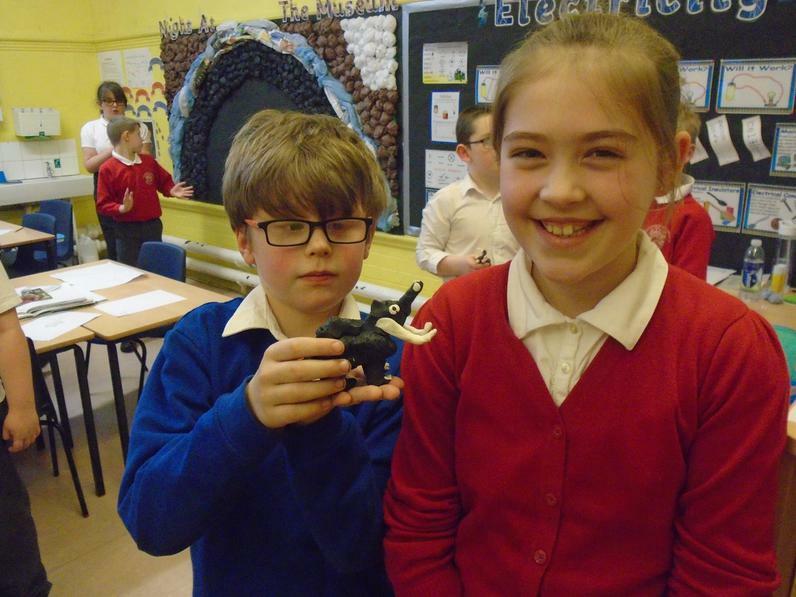 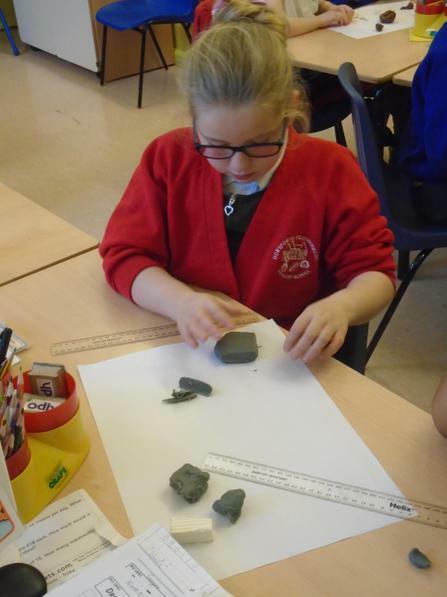 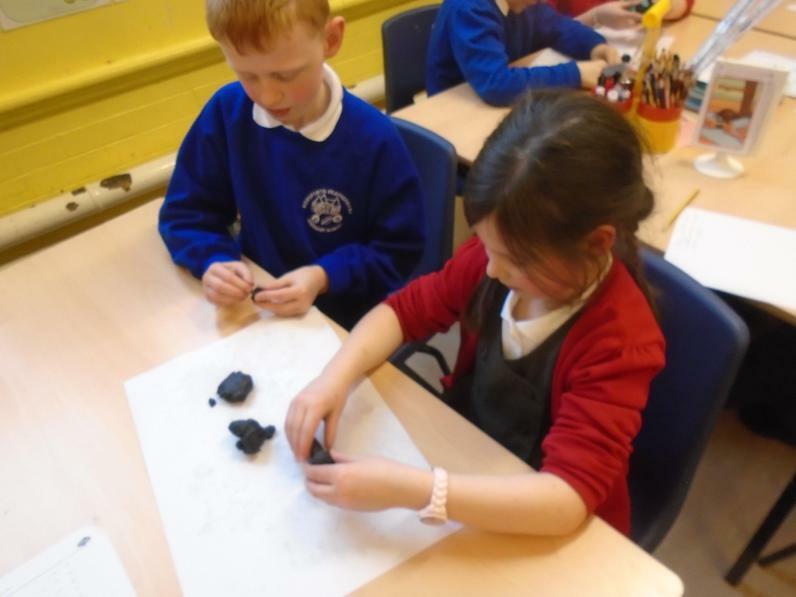 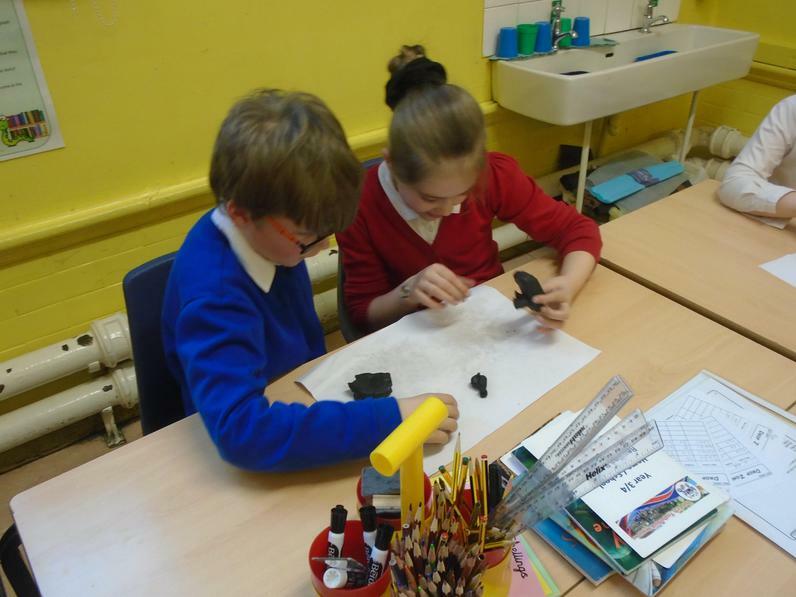 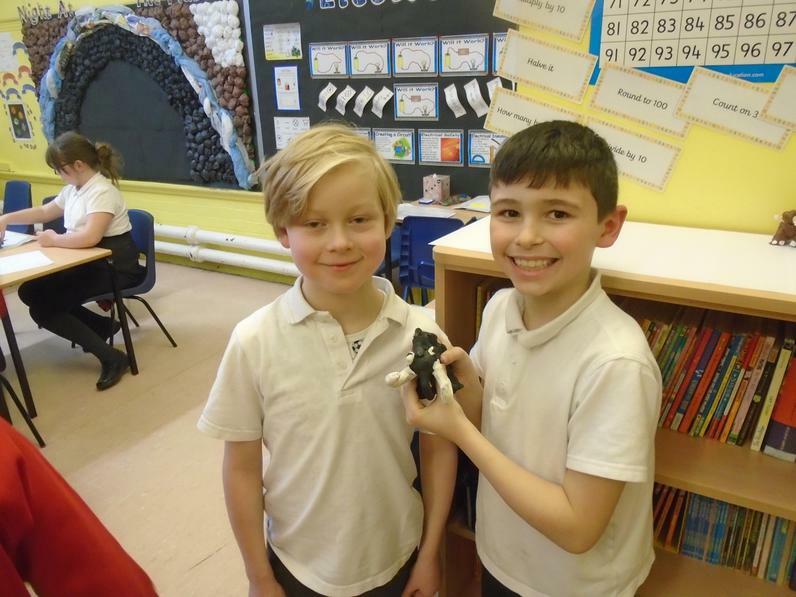 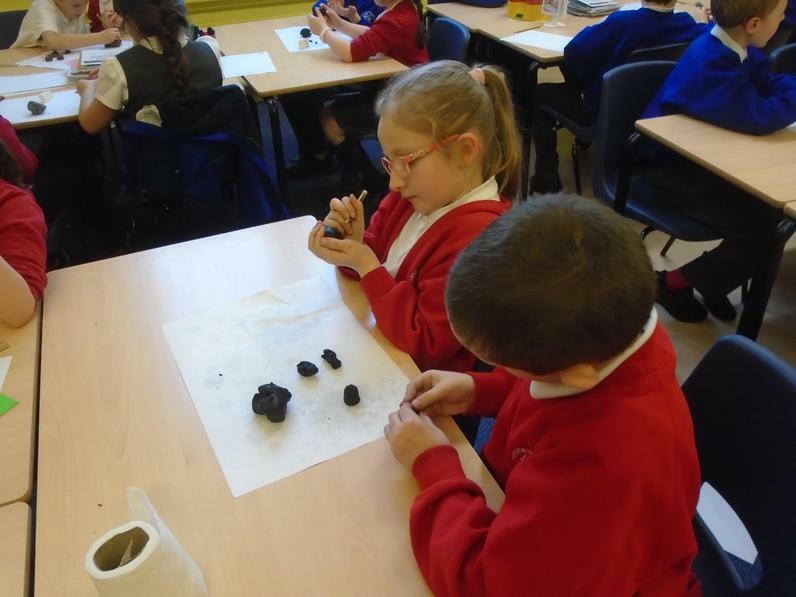 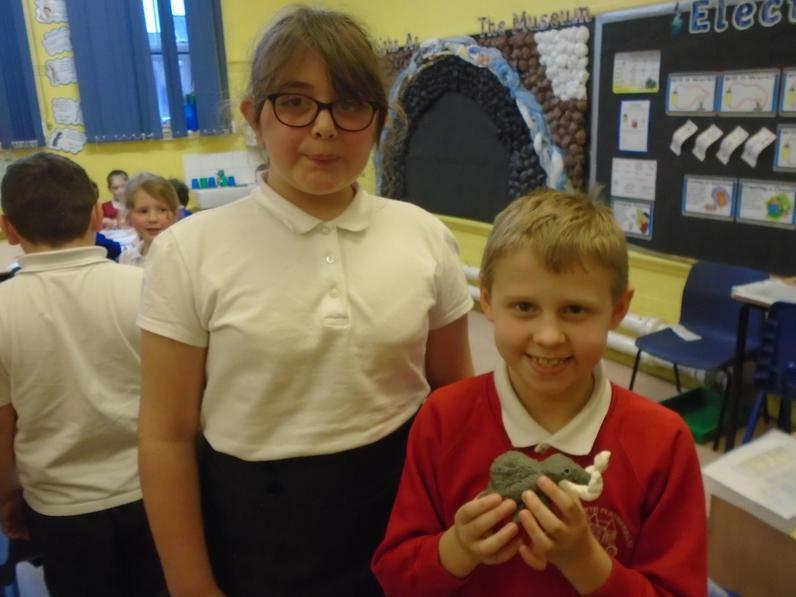 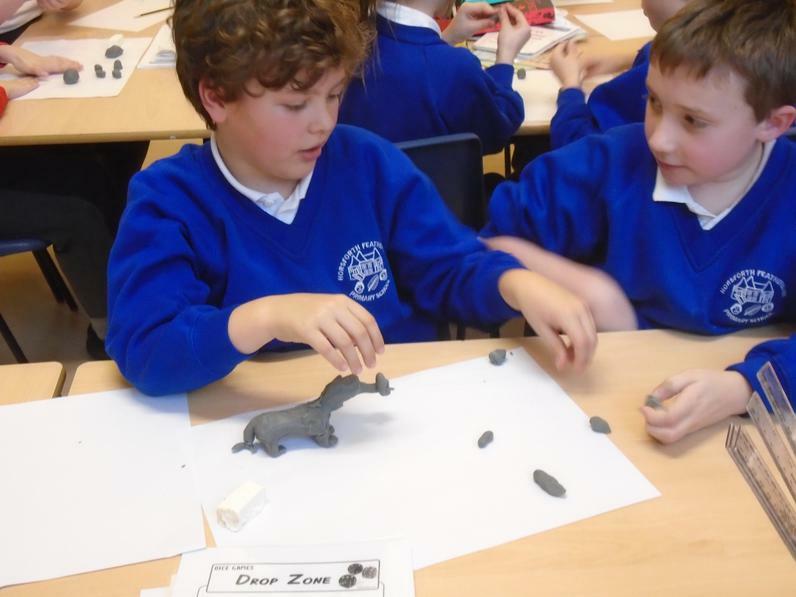 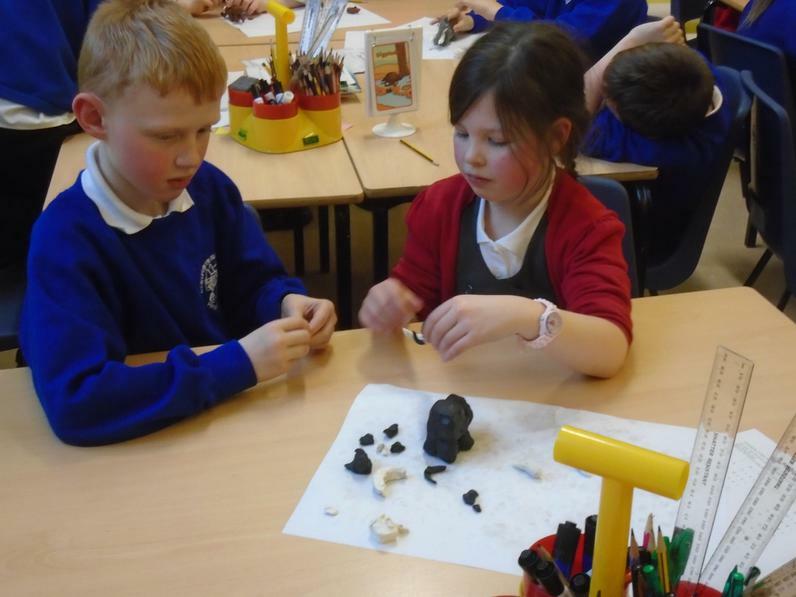 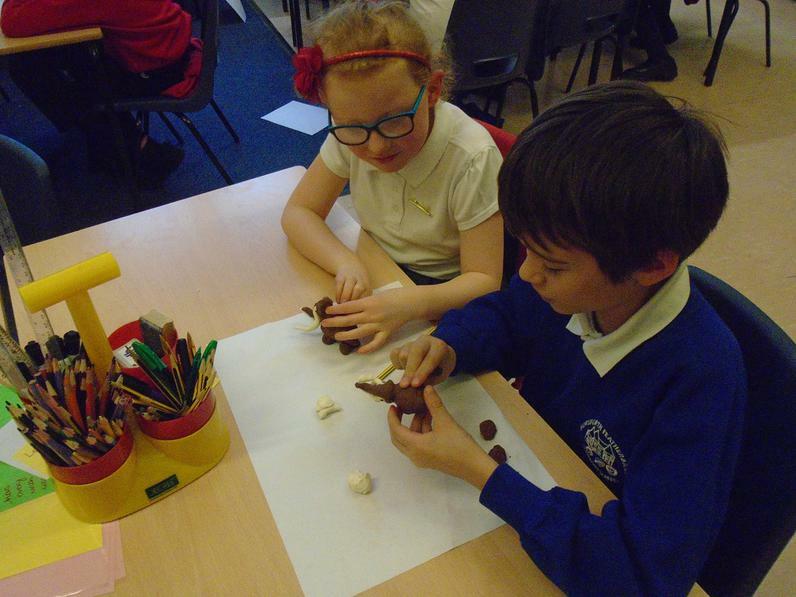 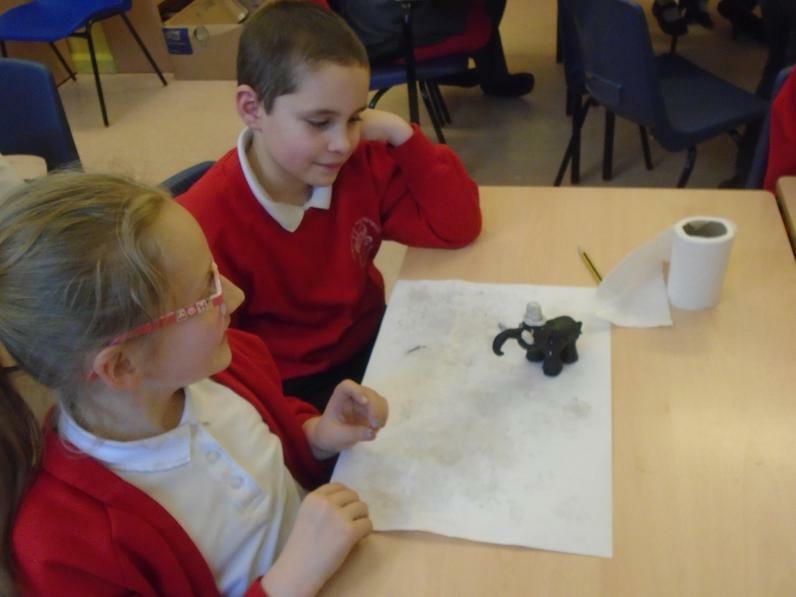 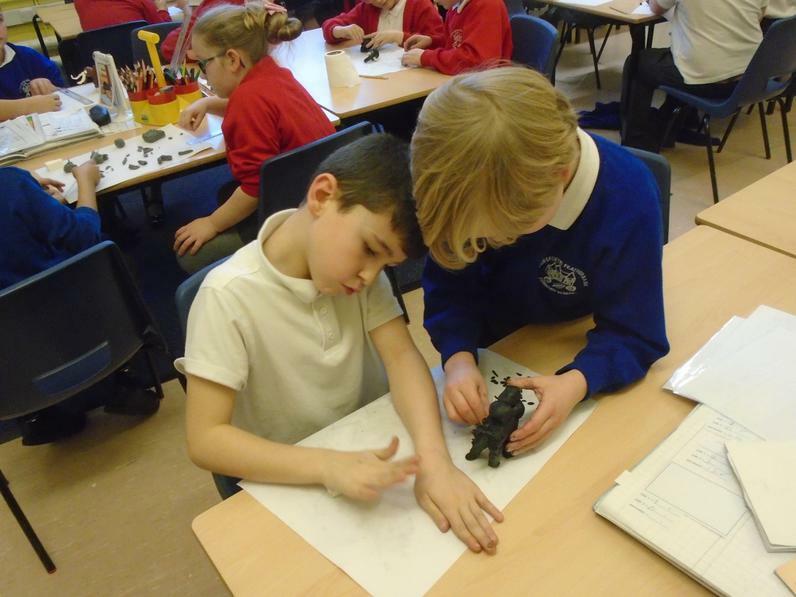 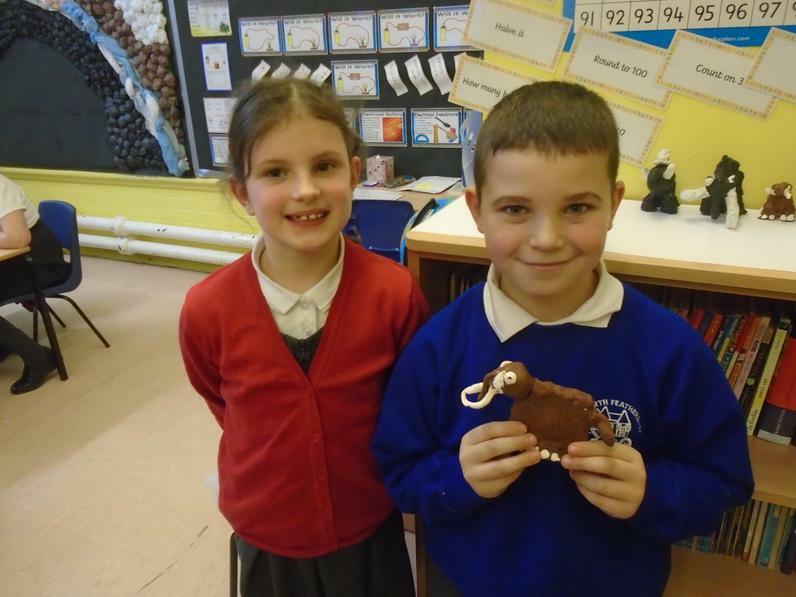 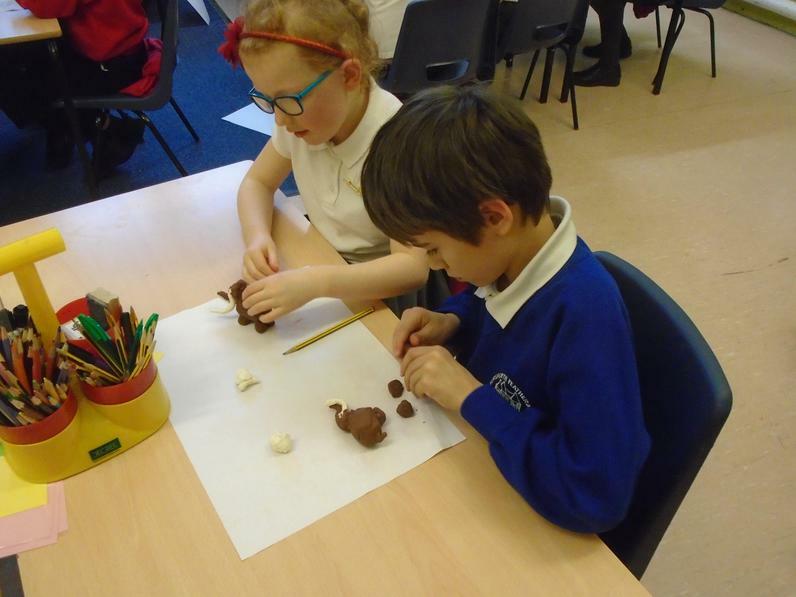 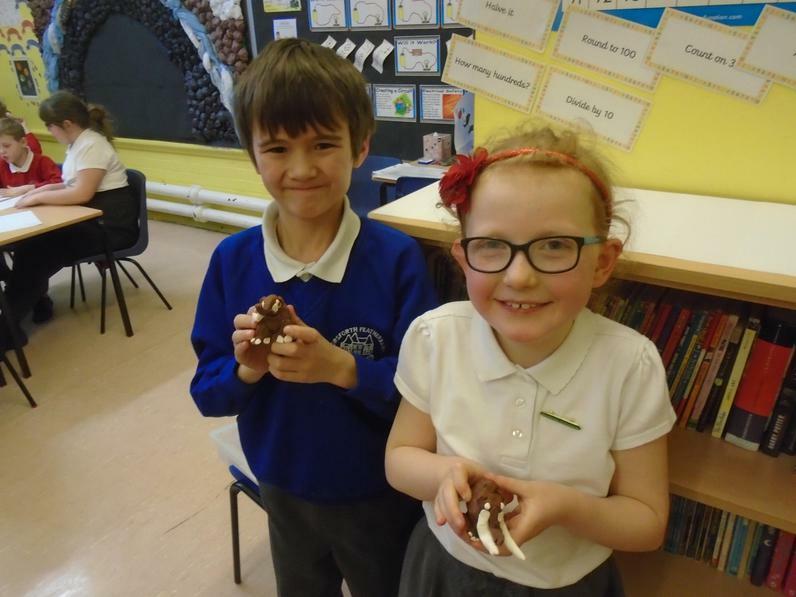 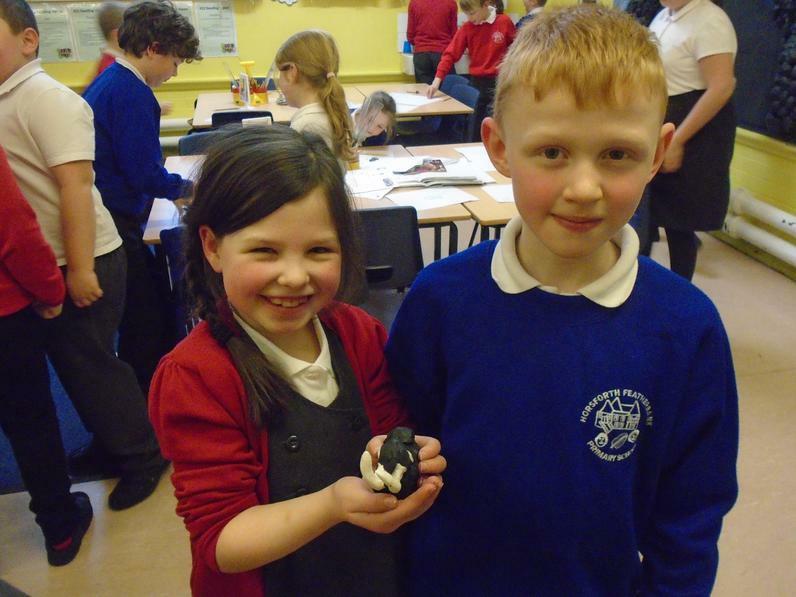 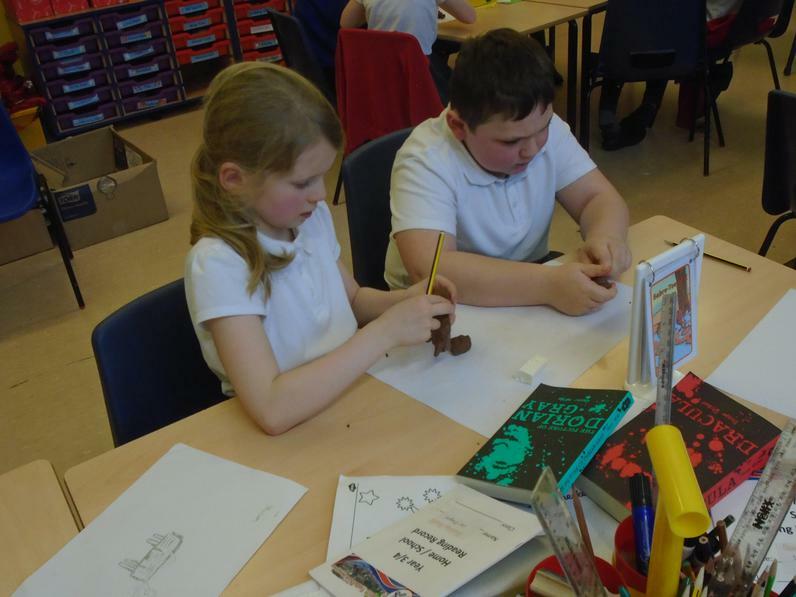 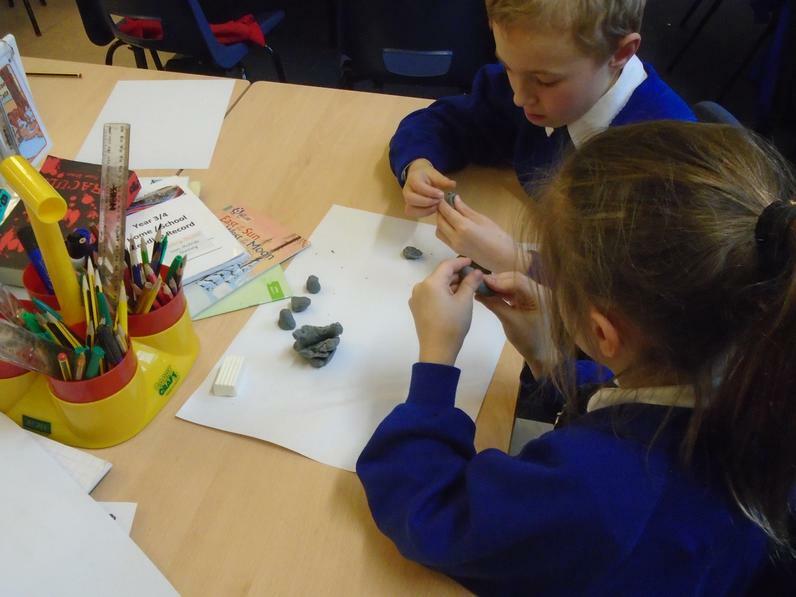 In pairs, we made plasticine woolly mammoths then wrote instructions to help somebody else make them.